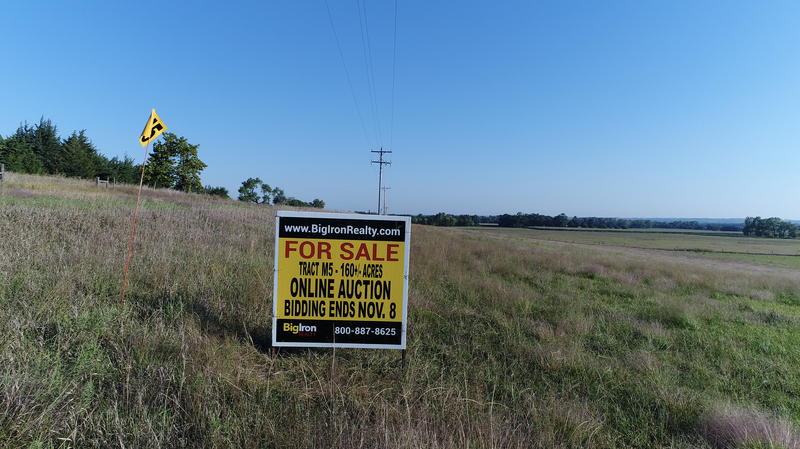 The bidding increments will be $50/acre. 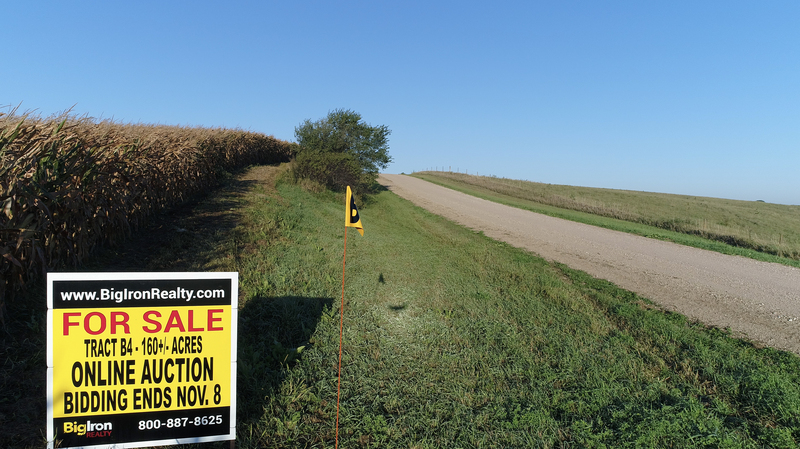 The final sale value will be calculated based on acres times highest bid. 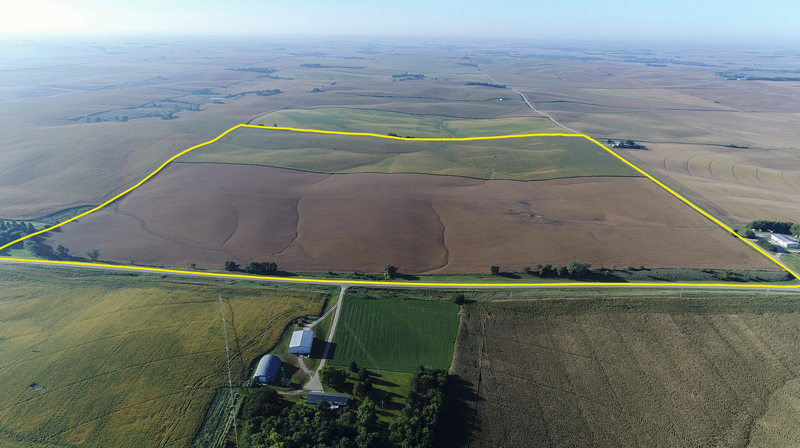 BIDDING PROCESS: You may place bids on these properties for 14 days beginning October 25, 2018 and ending November 8, 2018 (see below the special bidding instructions). 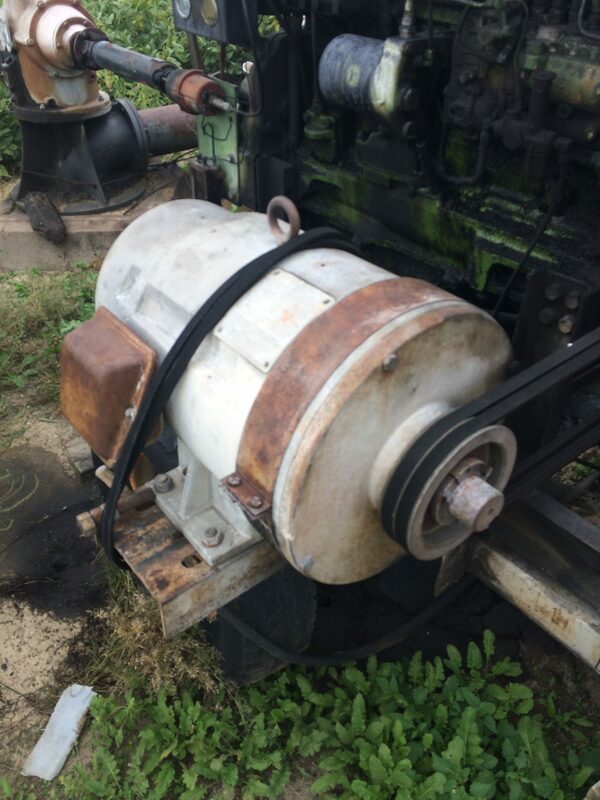 This unreserved online auction features bidding extensions. If a bid is received within five minutes of the scheduled close time, the bidding period is automatically extended to five minutes. 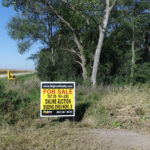 This will continue until there is a five-minute period where no bids are placed. 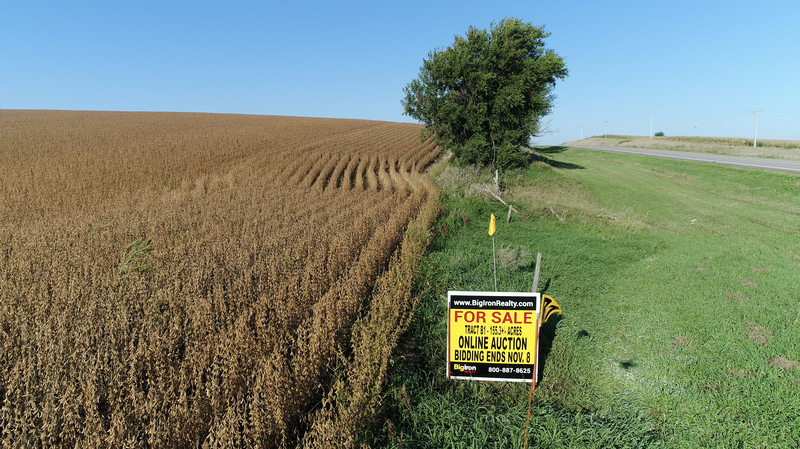 NOTE: Do not wait until the day the auction closes to register to bid online. 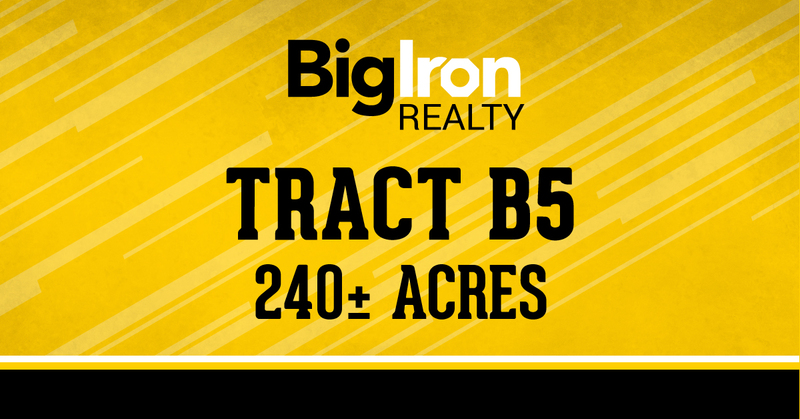 All bidders must be approved to bid, so register at least 24 hours prior to the auction close or call 800-887-8625 for assistance. 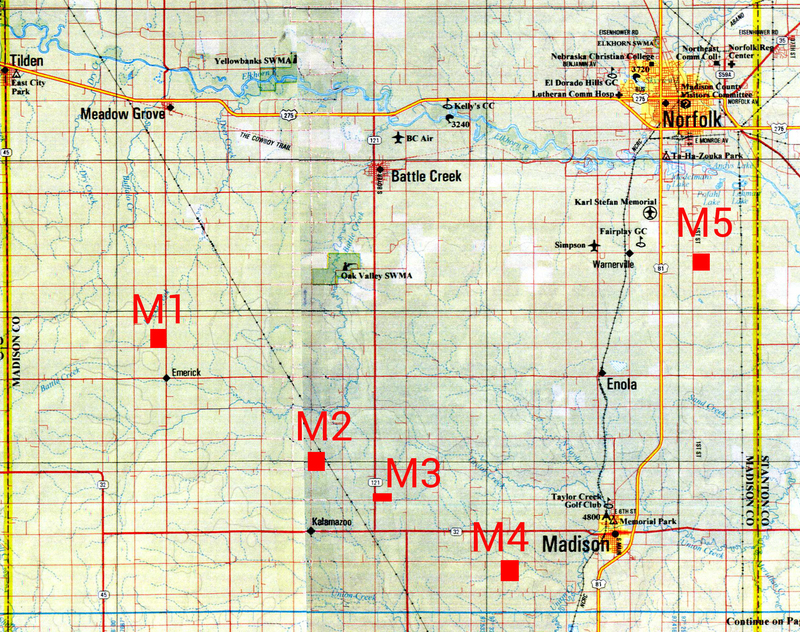 The scheduled closing time on all of the Madison County tracts will be at 10:00 a.m. 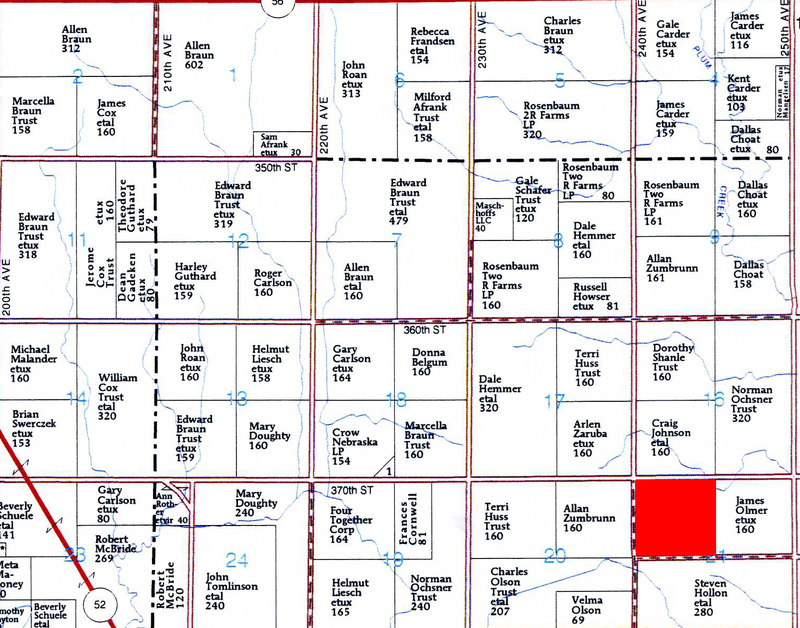 The scheduled closing time on all of the Boone County tracts will be 1:00 p.m. 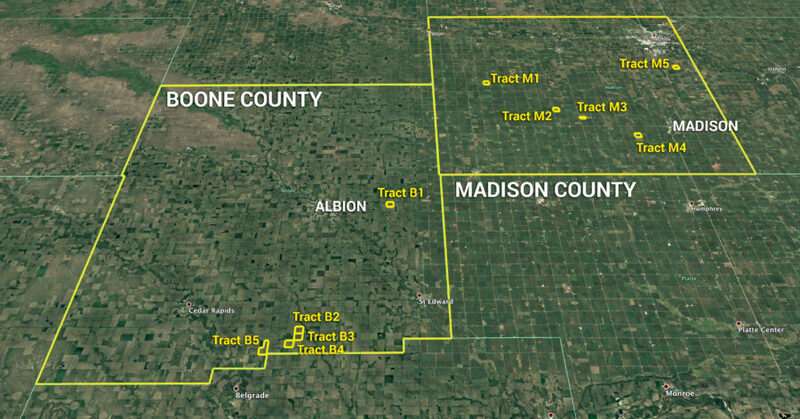 The closing times will be automatically extended when any one of the coupled tracts receives a bid in the last 5 minutes and will close simultaneously when none of the tracts receives a bid for 5 minutes. This will allow bidders to monitor each tract without the fear of missing out on any other tract. 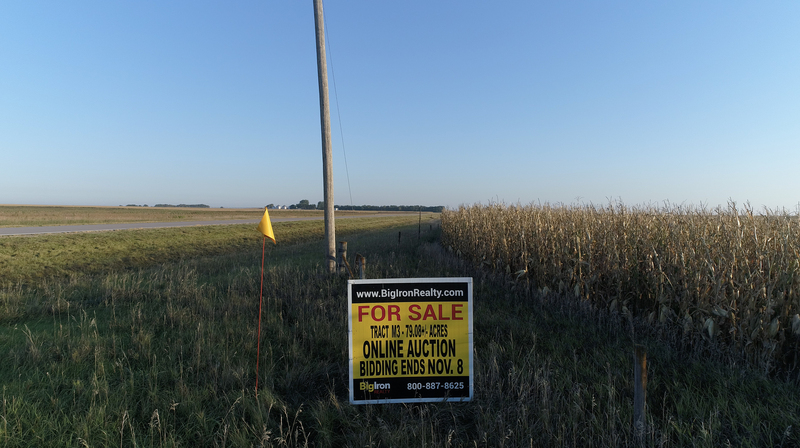 BigIron Realty Agents will be at the Cardinal Inn in Albion, Nebraska, on Tuesday, November 6, 2018, from 1:00 p.m. to 3:00 p.m., and Thursday, November 8, 2018, from 8:00 a.m. until the conclusion of the online auction. 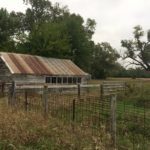 Please come during the times scheduled to discuss the farm. BigIron Representatives will be there to assist buyers with registering to bid online. 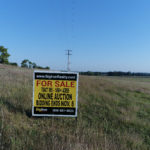 You do not have to be present to bid online but are required to be available by phone. 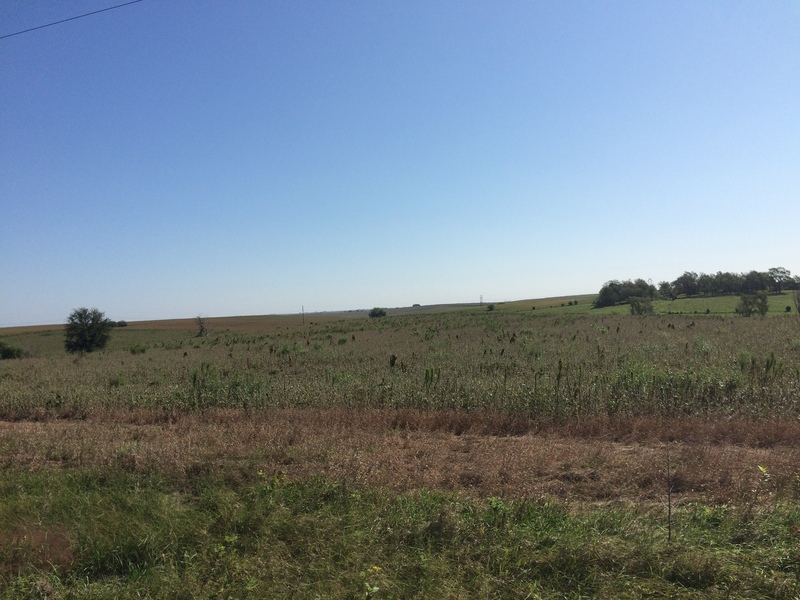 Land Location: From the intersection of Hwy 32 & 539 Avenue (ADM corner) go 6 miles north. 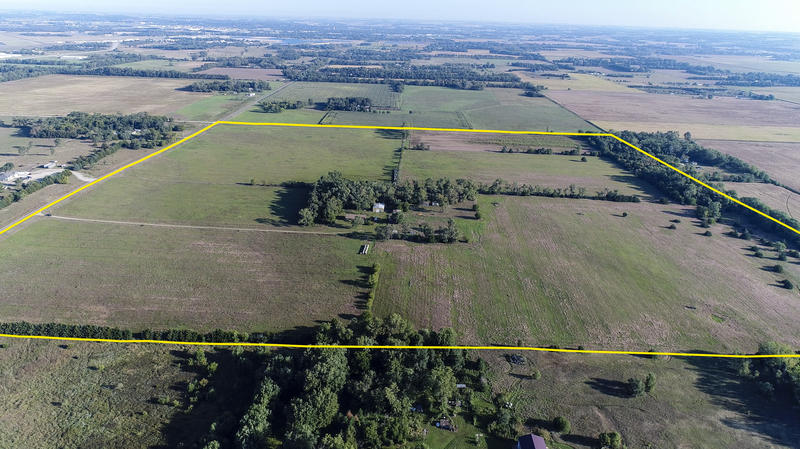 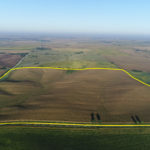 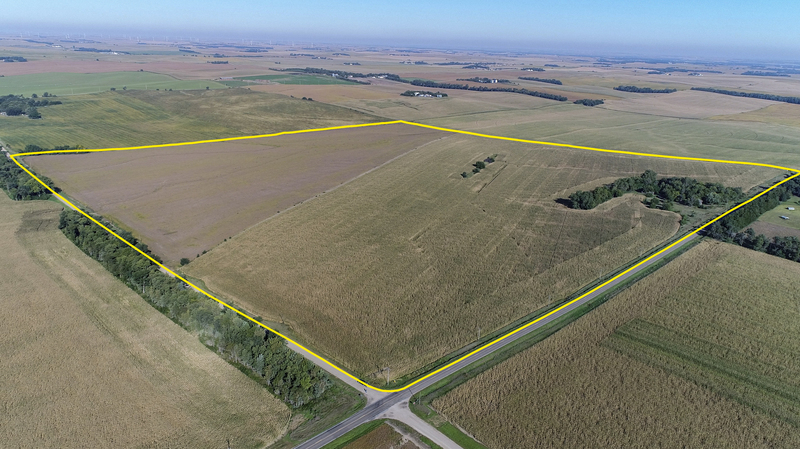 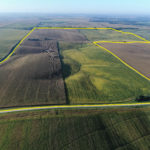 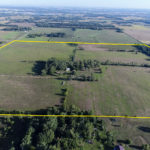 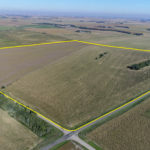 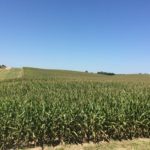 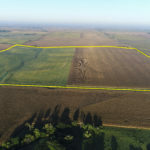 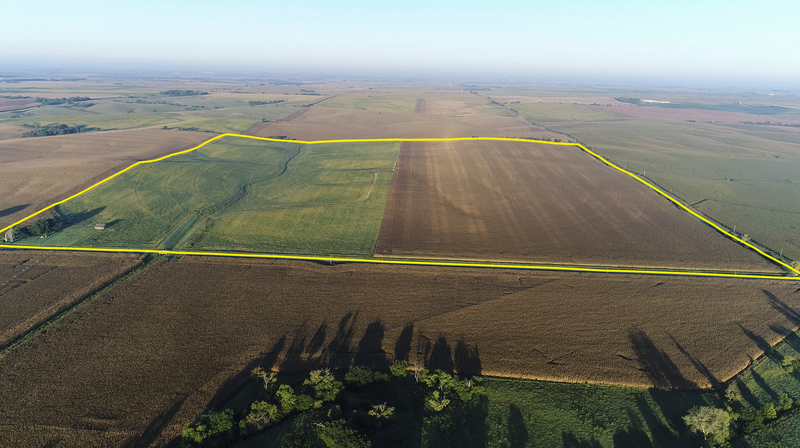 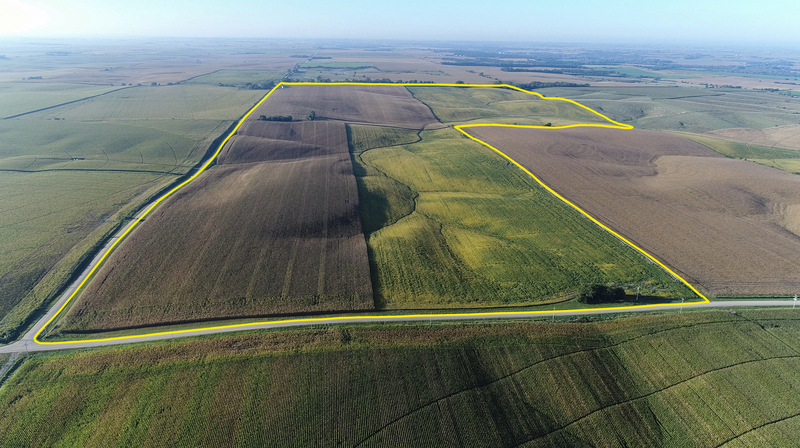 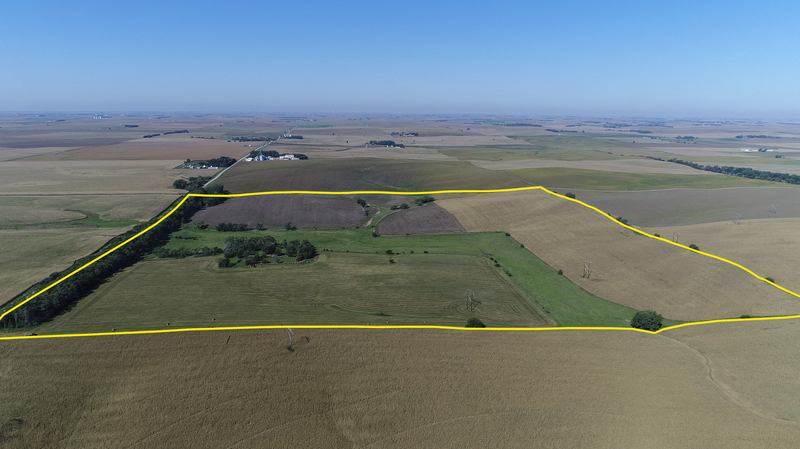 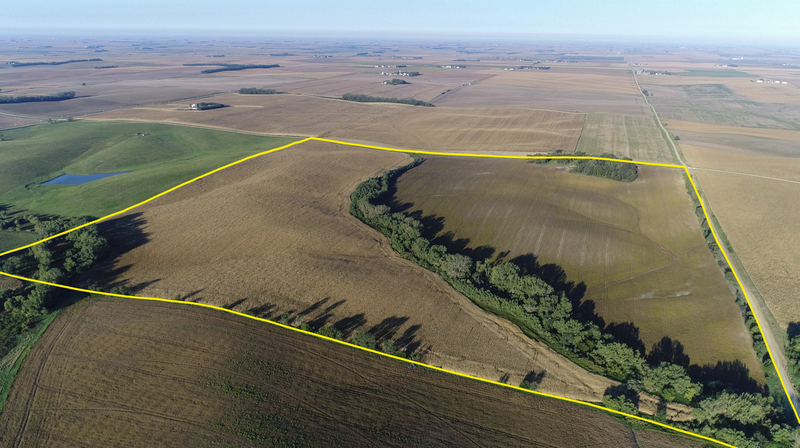 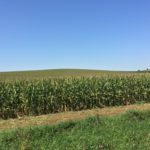 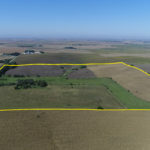 General Description: This dryland farm lays flat to gently rolling, and is located right on the hard-surfaced road that runs from Meadow Grove to ADM. FSA records indicate that 152.53+/- acres are currently farmed with the balance made up of the vacant farm place and roads. 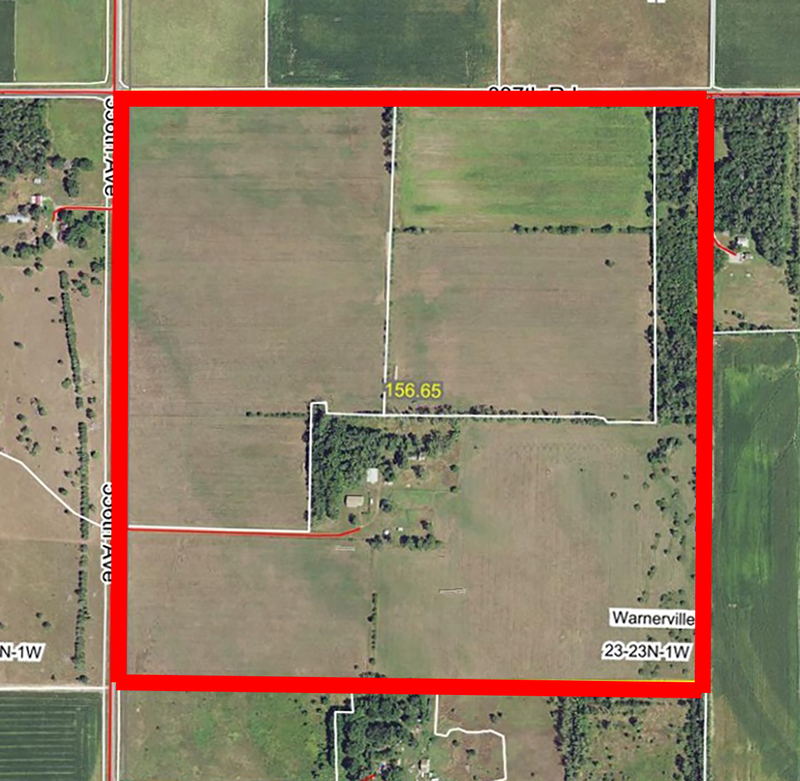 Land Location: From the intersection of Hwy 32 & Hwy 121 go 2 miles north, then turn west on 830 Road and go 1 ½ miles. 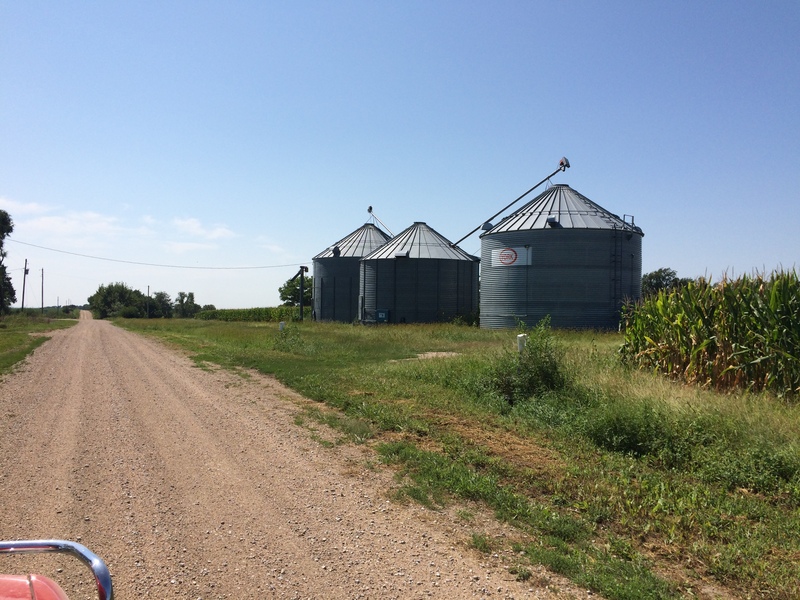 General Description: This combination farm lays flat to gently rolling. 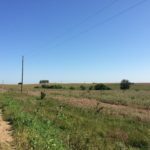 It has good gravel road access and is only 1 ½ miles off Hwy 121. 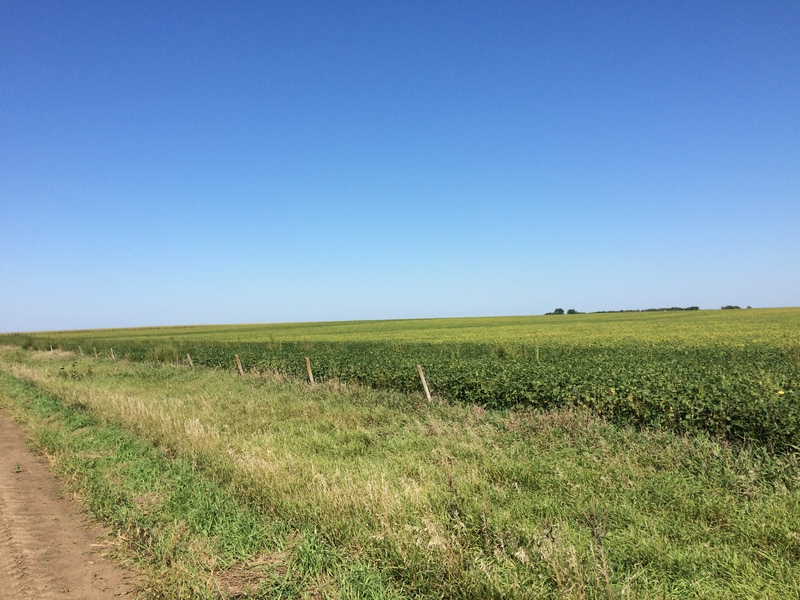 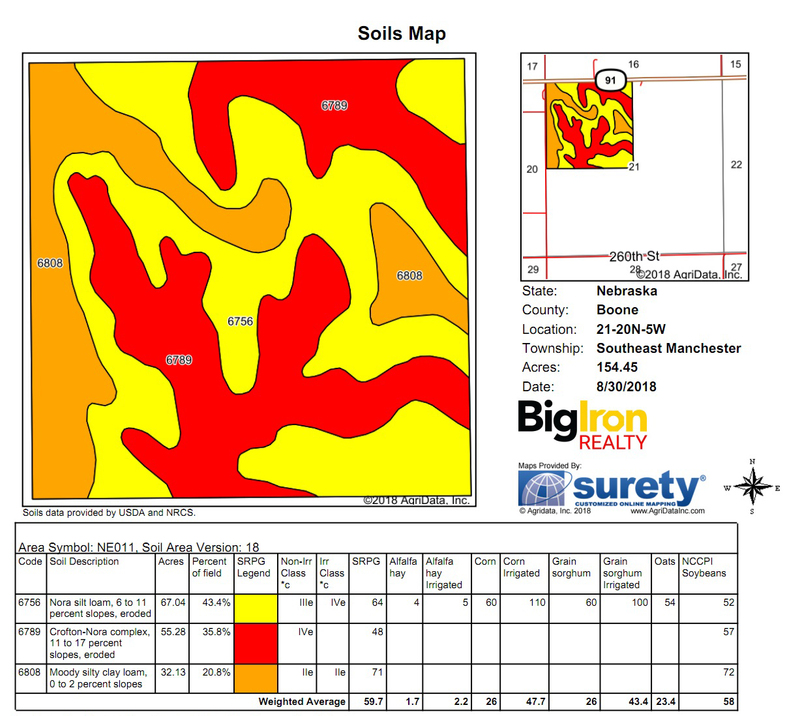 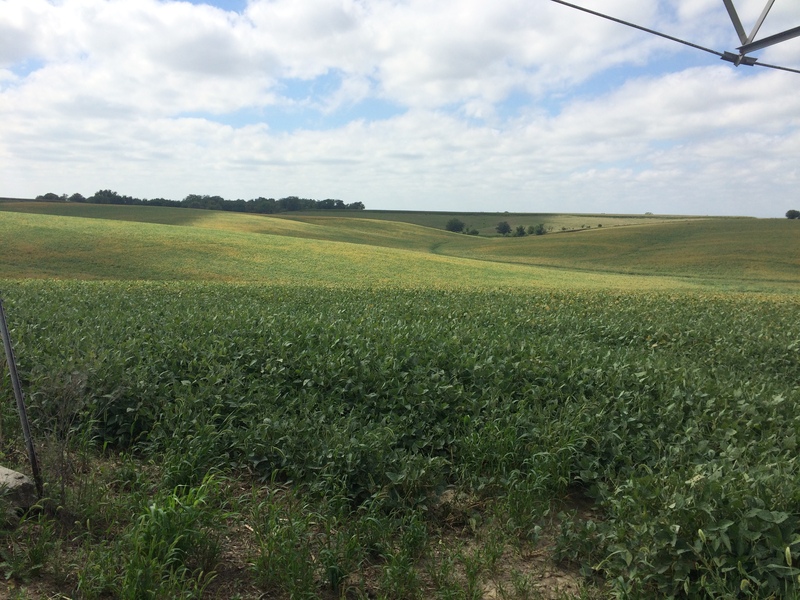 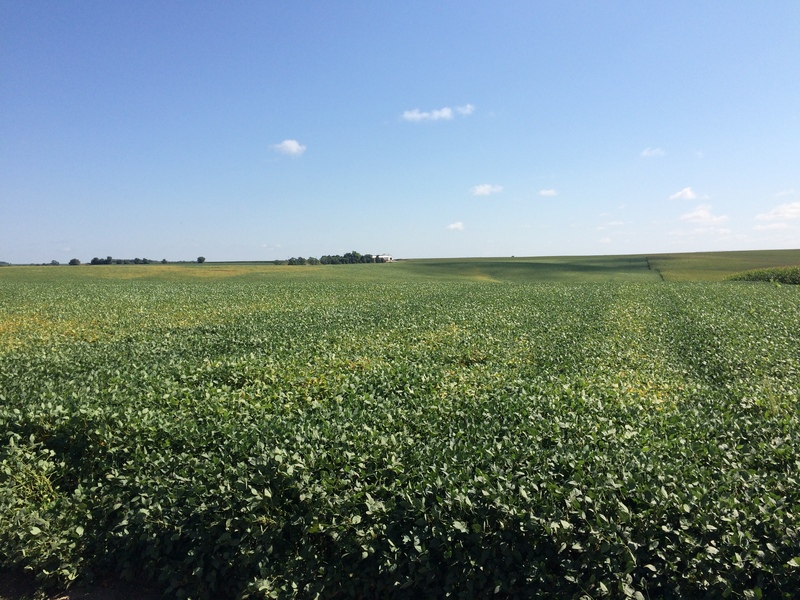 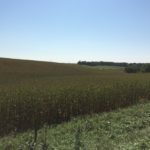 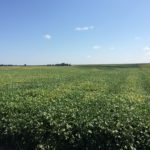 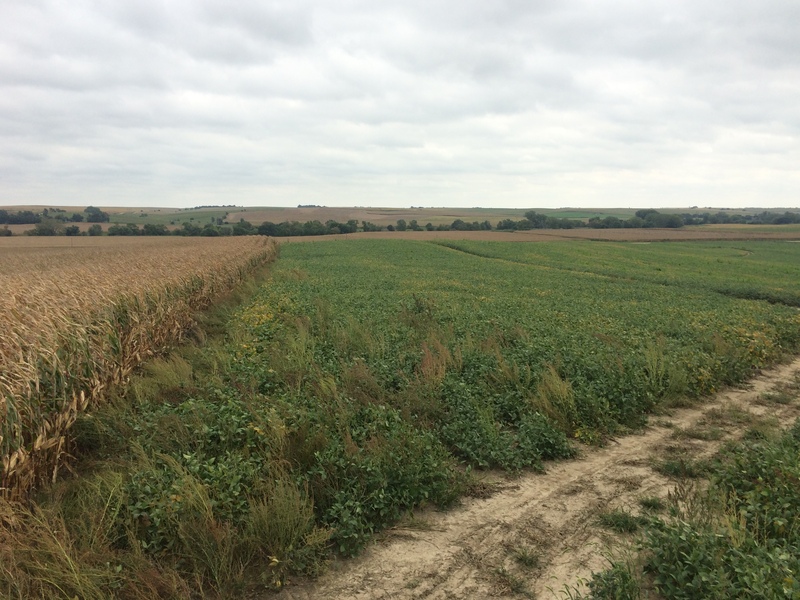 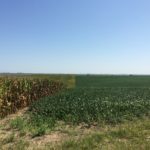 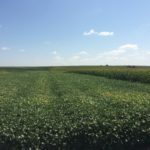 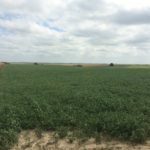 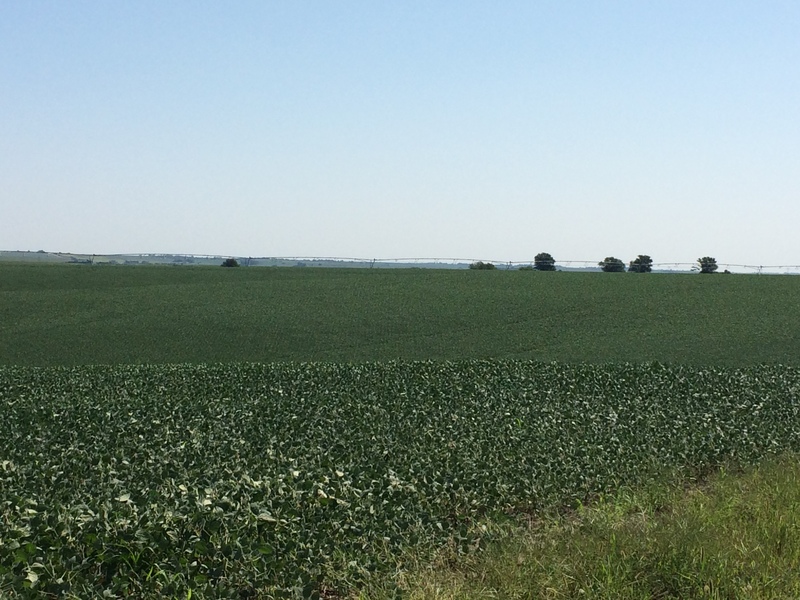 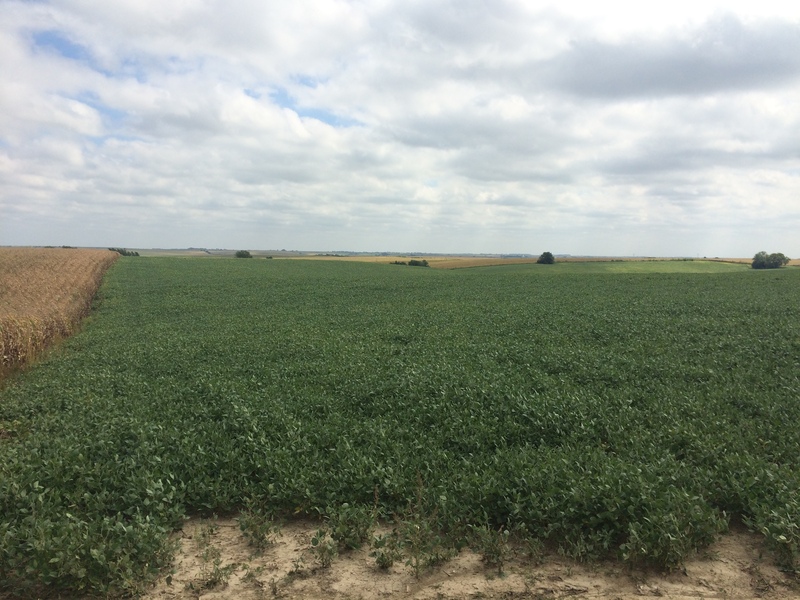 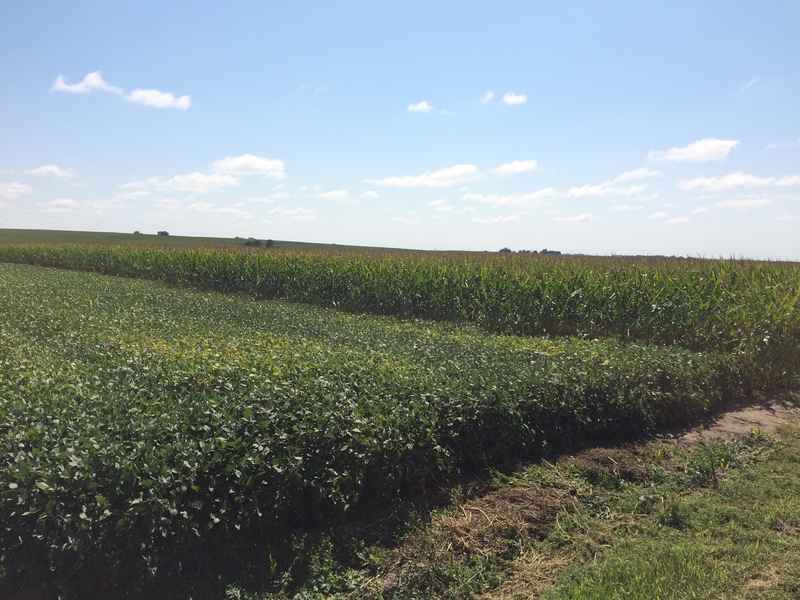 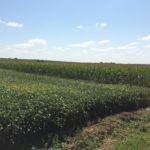 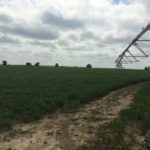 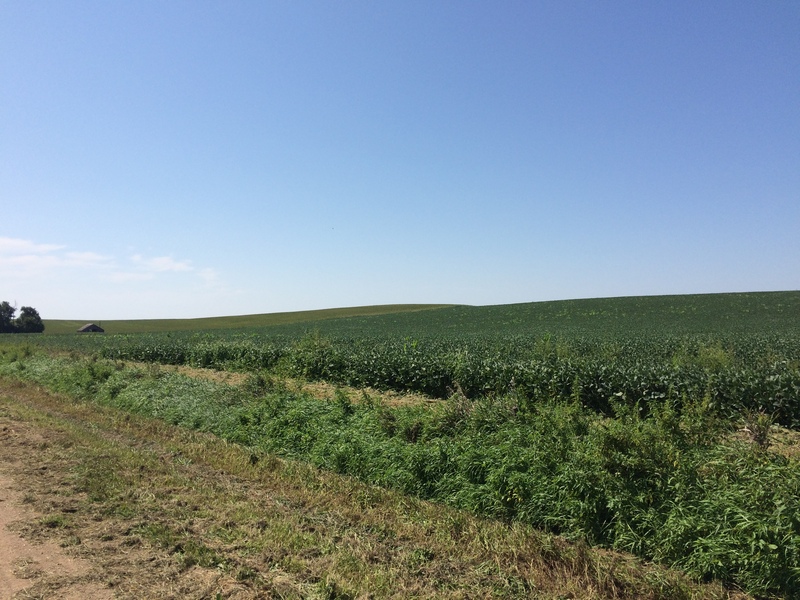 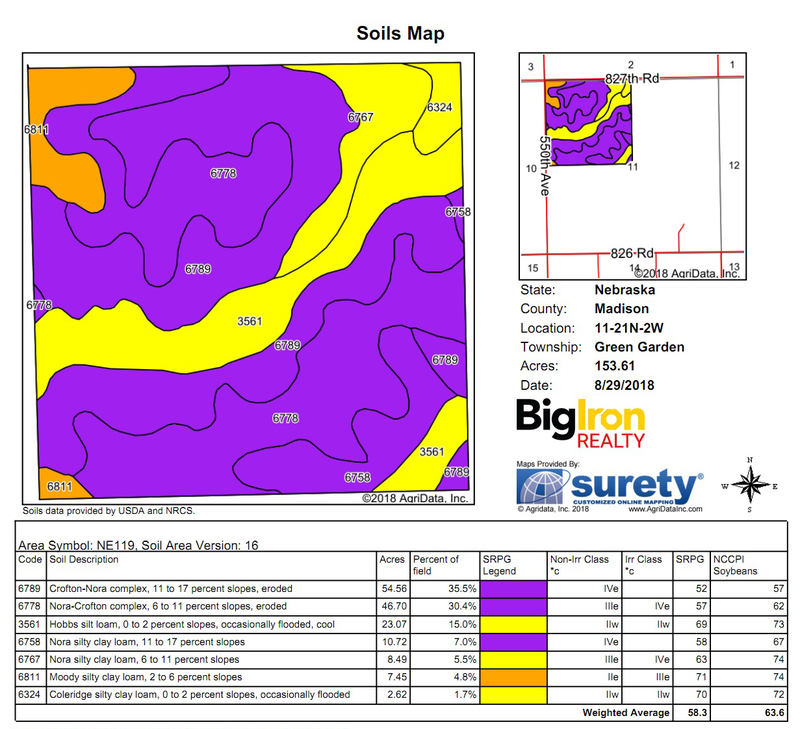 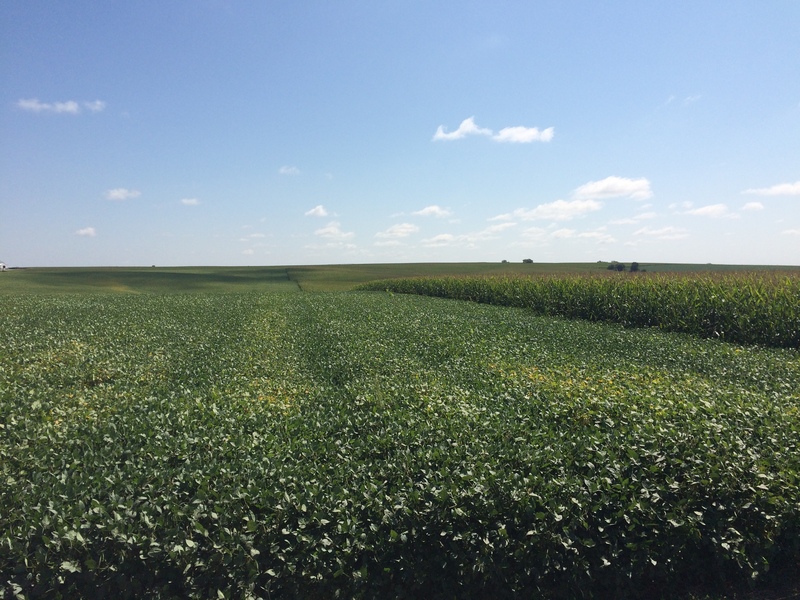 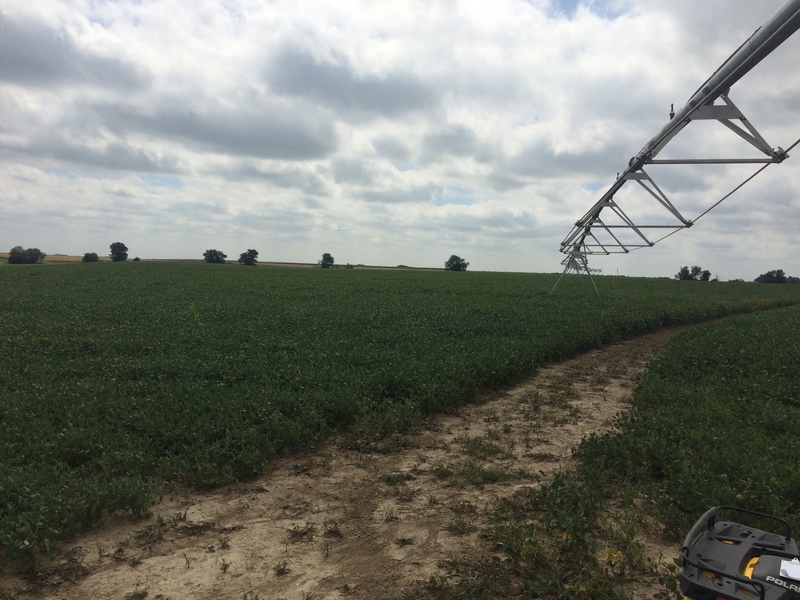 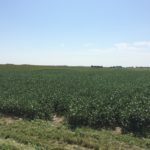 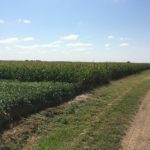 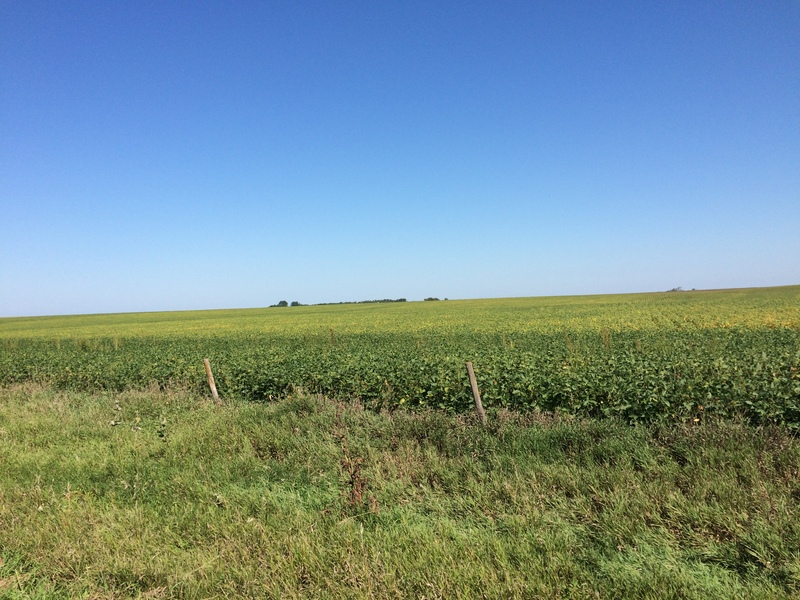 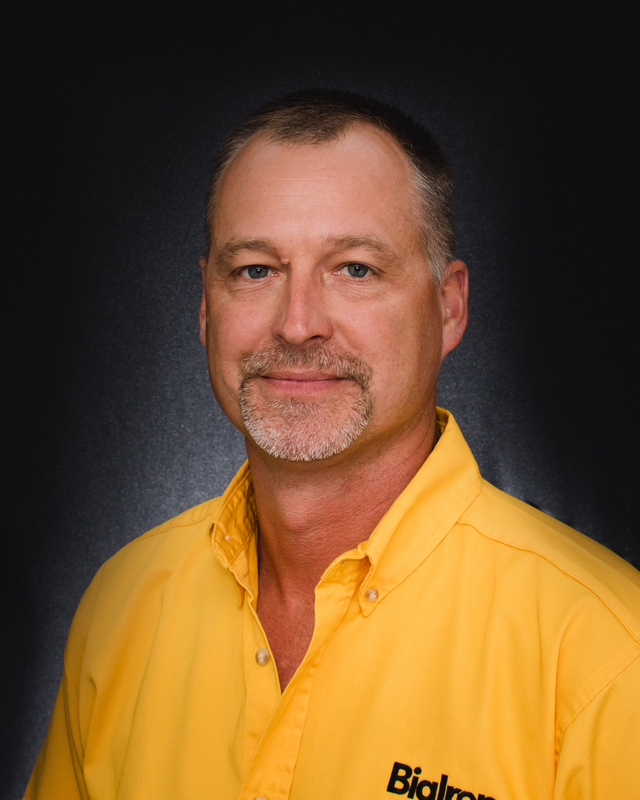 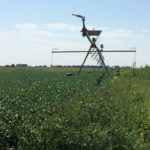 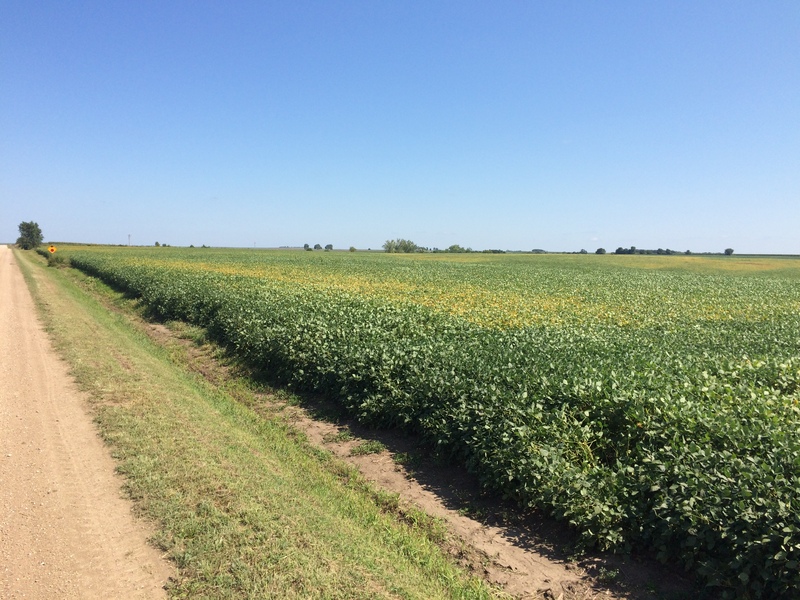 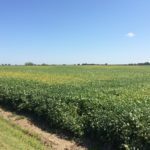 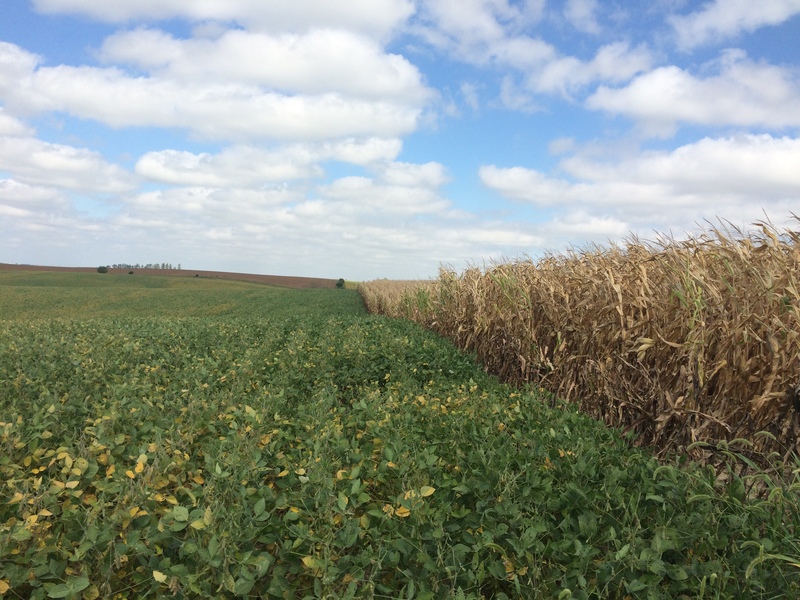 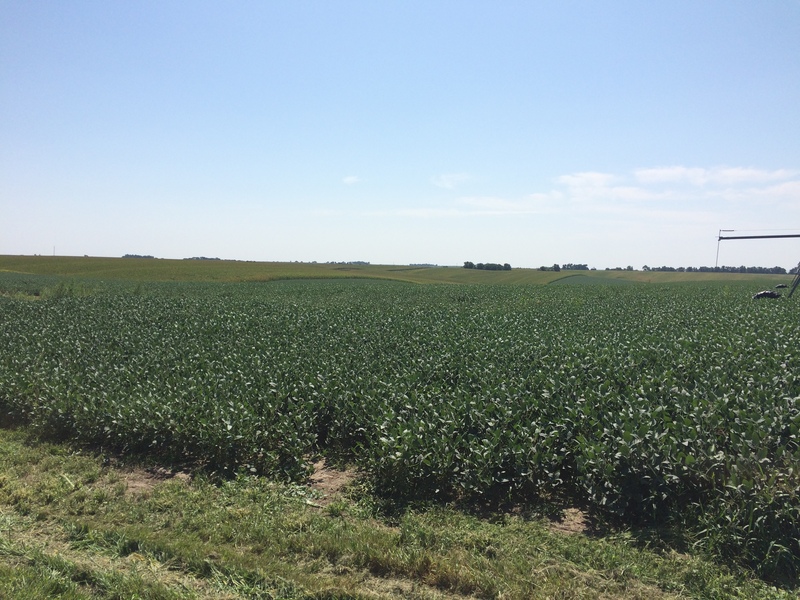 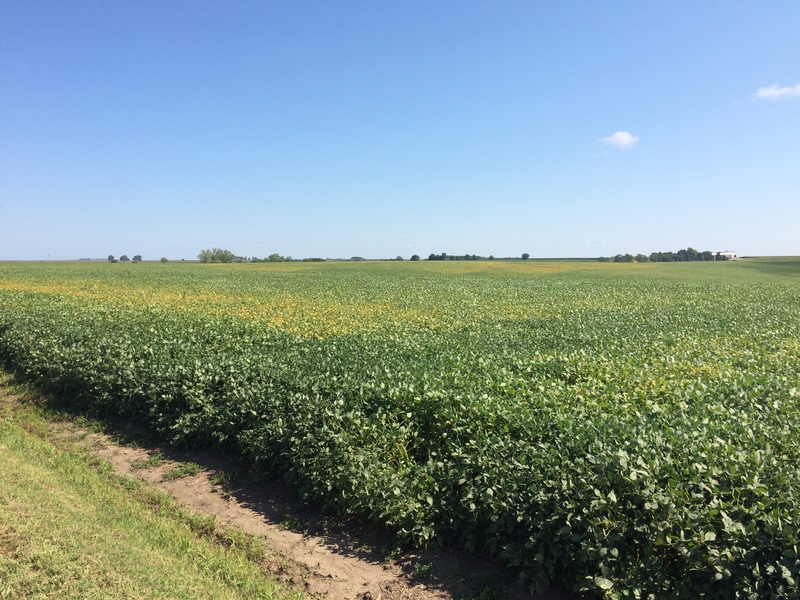 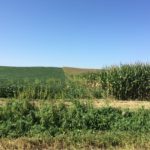 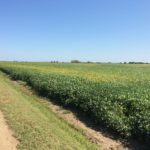 According to the FSA, there are approximately 82.98+/- acres in crop production, 29.67+/- acres in Alfalfa, 30.81+/- acres in grass and 11.51+/- in trees and vacant farm place. 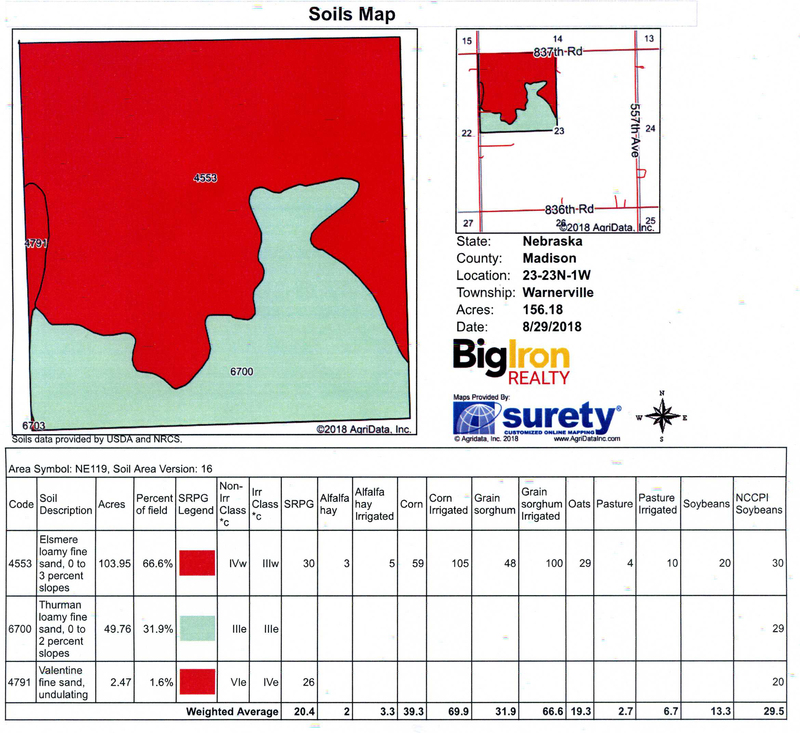 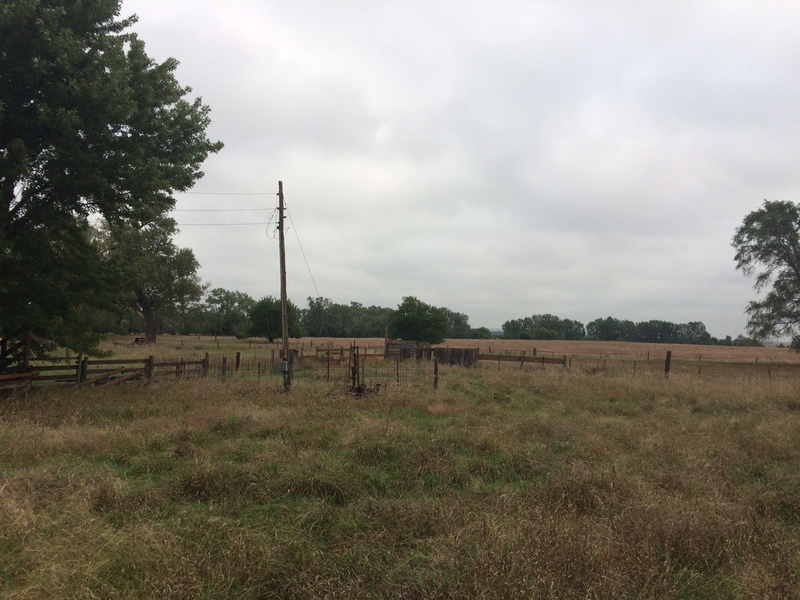 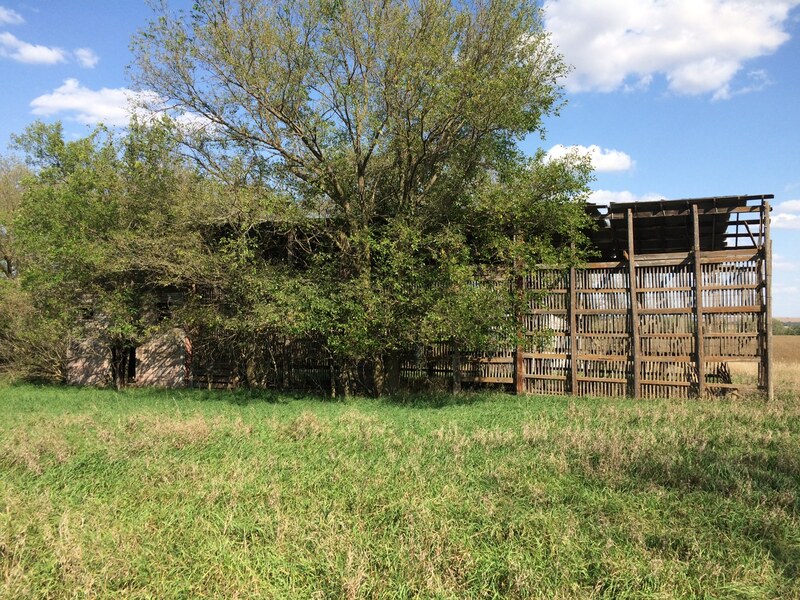 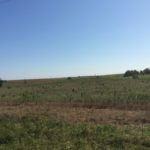 Land Location: The property is located 1 mile north of the Hwy 32 & Hwy 121 intersection. 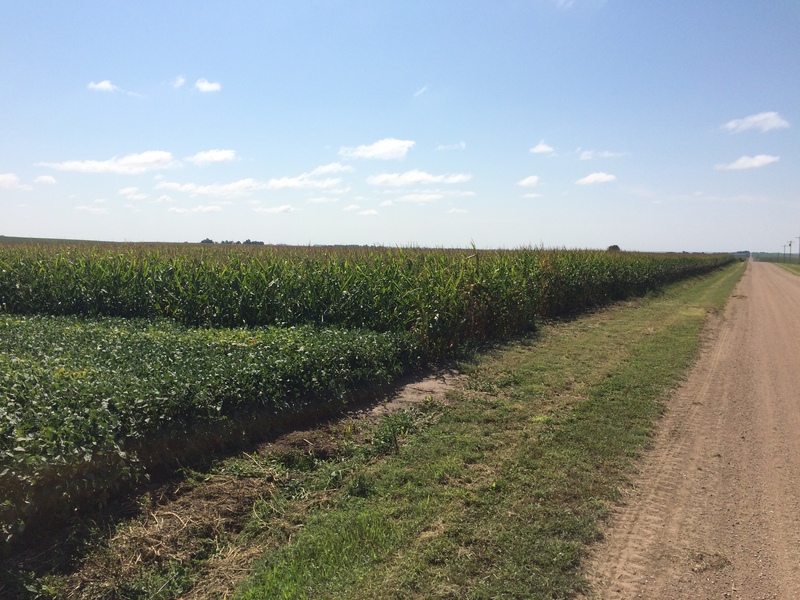 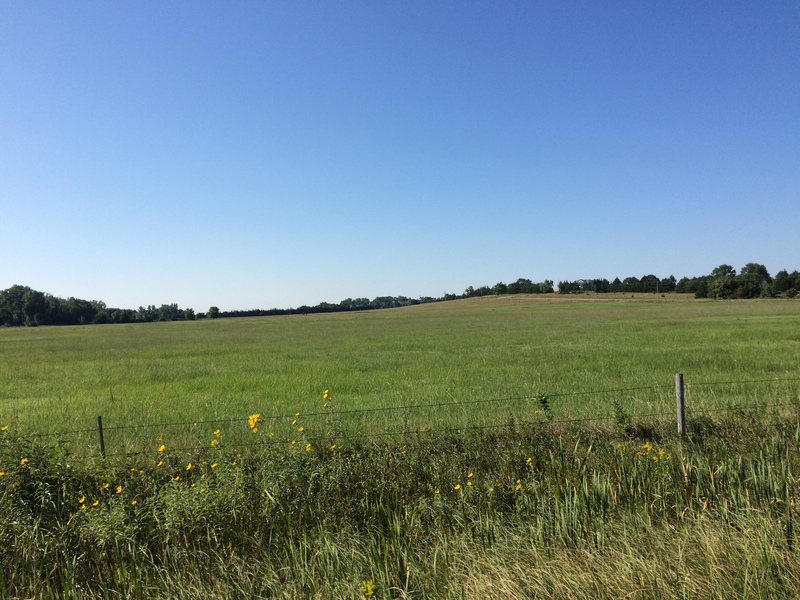 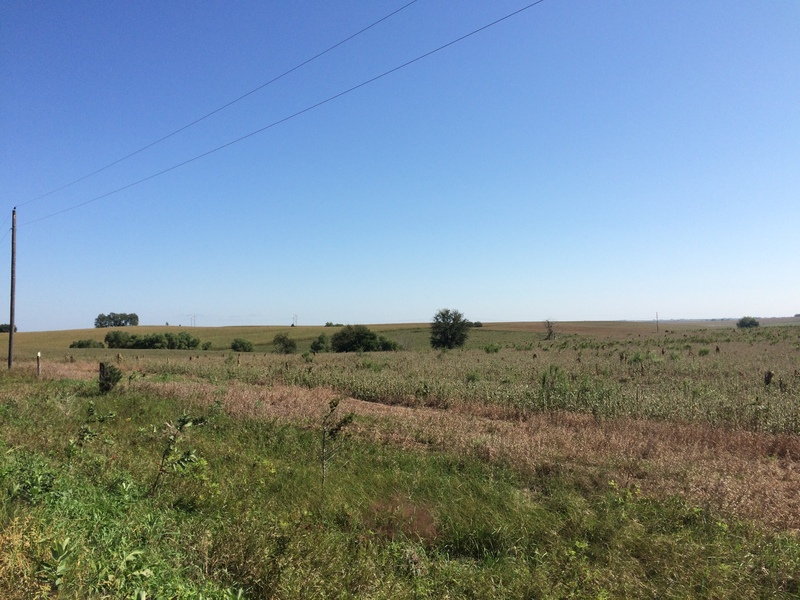 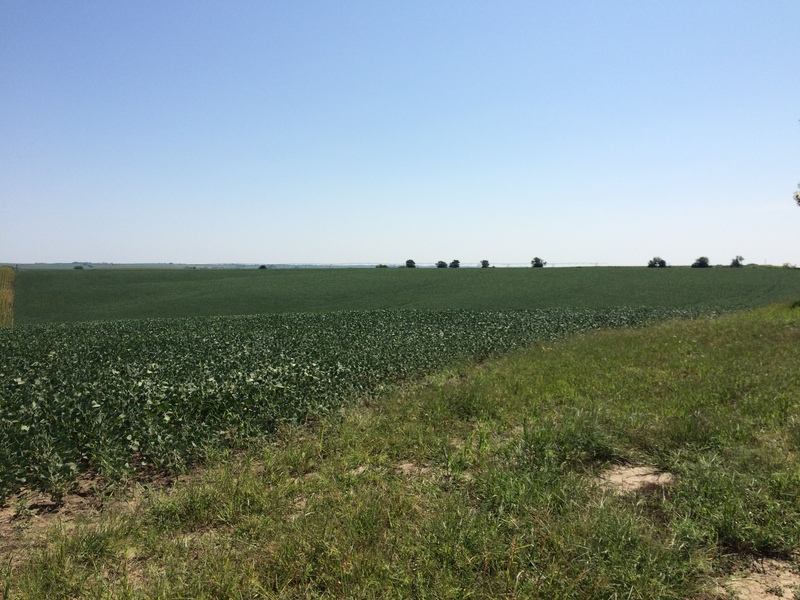 General Description: This dryland farm is nearly all flat and is located right on Hwy 121. 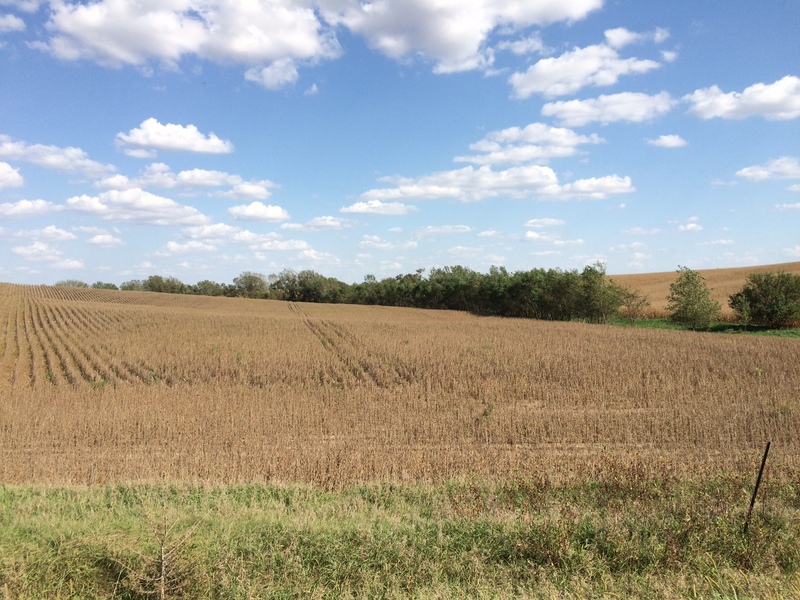 The FSA indicates there are 78.9+/- crop acres. 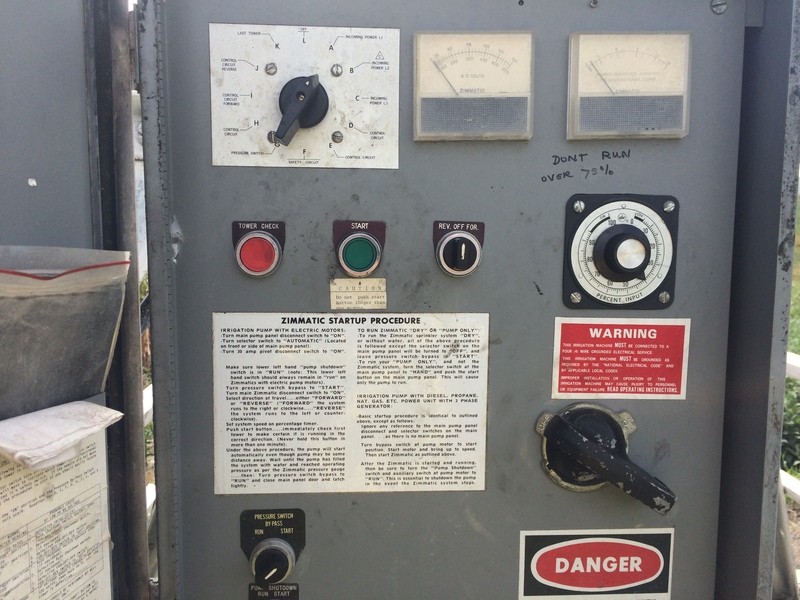 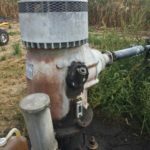 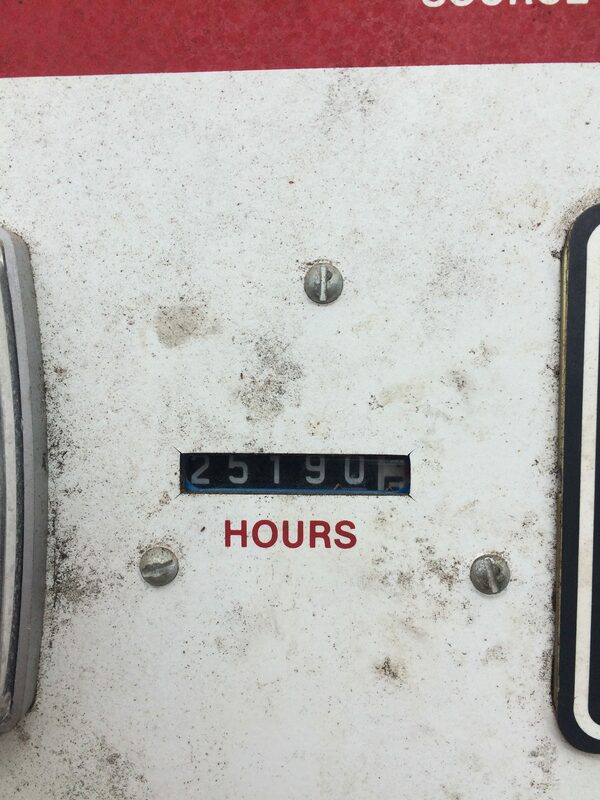 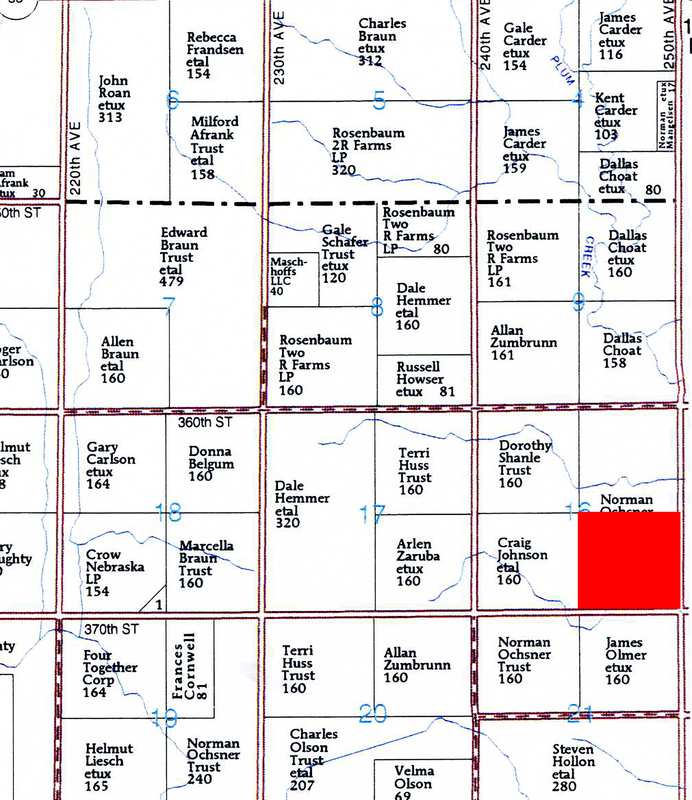 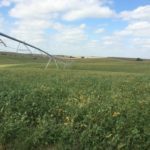 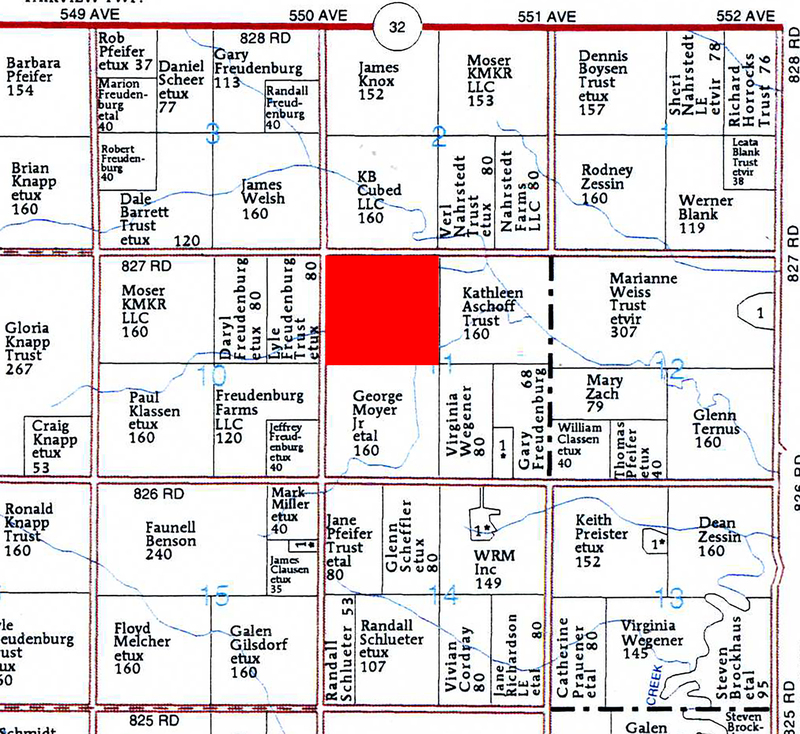 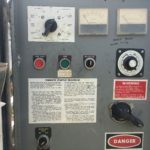 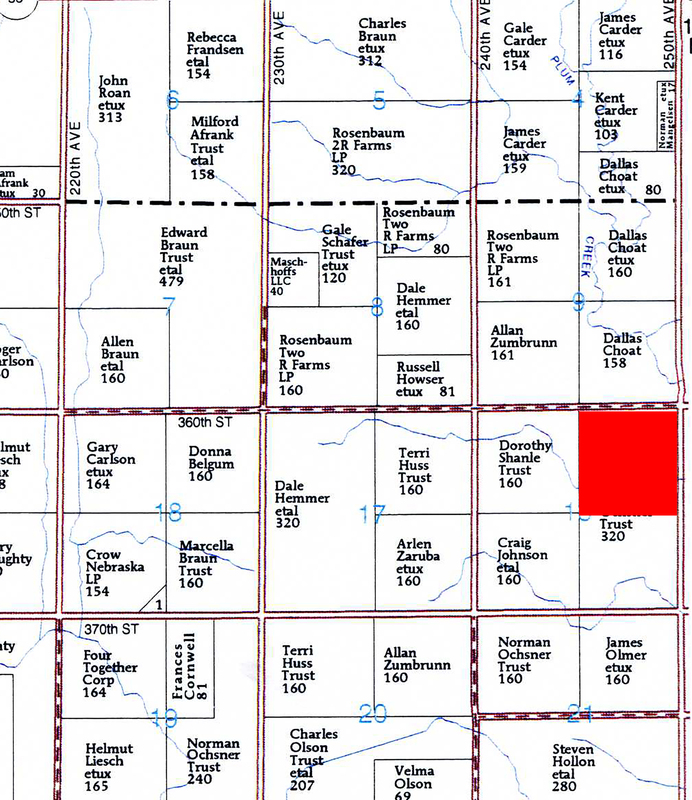 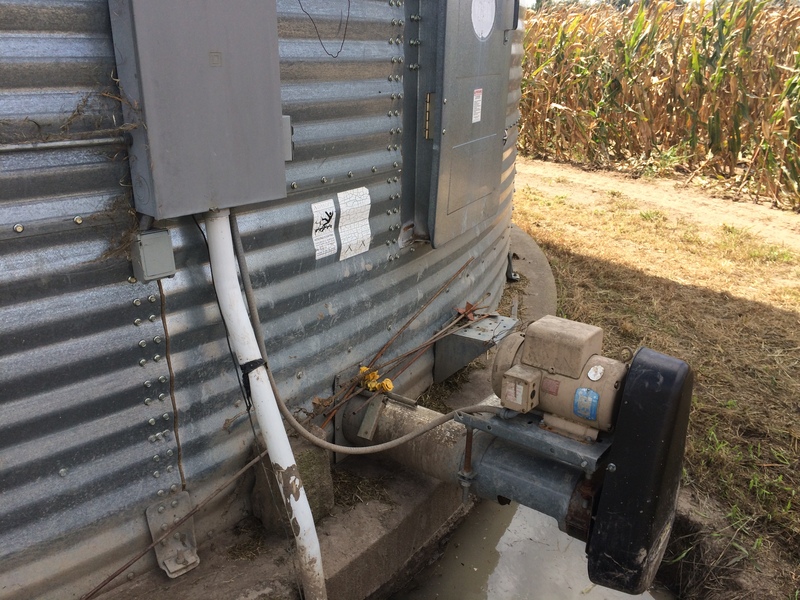 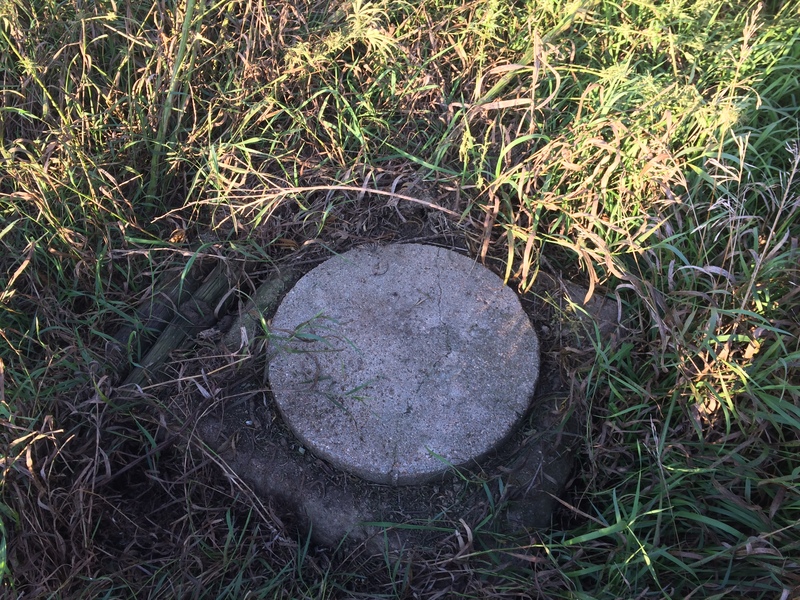 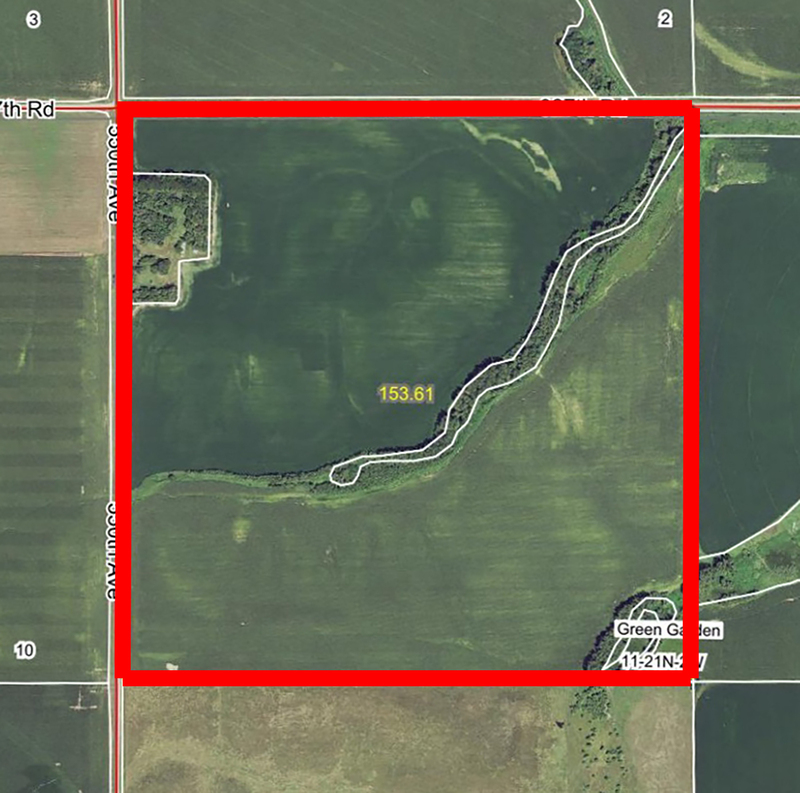 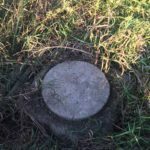 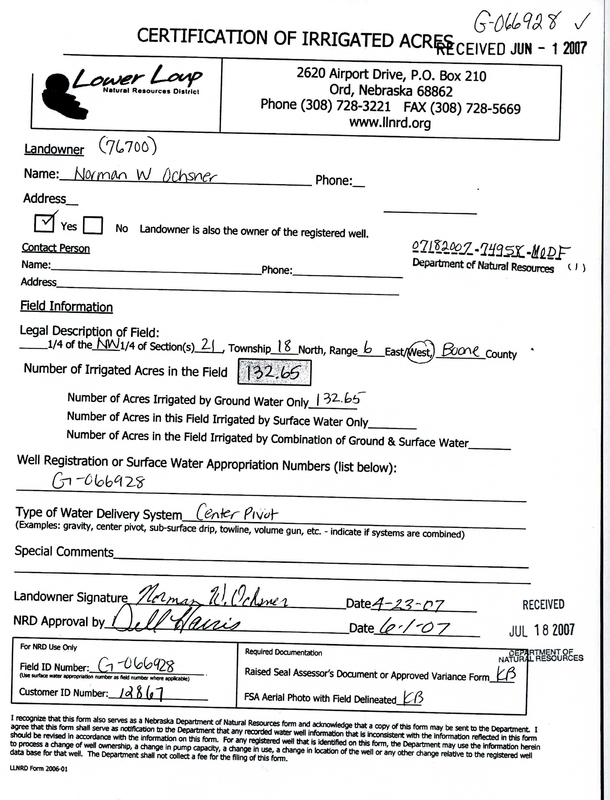 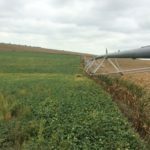 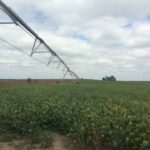 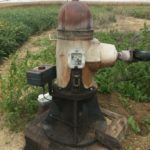 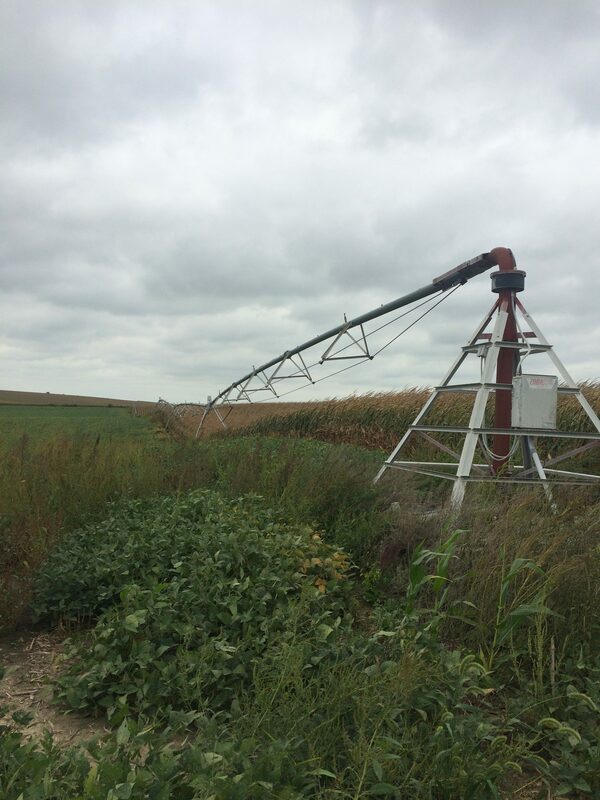 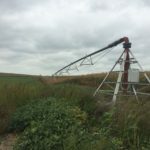 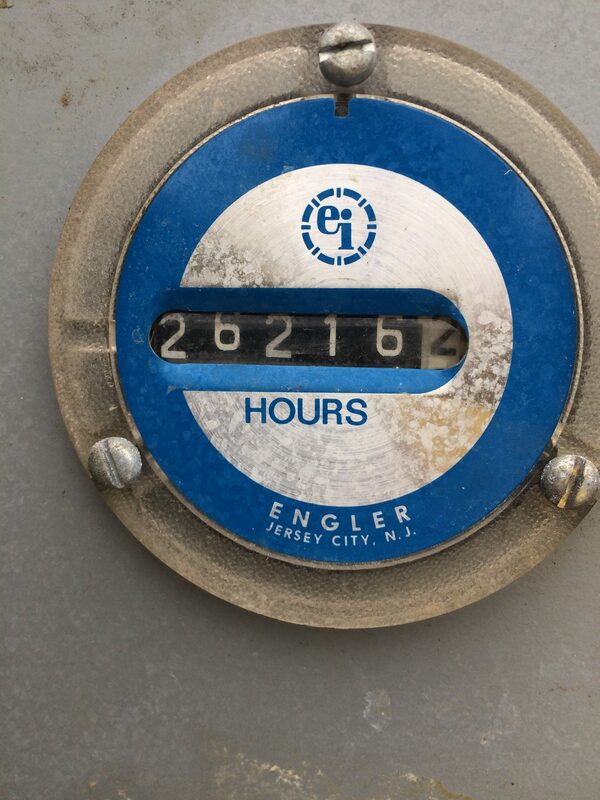 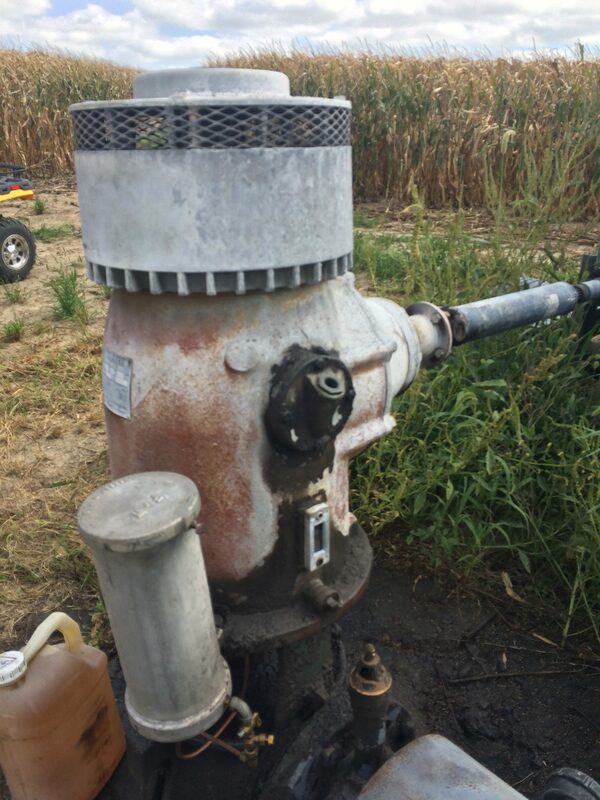 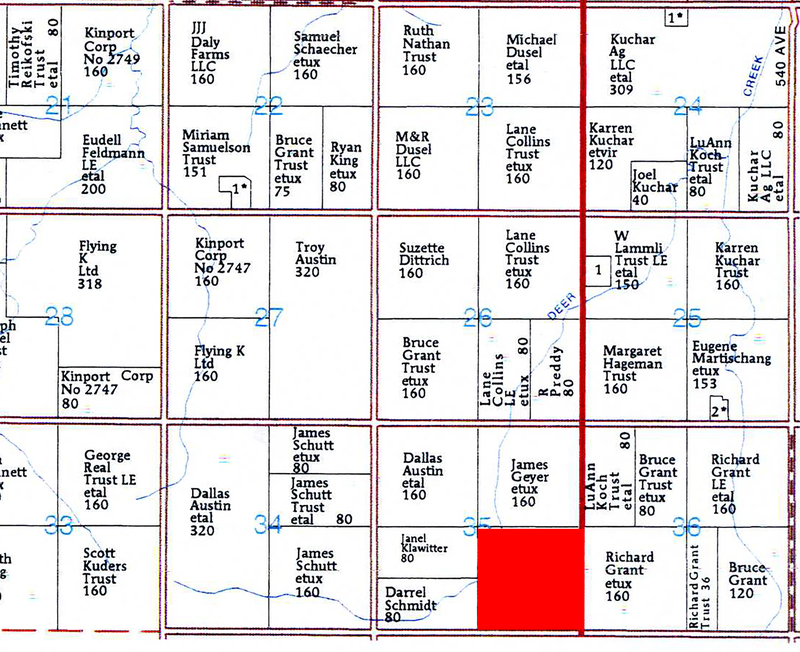 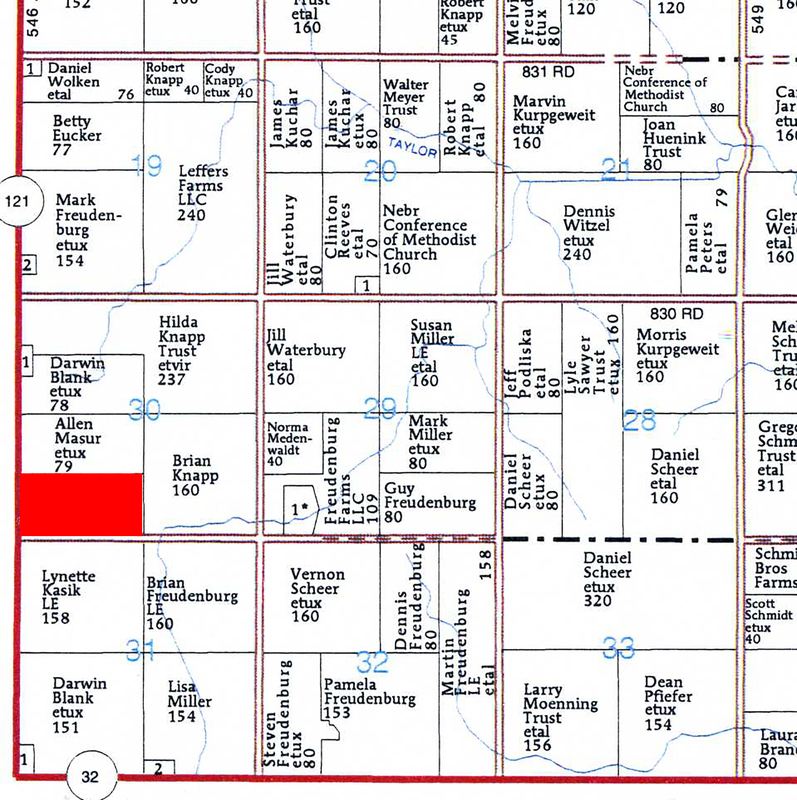 There is a registered irrigation well on the property; however, before you can use it for irrigation, you have to apply for the irrigated acres through the Lower Elkhorn NRD. 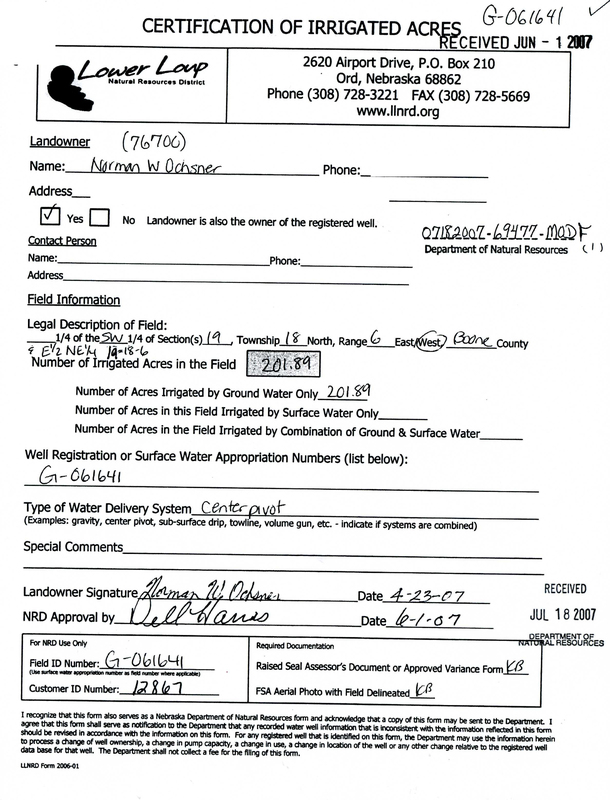 The NRD can be reached at 402-371-7313. 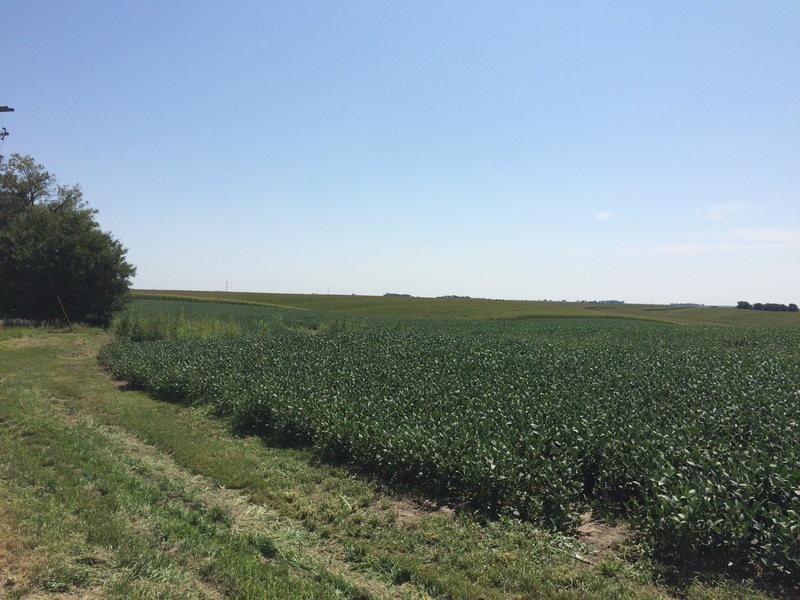 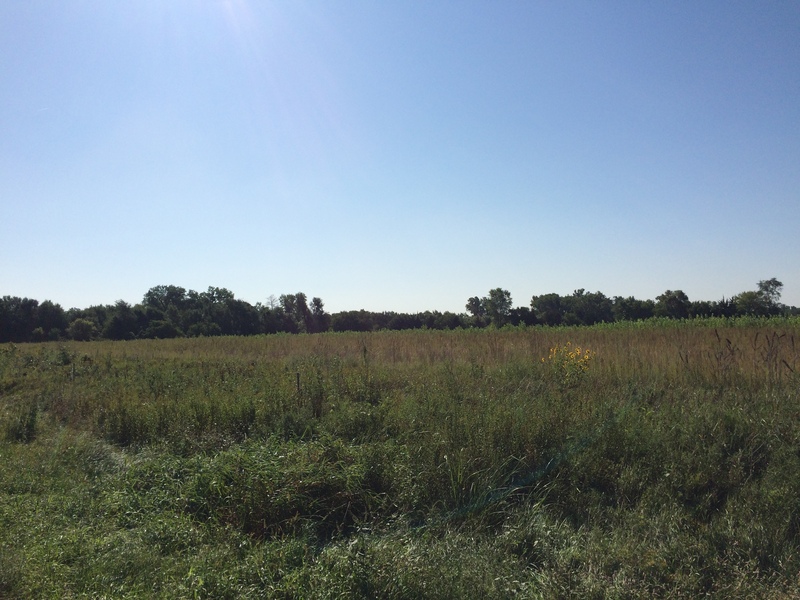 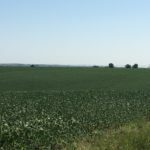 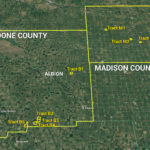 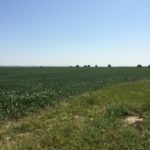 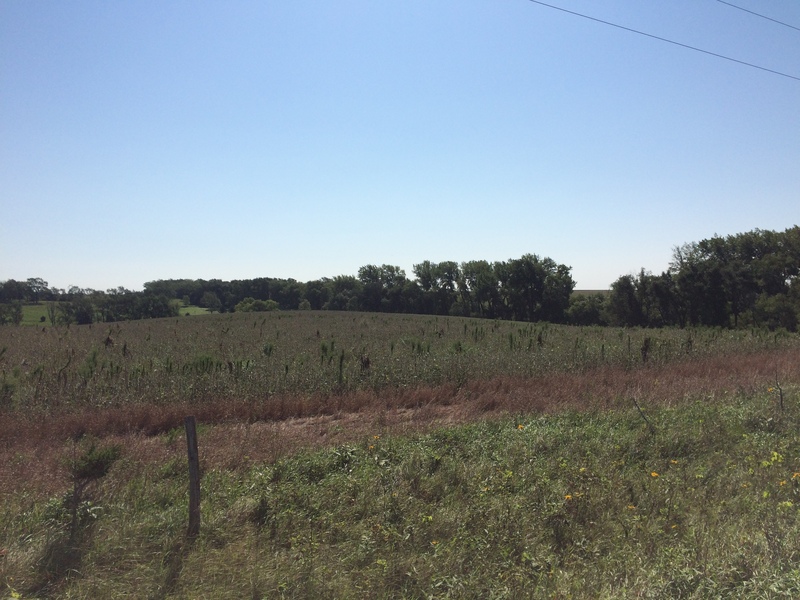 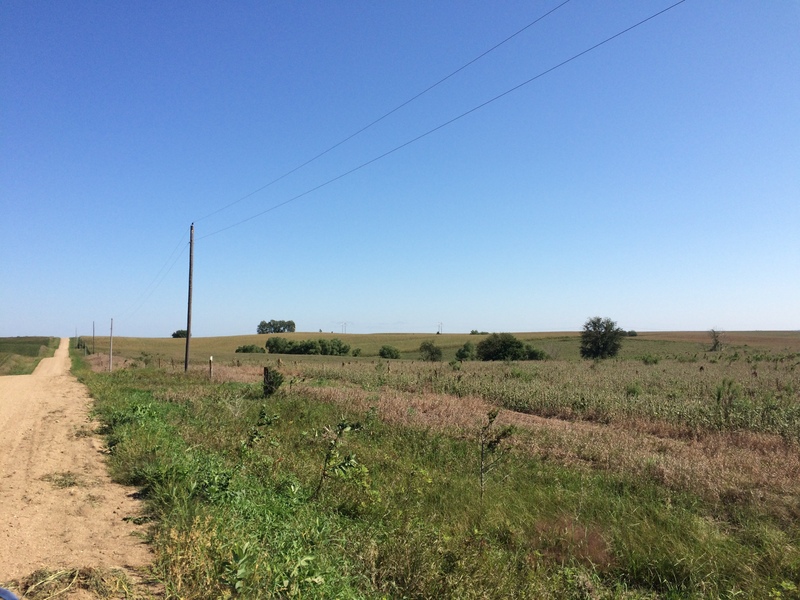 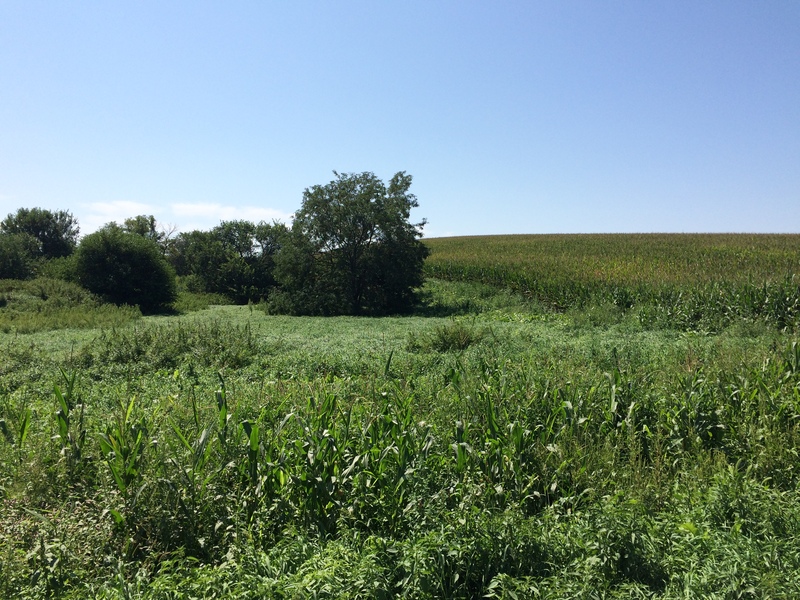 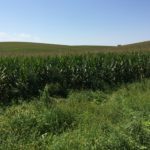 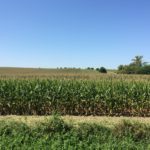 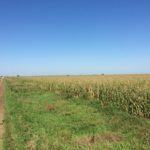 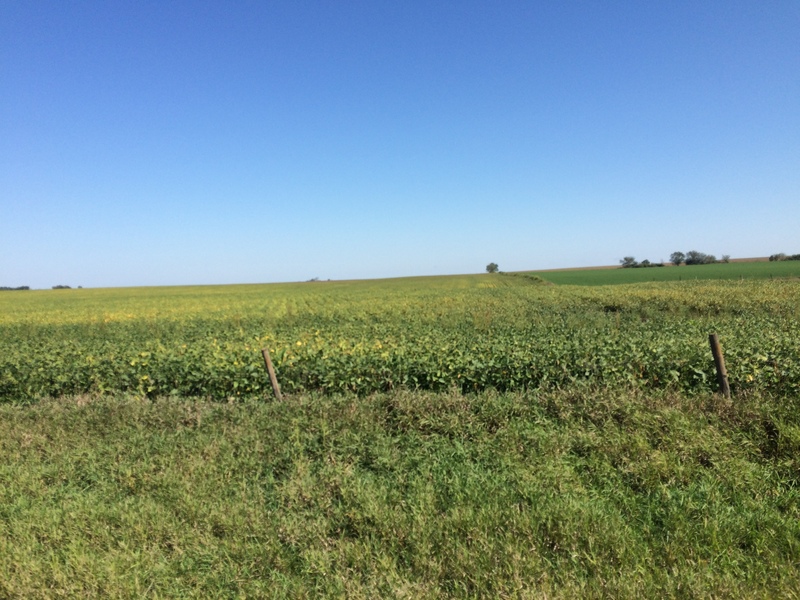 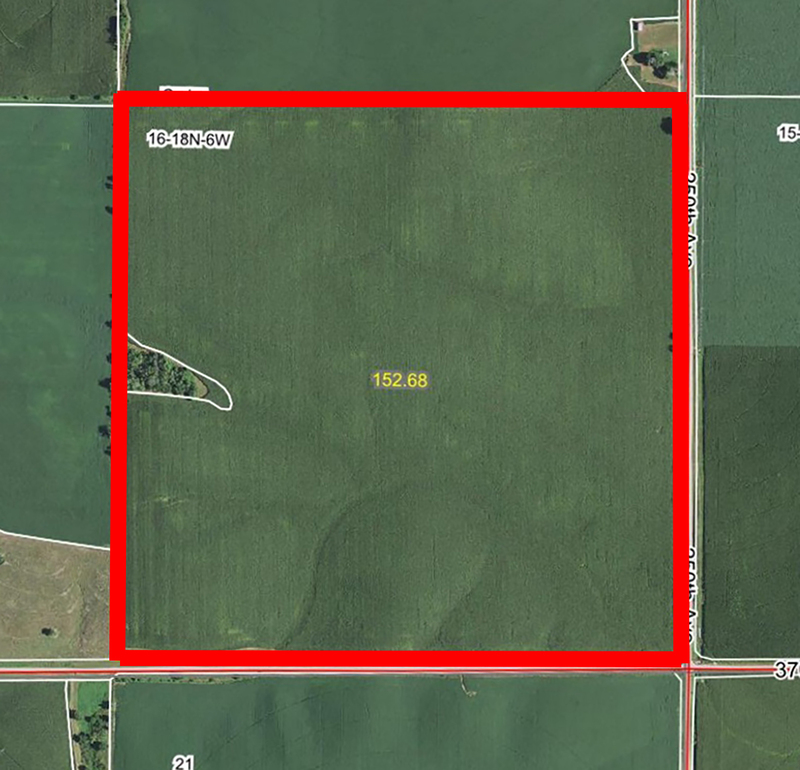 Land Location: From the intersection of Hwy 32 and 550 Avenue, west of Madison, Nebraska, go 1 mile south. 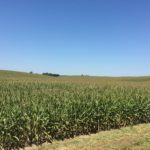 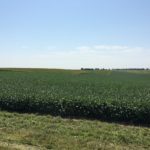 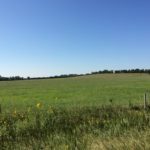 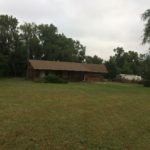 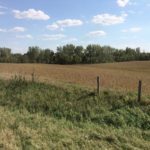 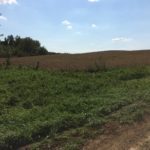 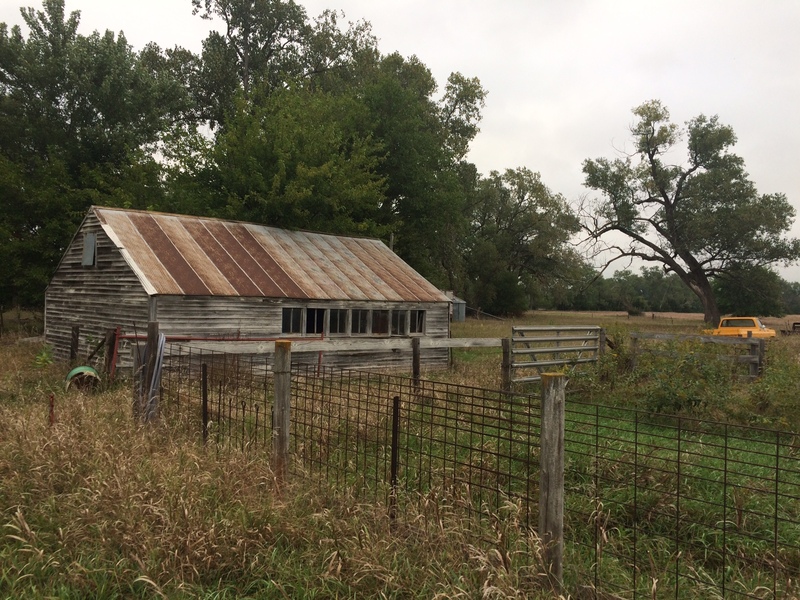 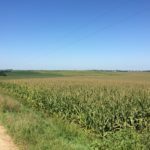 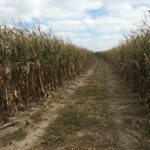 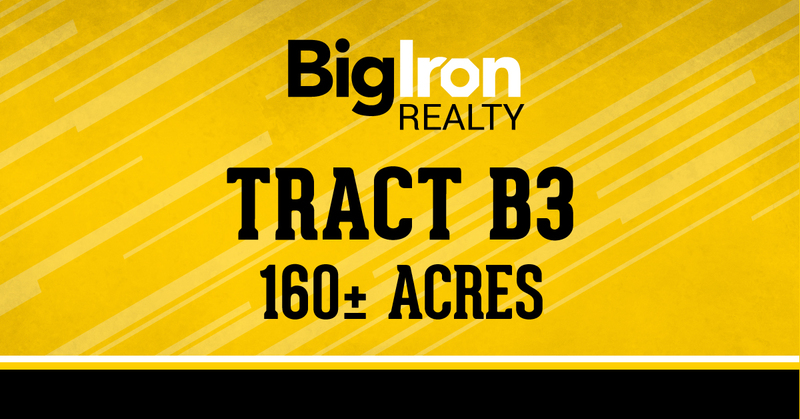 General Description: This dryland farm is located just 1 mile south of Hwy 32 on a good gravel road. 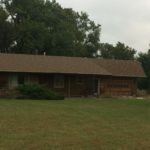 The property is gently rolling to rolling. 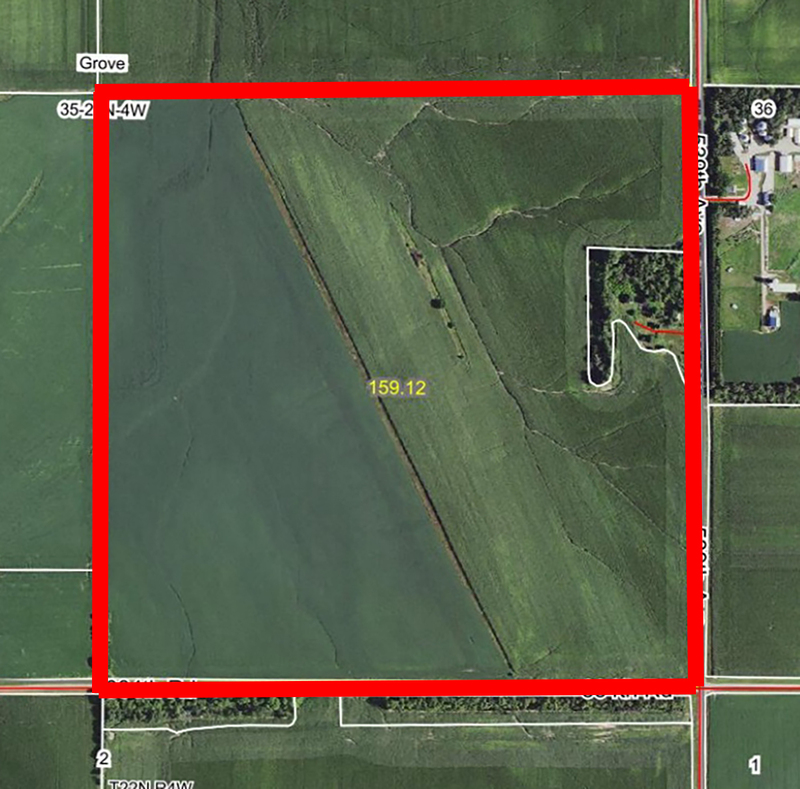 The FSA is showing 146+/- acres of cropland with the balance made up of a vacant farm place and trees. 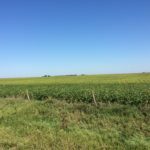 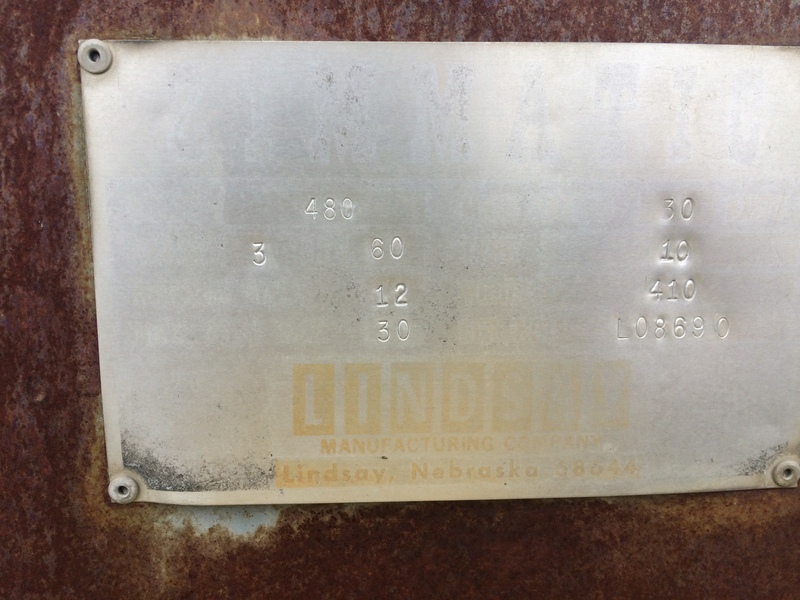 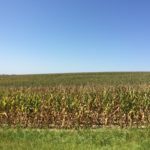 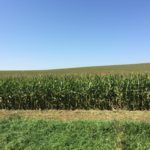 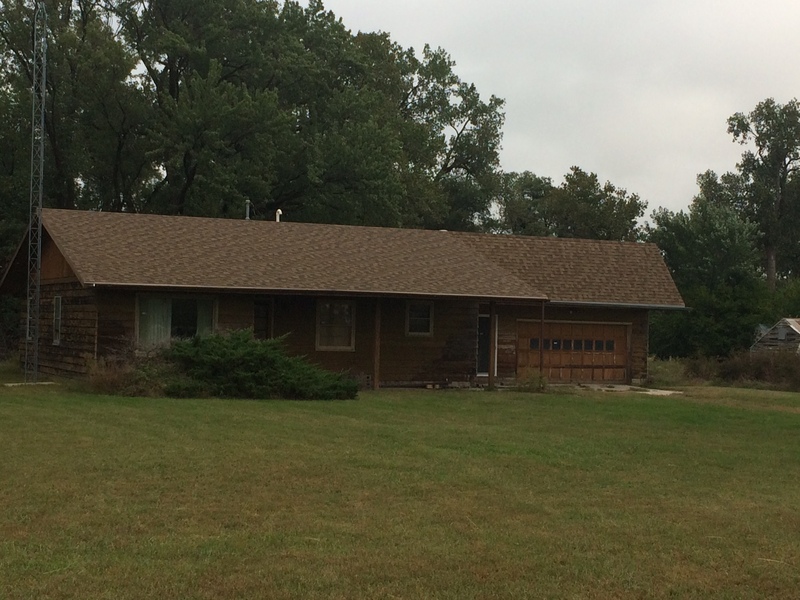 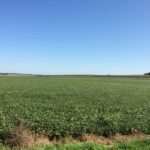 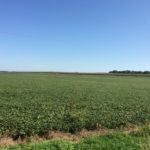 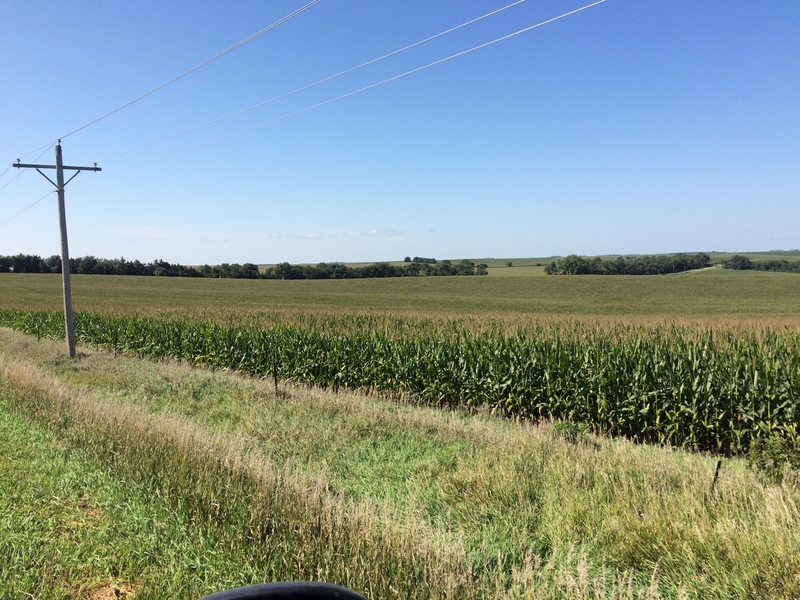 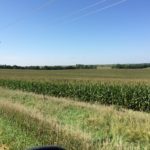 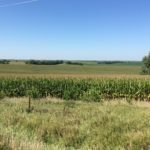 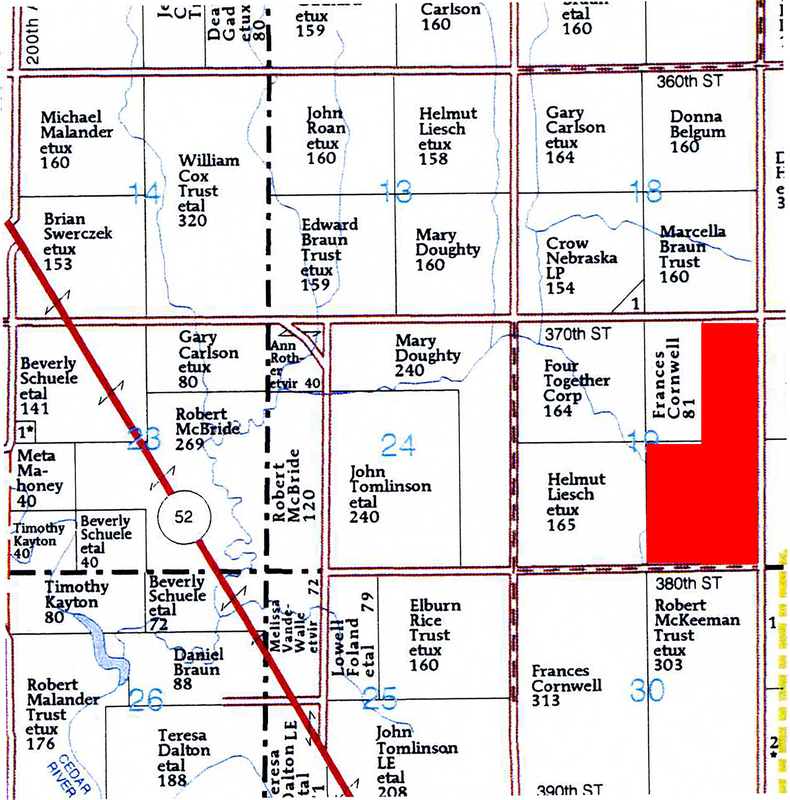 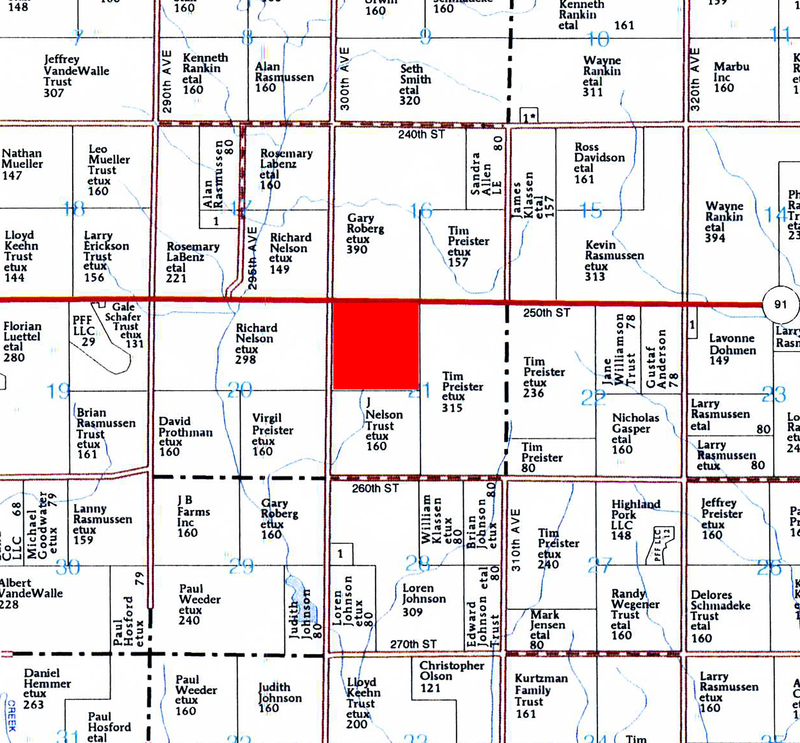 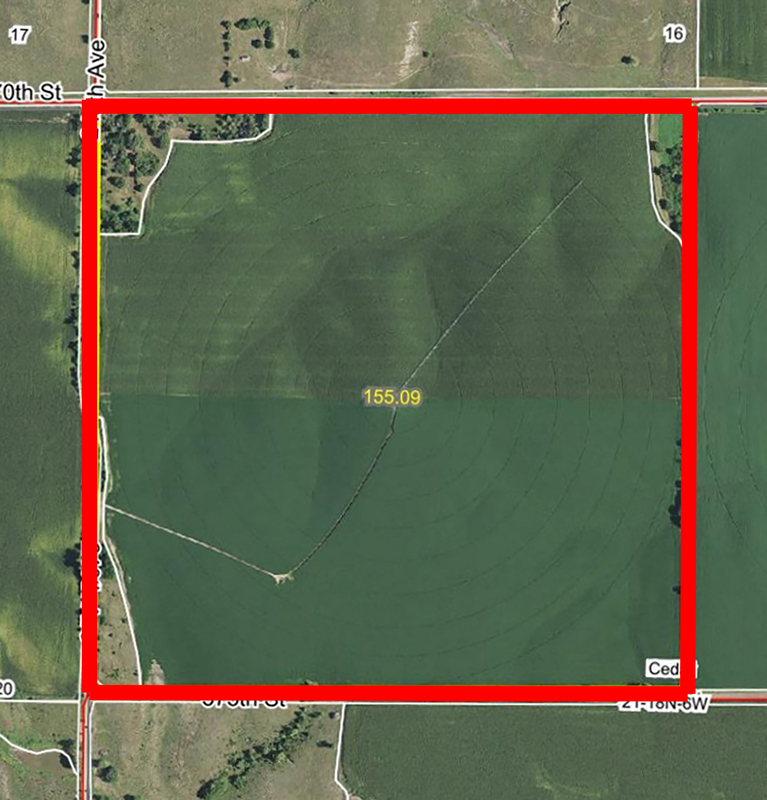 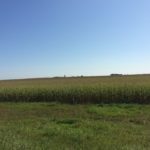 Land Location: From the intersection of Hwy 81 & 837 Road south of Norfolk, Nebraska, go 1 mile east. 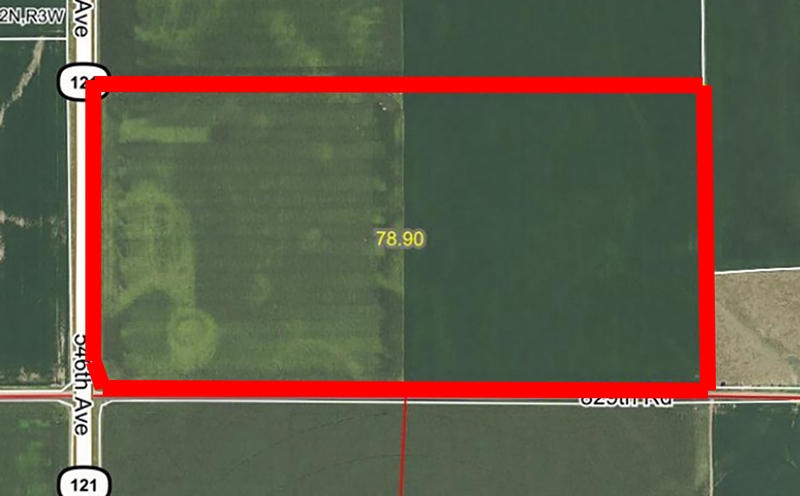 General Description: This parcel has great potential being just a couple minutes south of Norfolk on 1st Street (556 Avenue). 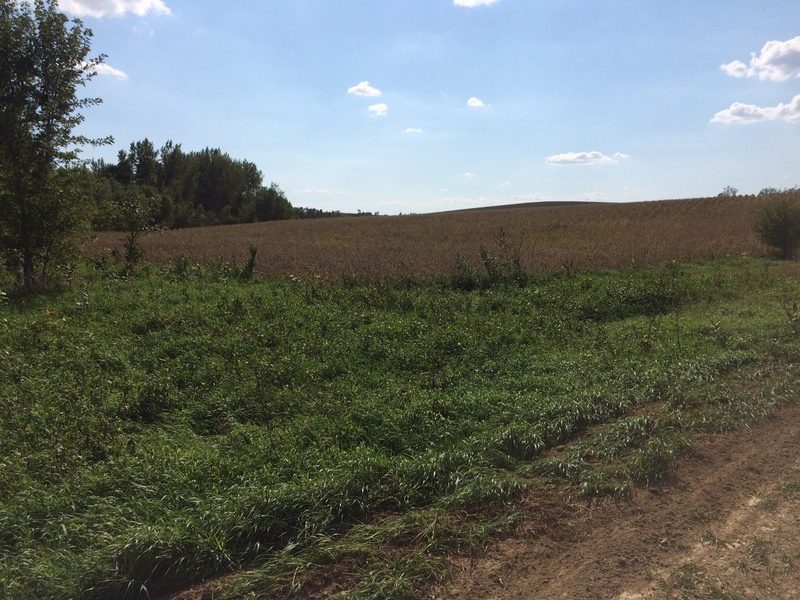 The farm lays flat and has sandy soil, typical of the area. 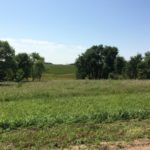 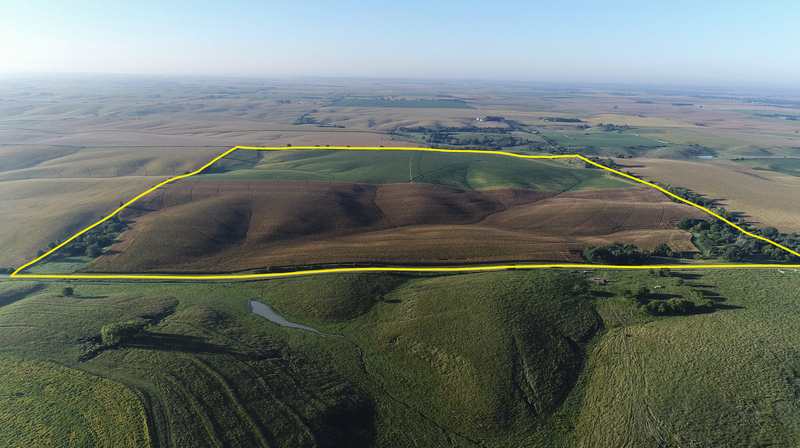 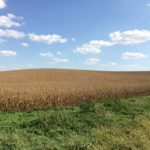 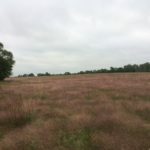 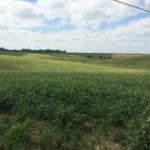 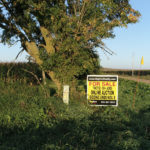 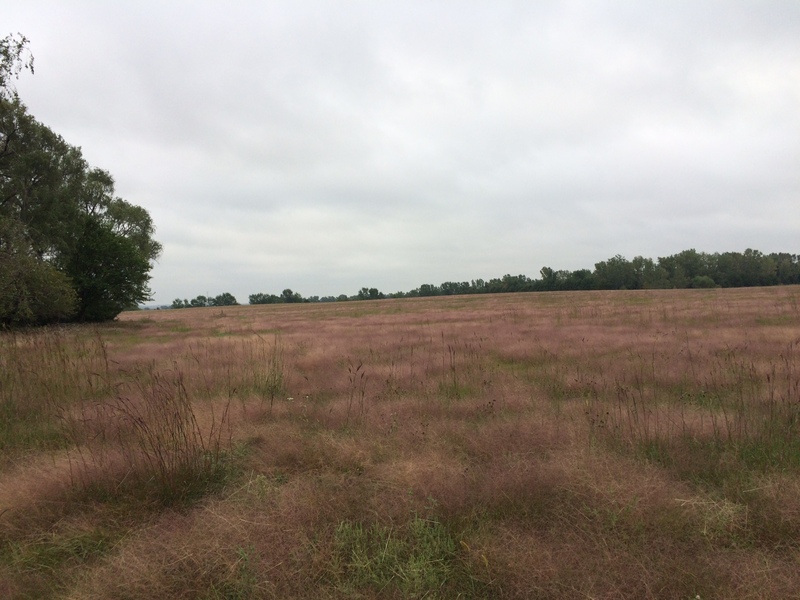 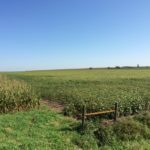 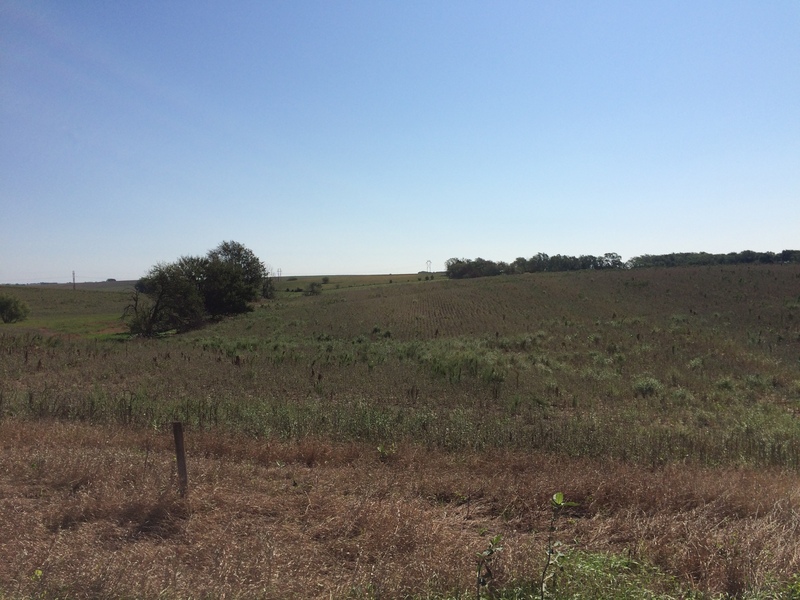 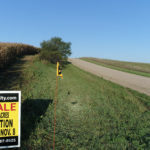 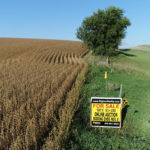 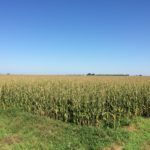 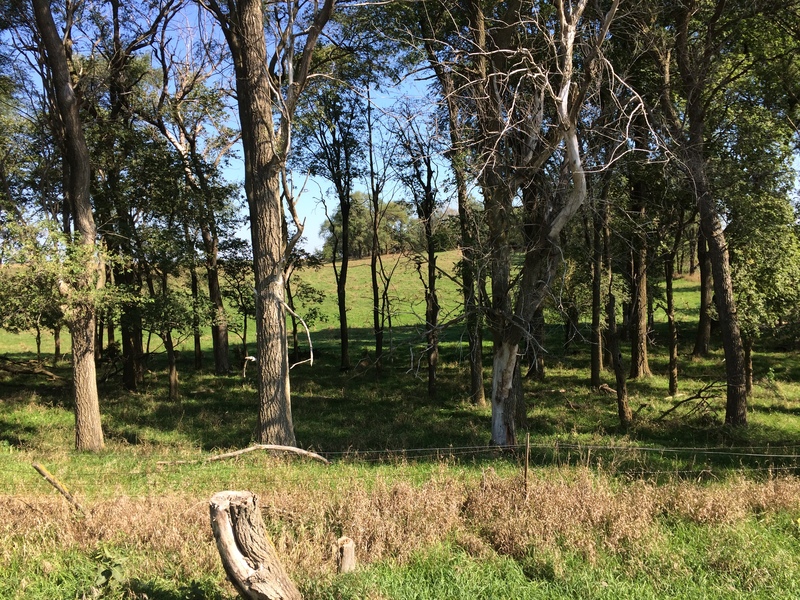 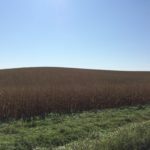 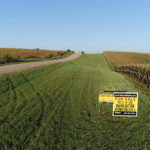 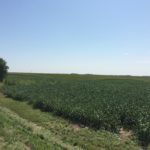 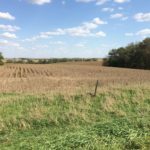 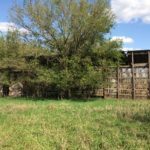 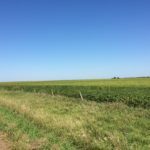 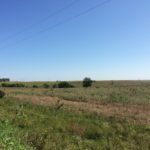 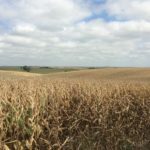 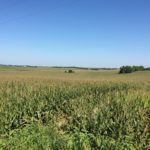 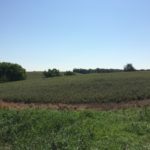 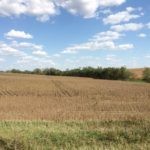 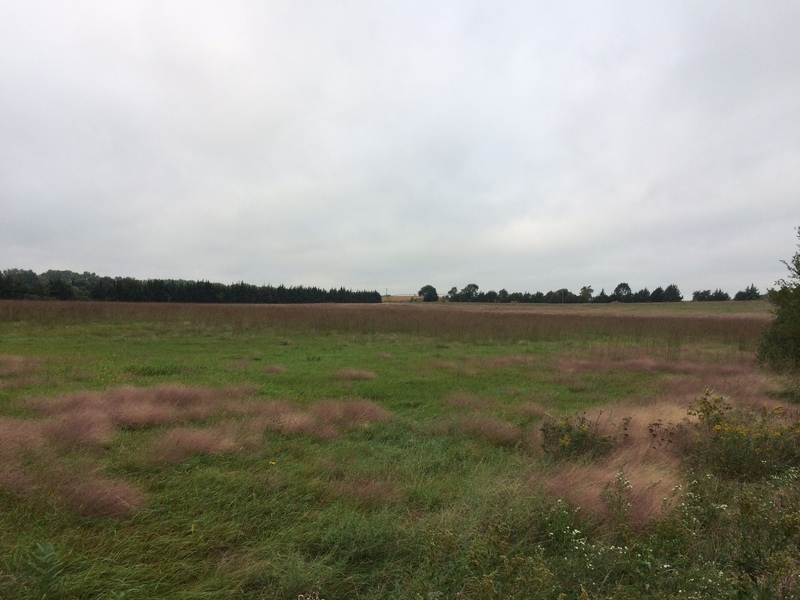 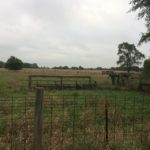 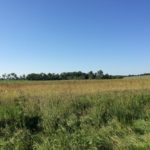 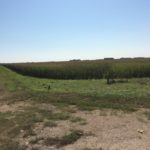 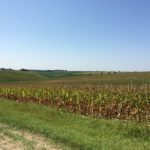 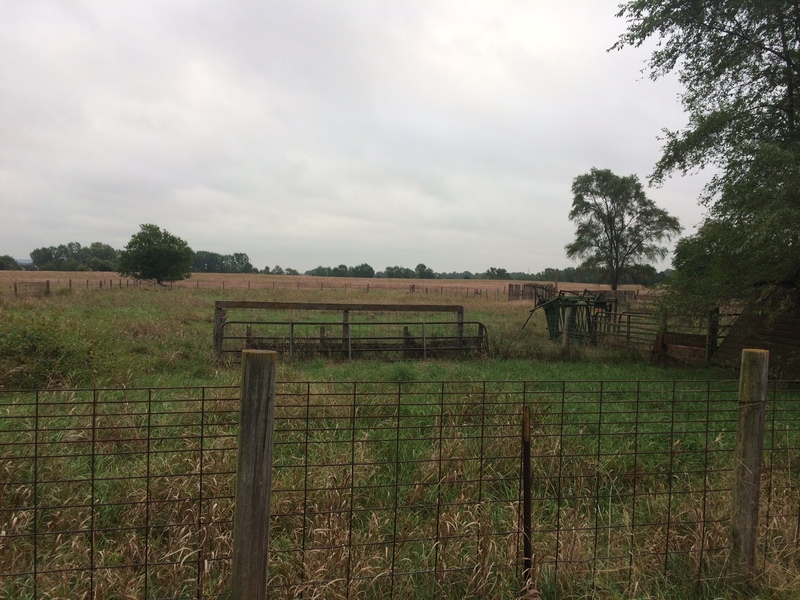 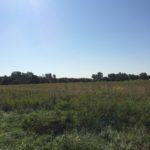 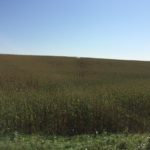 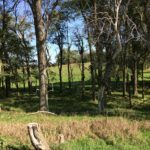 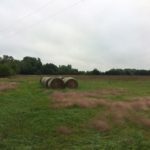 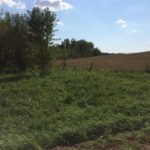 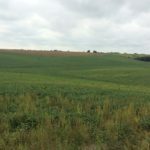 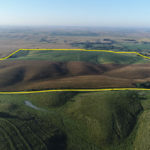 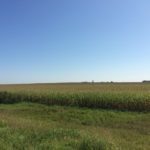 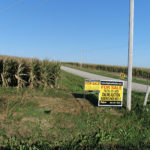 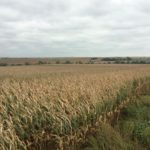 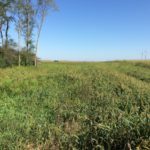 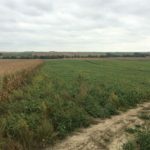 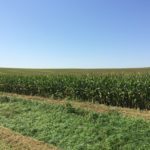 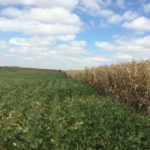 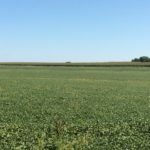 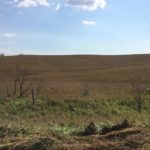 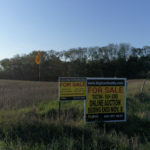 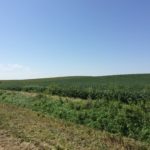 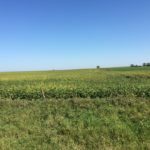 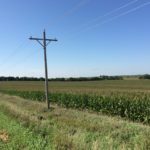 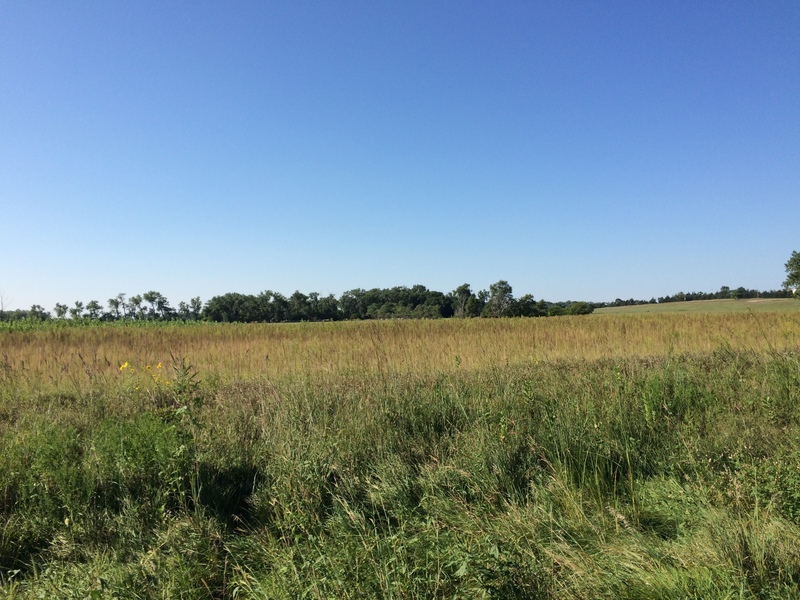 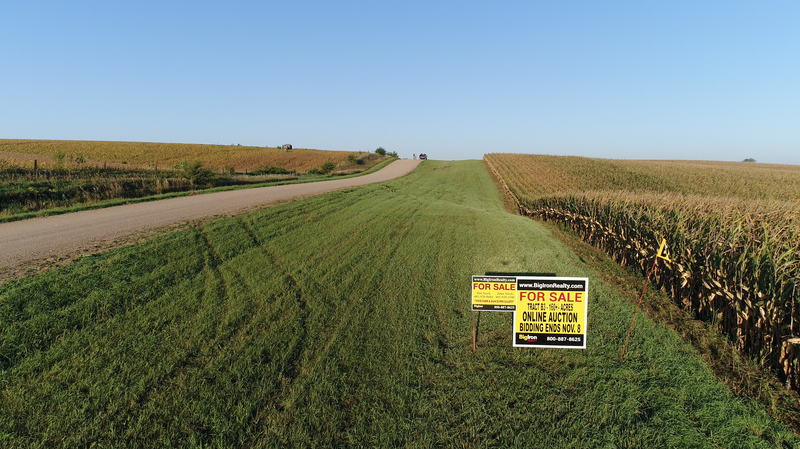 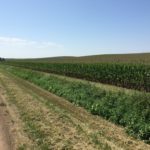 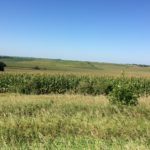 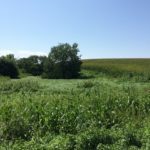 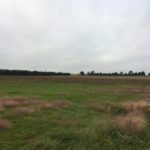 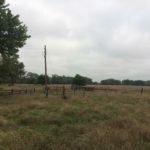 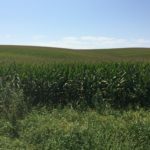 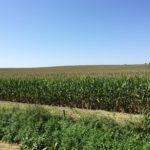 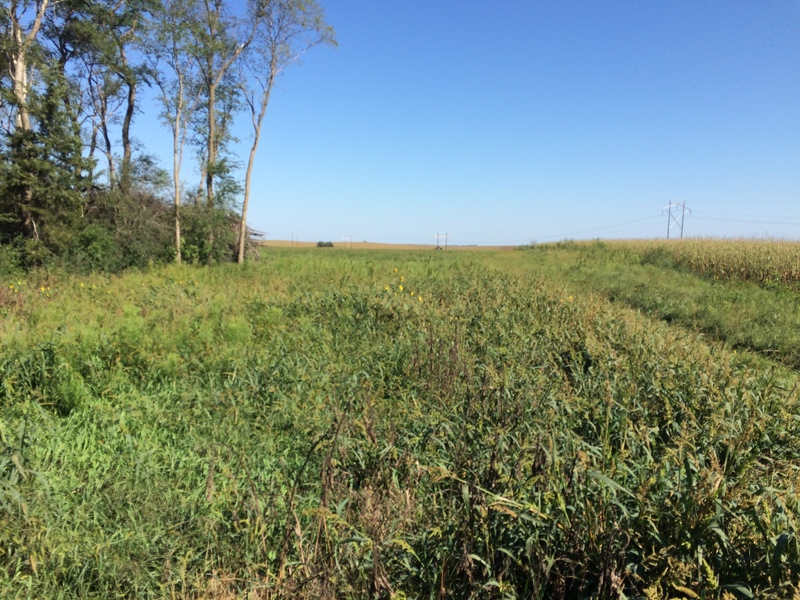 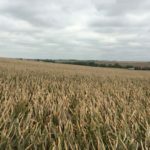 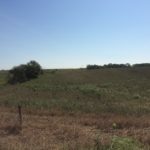 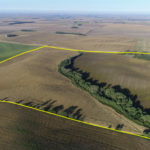 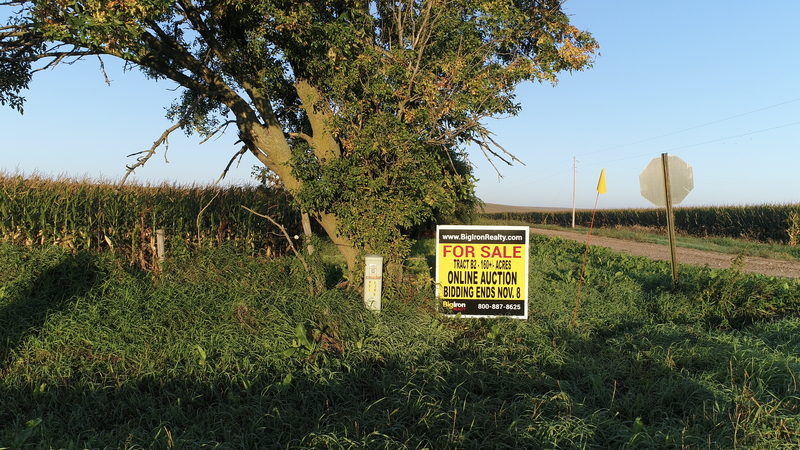 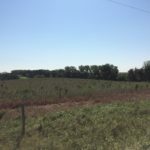 It has 15.1+/- acres enrolled in the CRP program, with the contract expiring 9-30-2026, and is paying $2,733 per year, the buyer will assume the CRP contract. 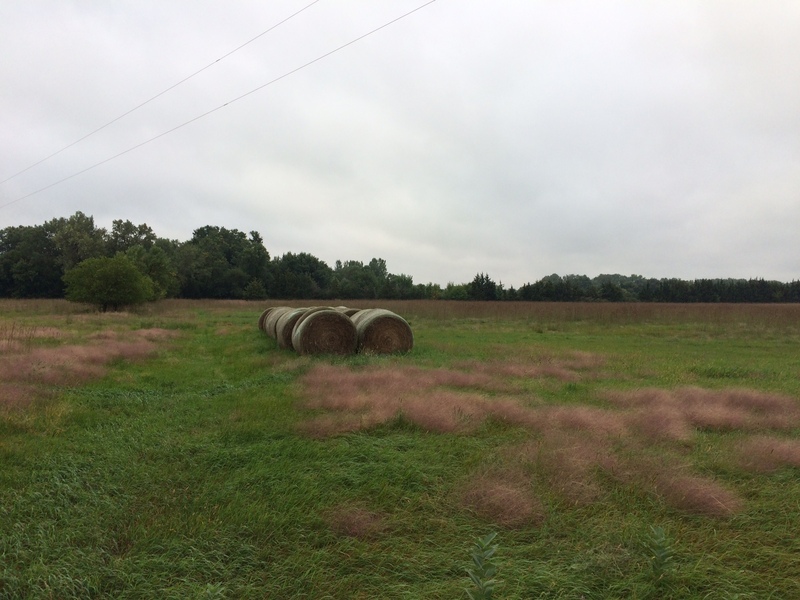 The rest of the property is primarily grass. 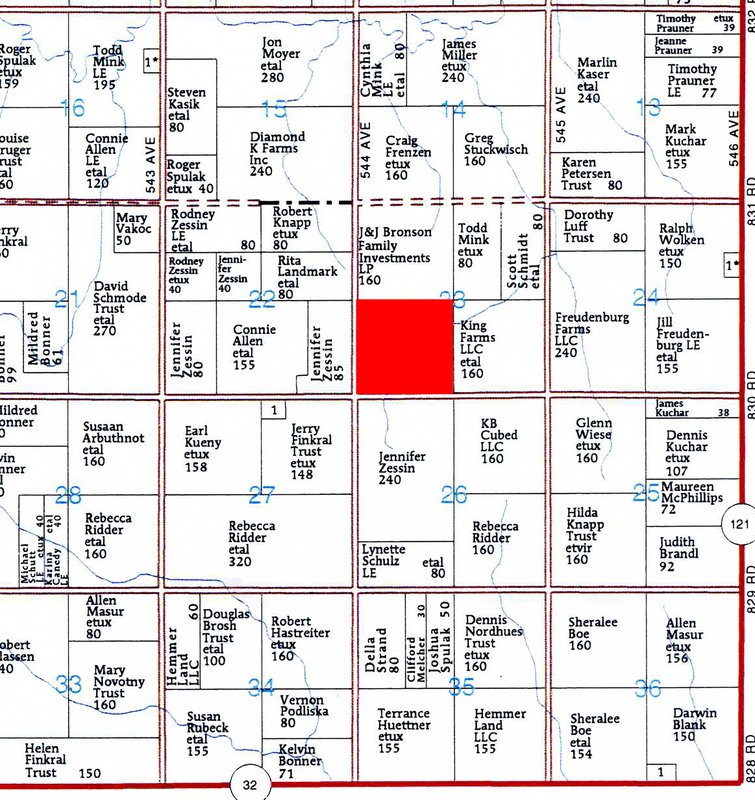 There is also a 1,284 sq. 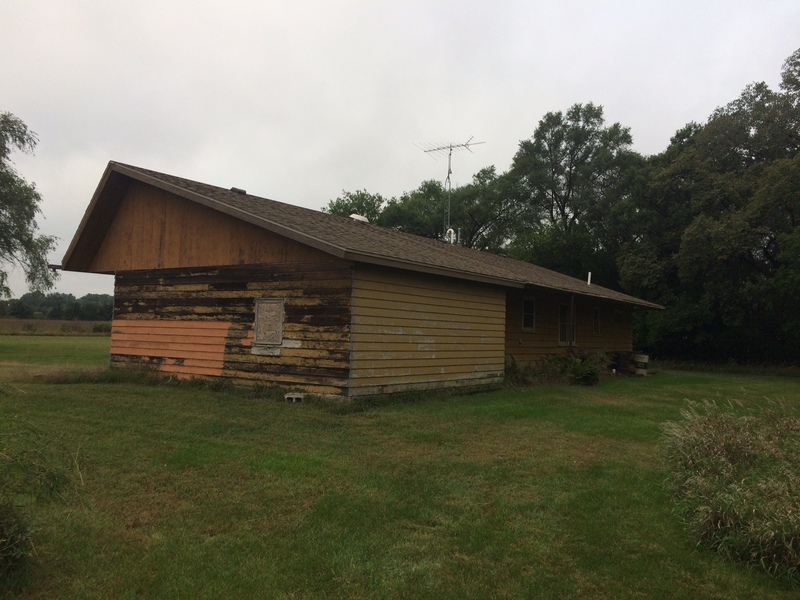 ft. home included but it has not been lived in for quite a few years. 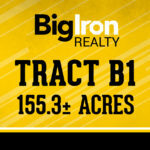 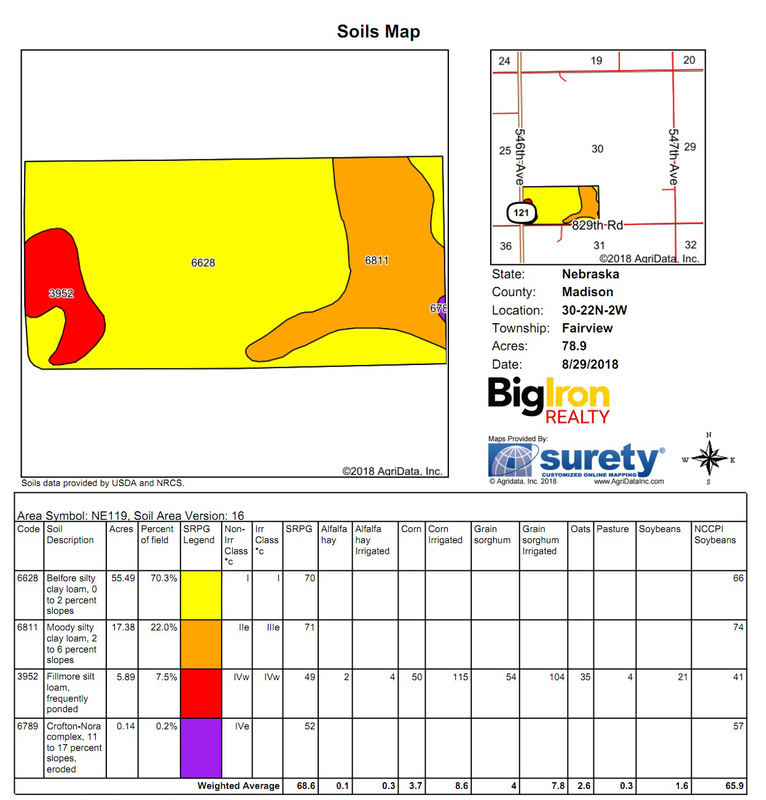 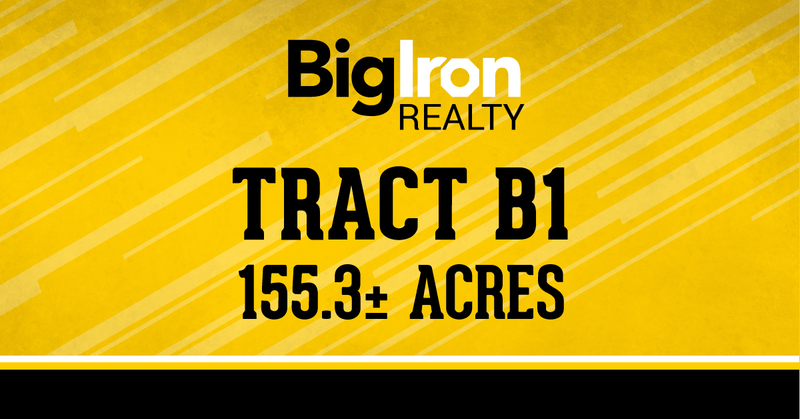 General Description: Here’s your opportunity to purchase a nice dryland quarter, just east of Albion right on Hwy 91. 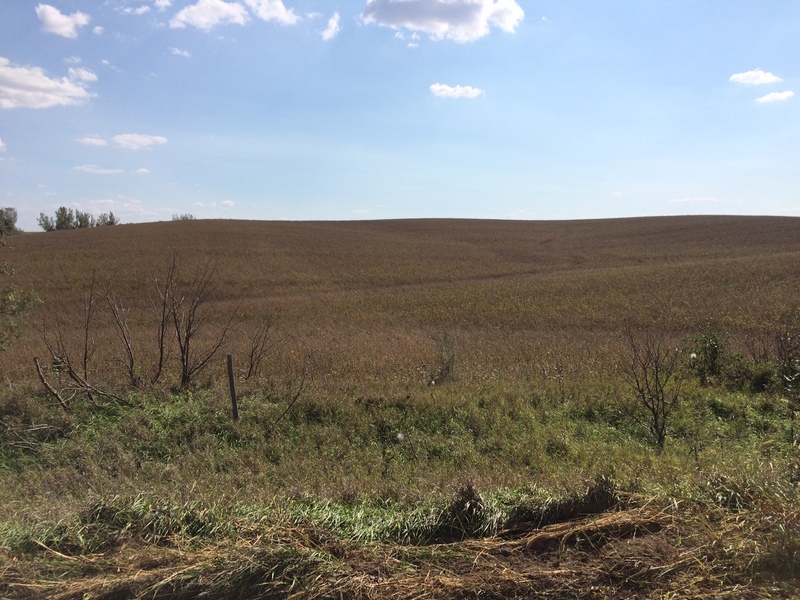 The farm lays flat to rolling, typical of the area. 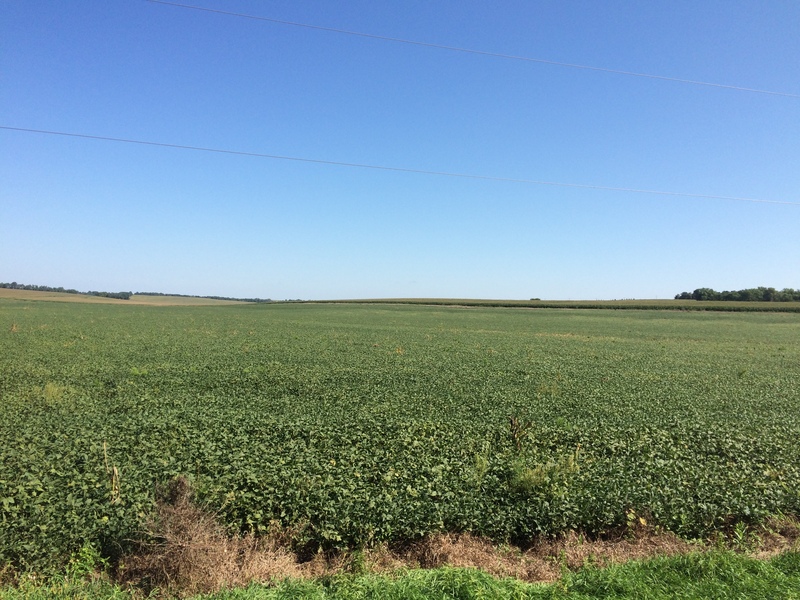 The FSA has 151.97+/- crop acres on this farm. 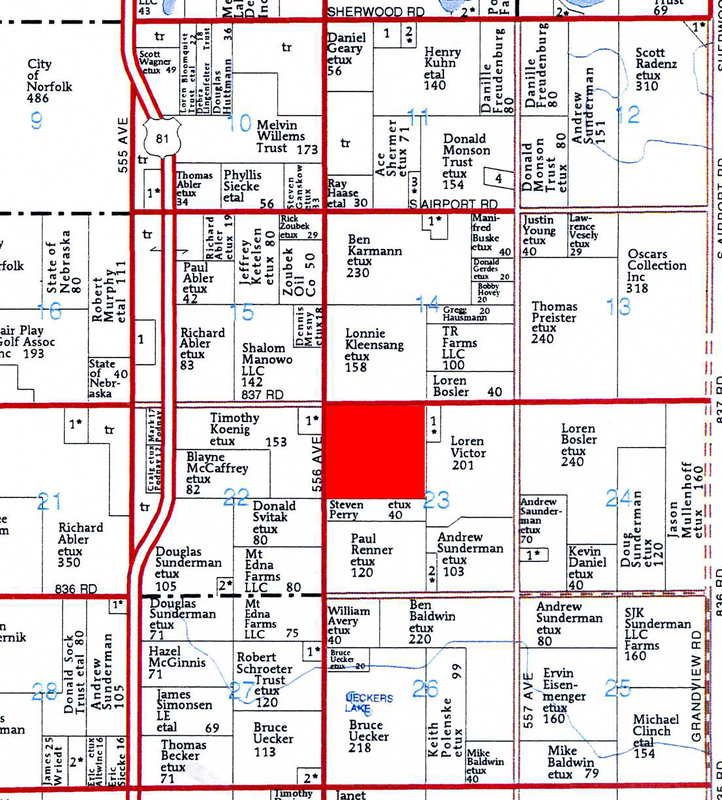 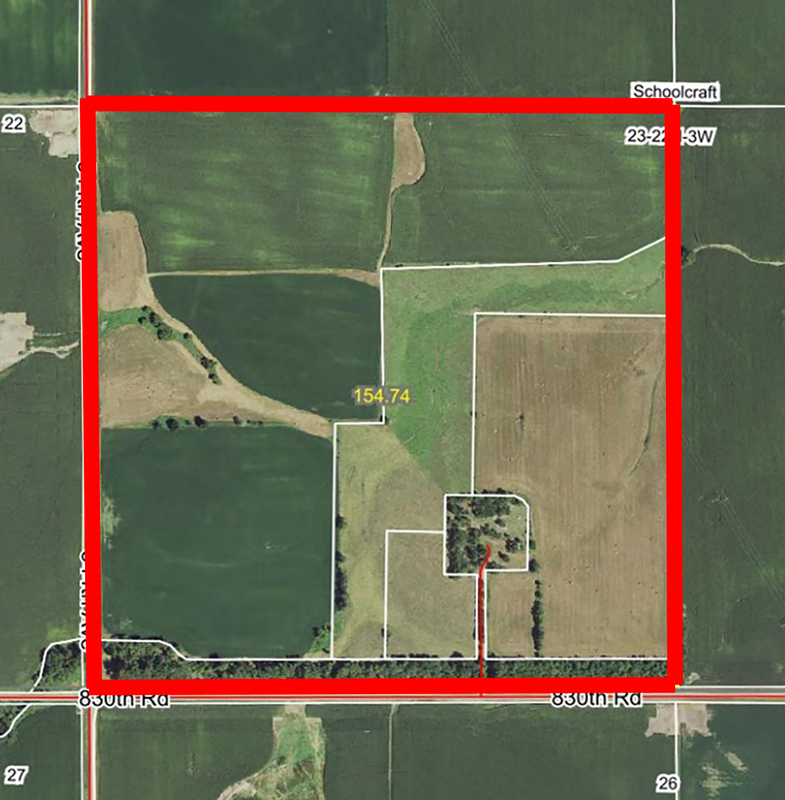 Land Location: From the Hwy 56 & Hwy 14 junction, go 2 miles south to 360 Street, then 1 mile west. 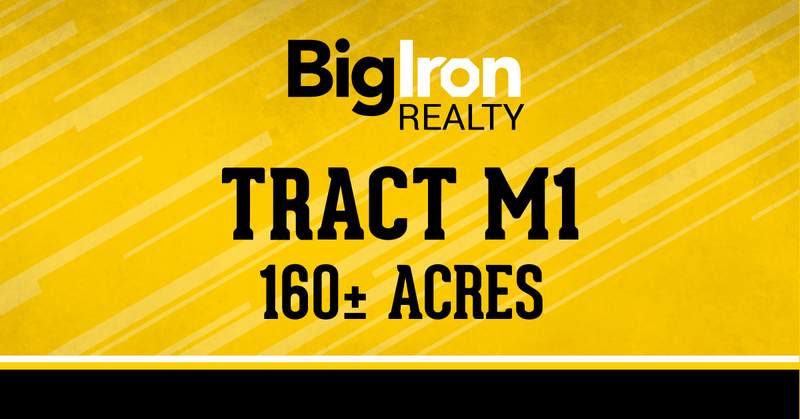 General Description: This tract is an irrigated quarter located on a good gravel road and only 1 mile west of Hwy 14. 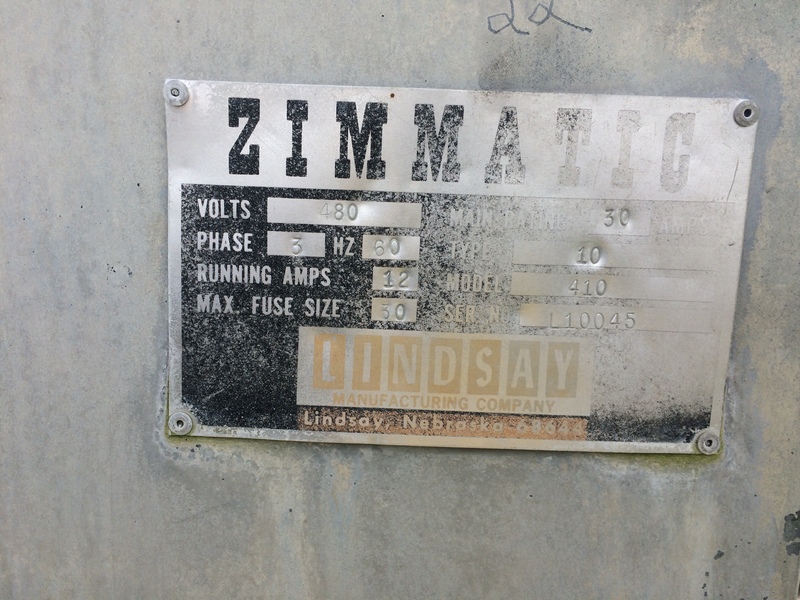 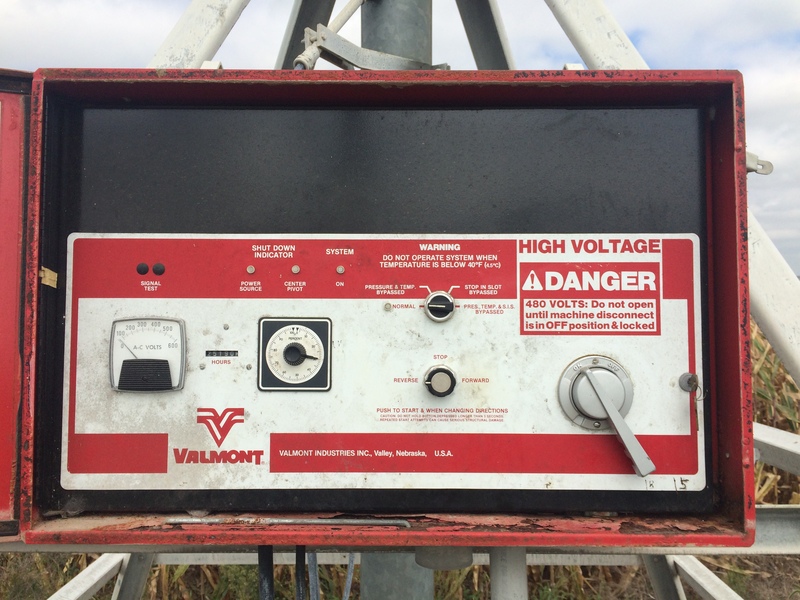 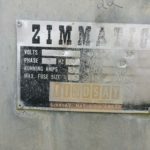 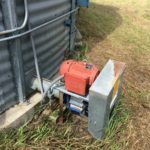 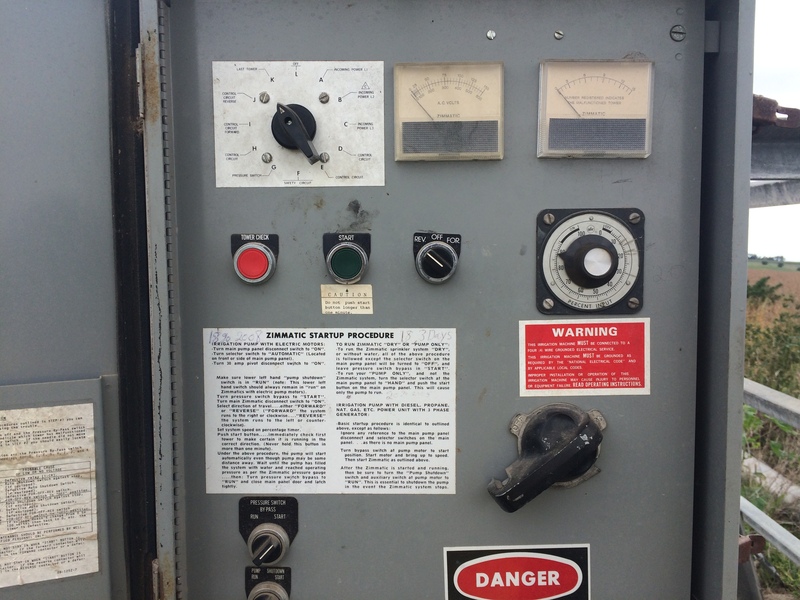 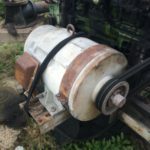 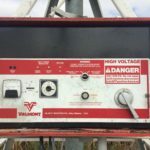 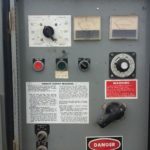 Included in the sale is a 10-tower Zimmatic pivot & generator. 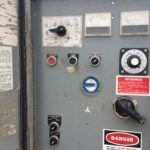 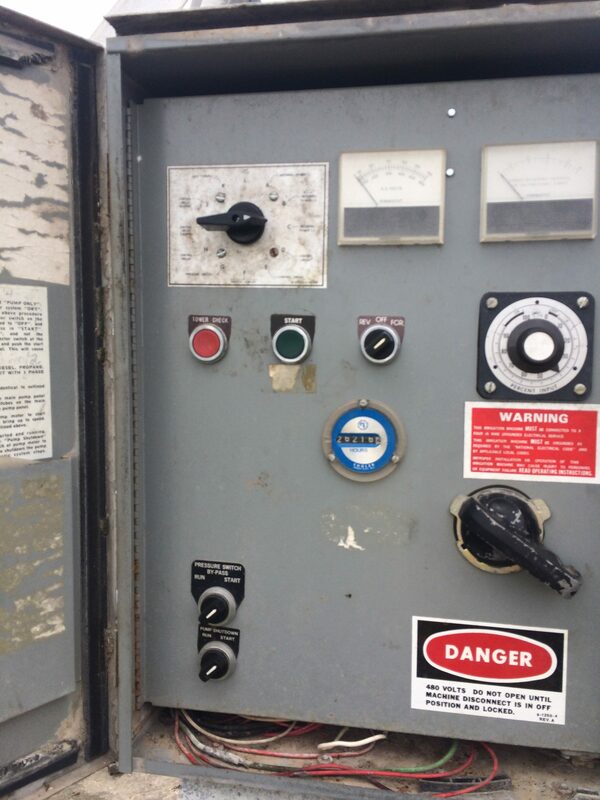 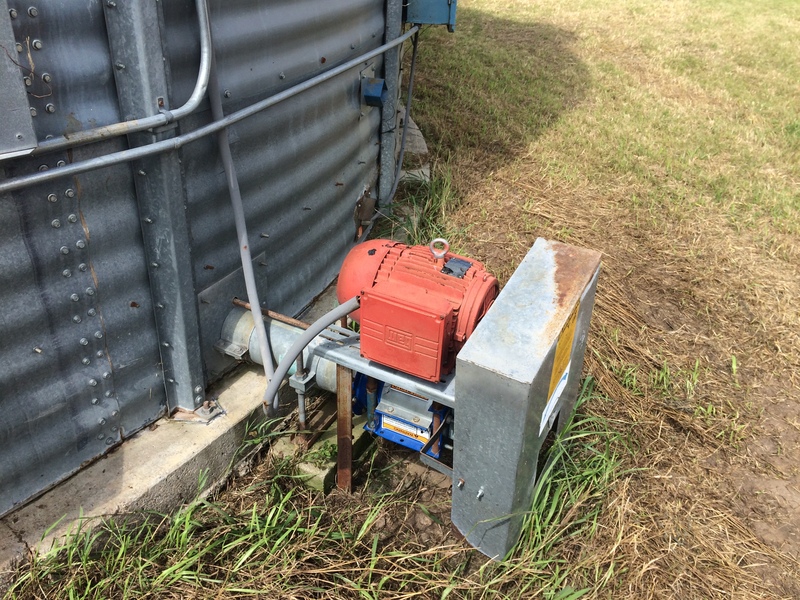 The power unit and fuel tank are owned by the tenant. 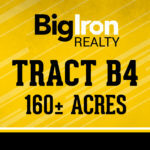 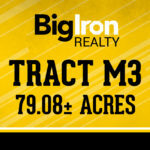 ** PLEASE NOTE: If the buyer of Tract B2 and B3 are different and a survey is required to find the half mile line, then the survey cost will be split between the two buyers. 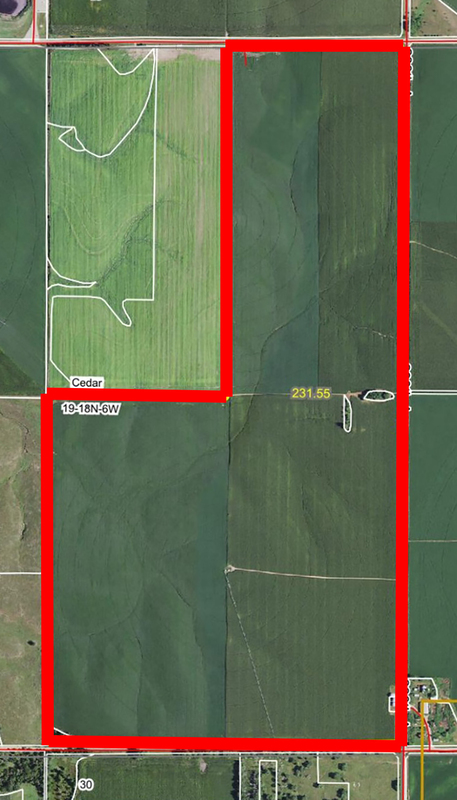 Also, if the buyers are different, then the FSA Base will be split proportionately between the respective tracts. 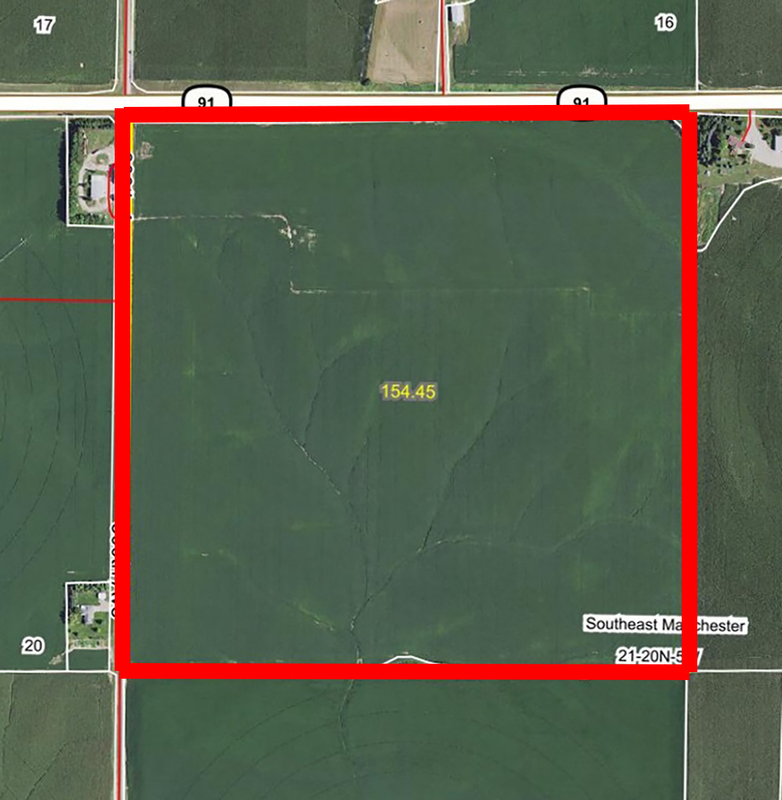 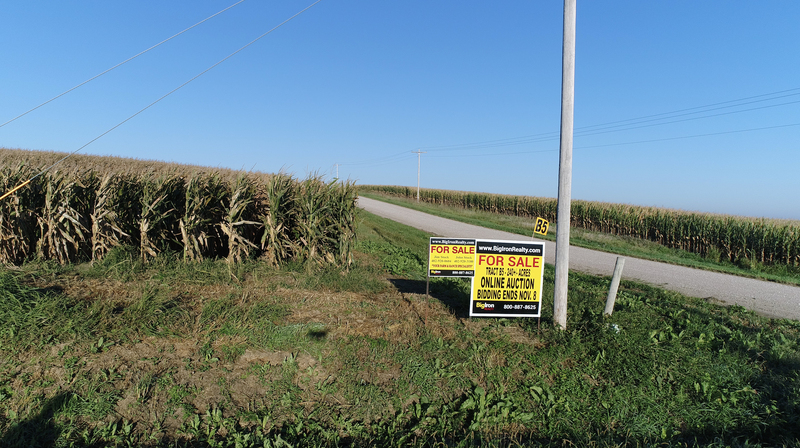 Land Location: From the Hwy 56 & Hwy 14 Junction, go 3 miles south to 370th Street, then 1 mile west. 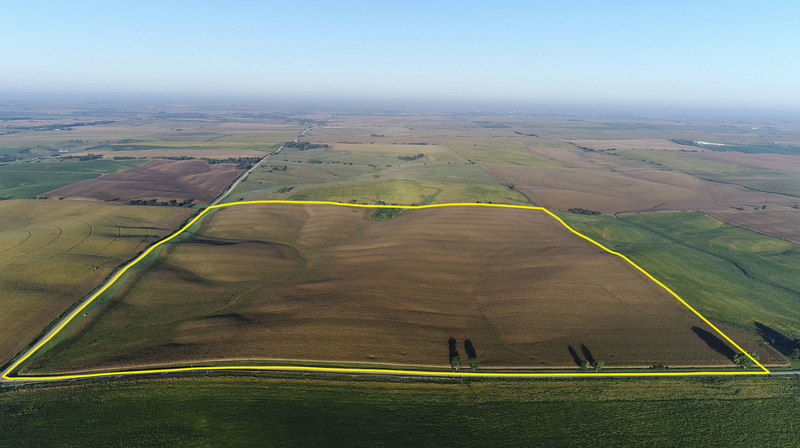 General Description: This dryland quarter lays gently rolling to rolling and is also just 1 mile off Hwy 14. 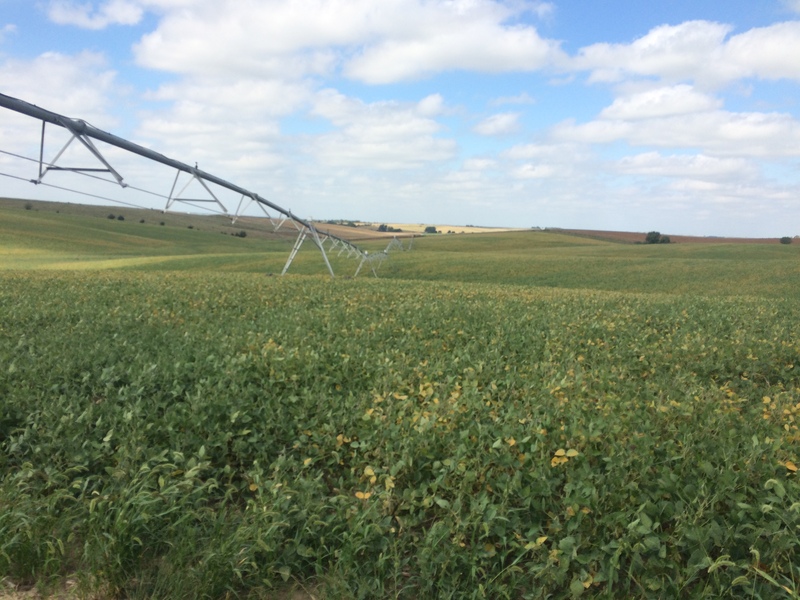 According to the FSA, there are 150.21 farmable acres. 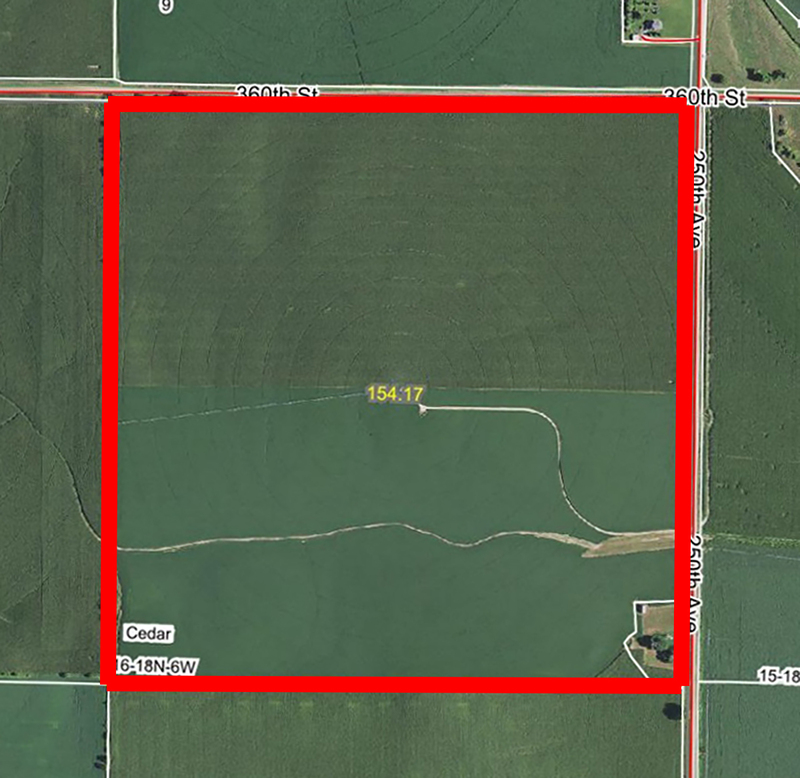 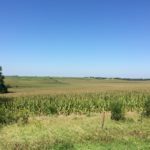 Land Location: From the Hwy 56 & Hwy 14 Junction go 3 miles south to 370th Street, then 1 ½ miles west. 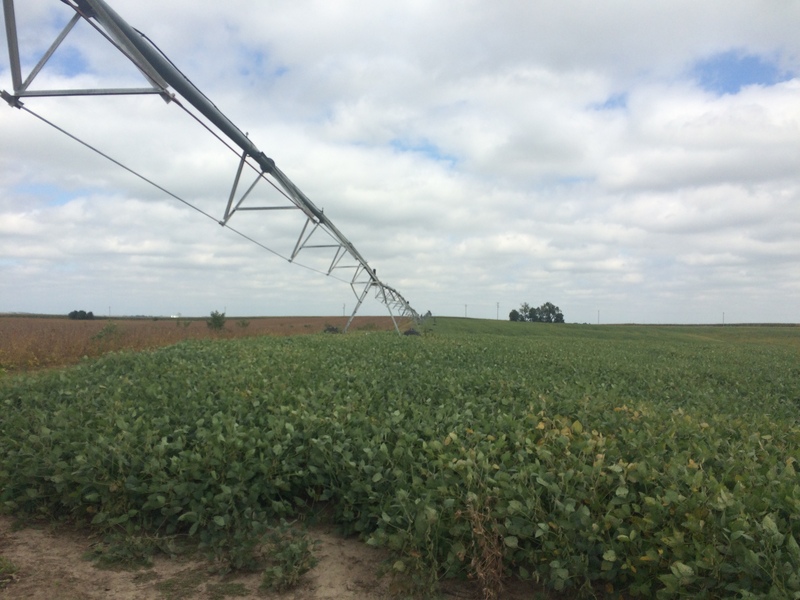 General Description: This pivot irrigated quarter also lays flat to rolling which is typical of the area. 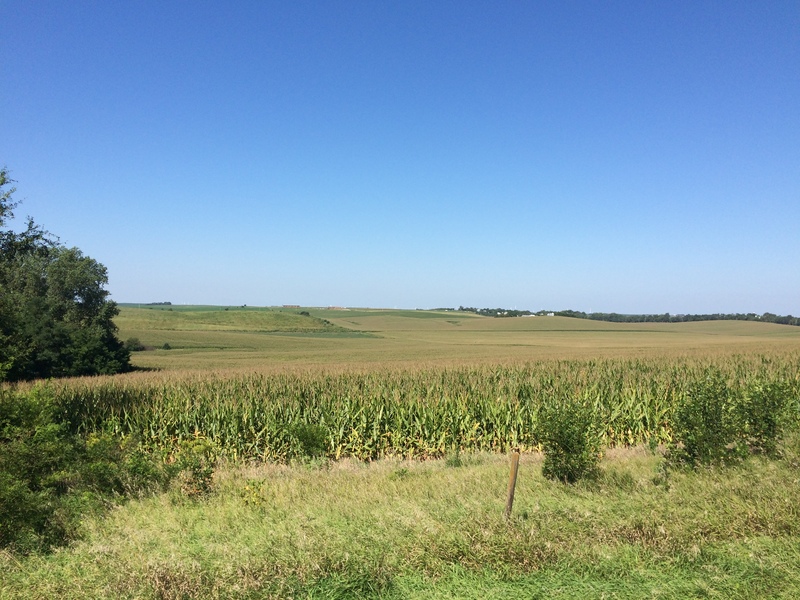 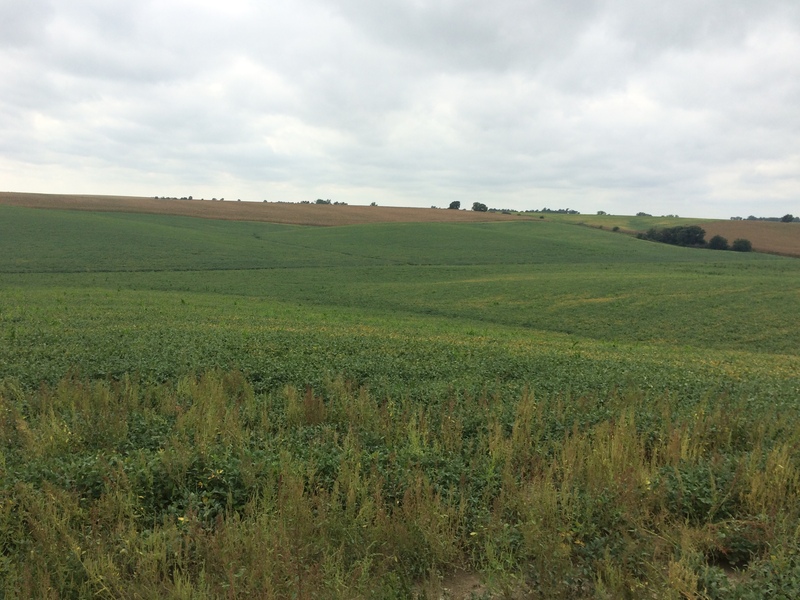 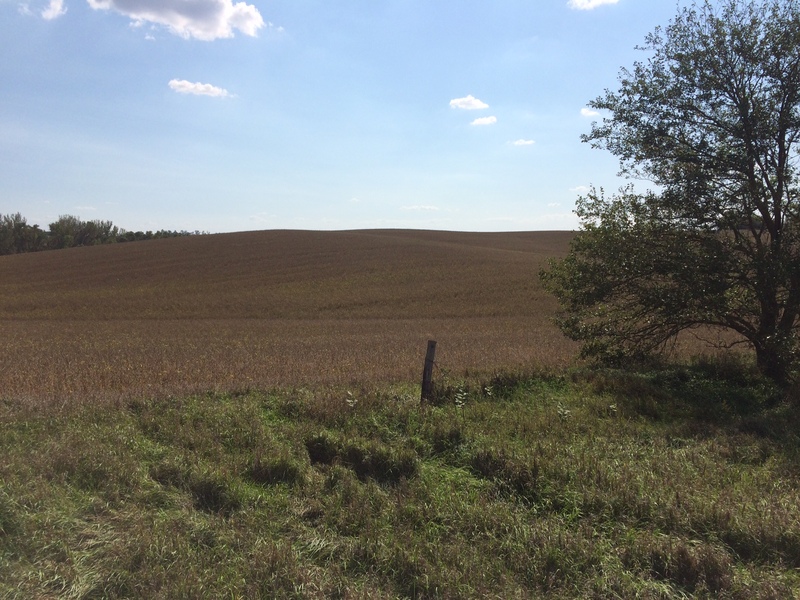 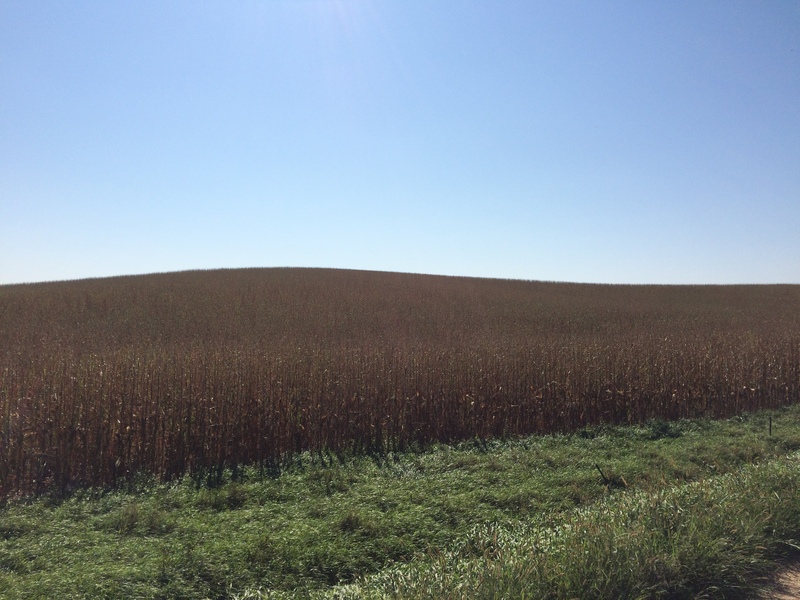 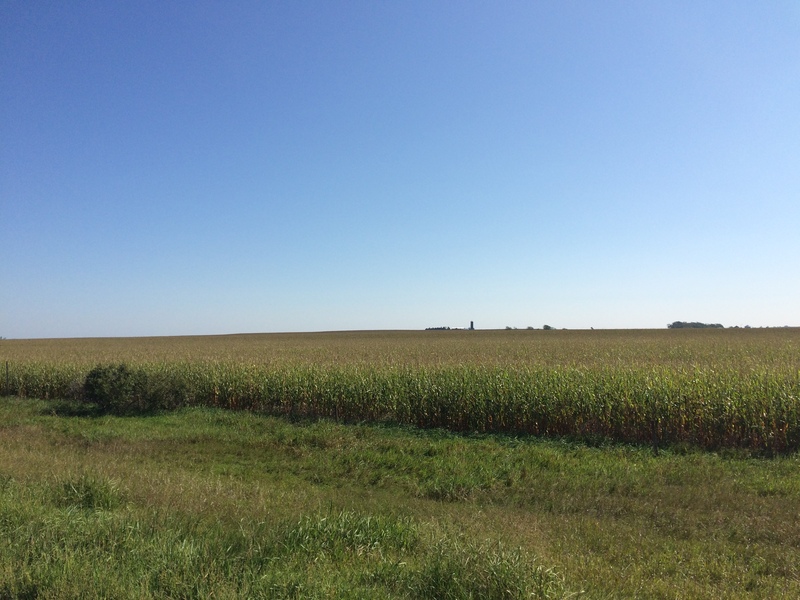 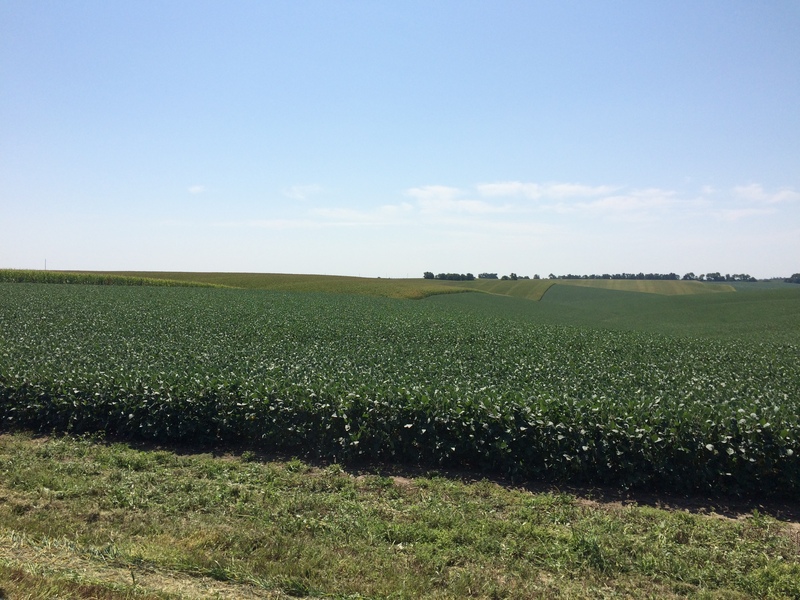 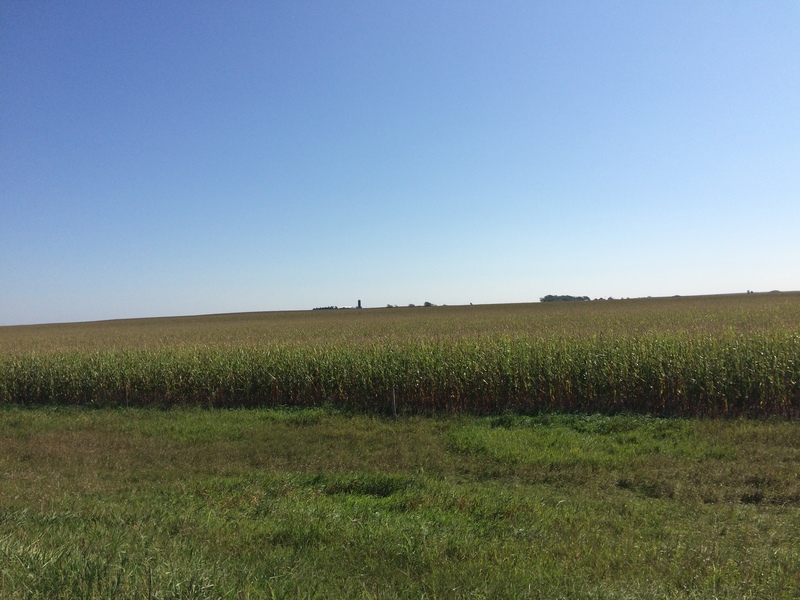 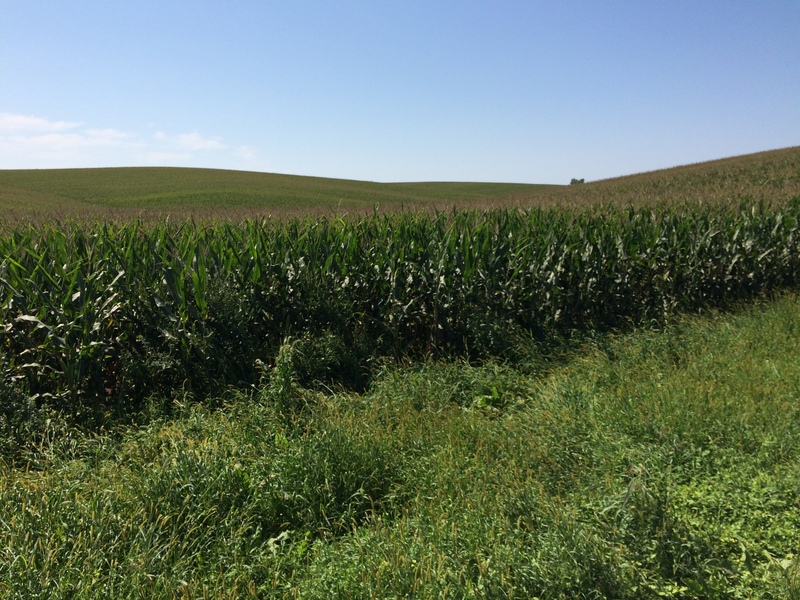 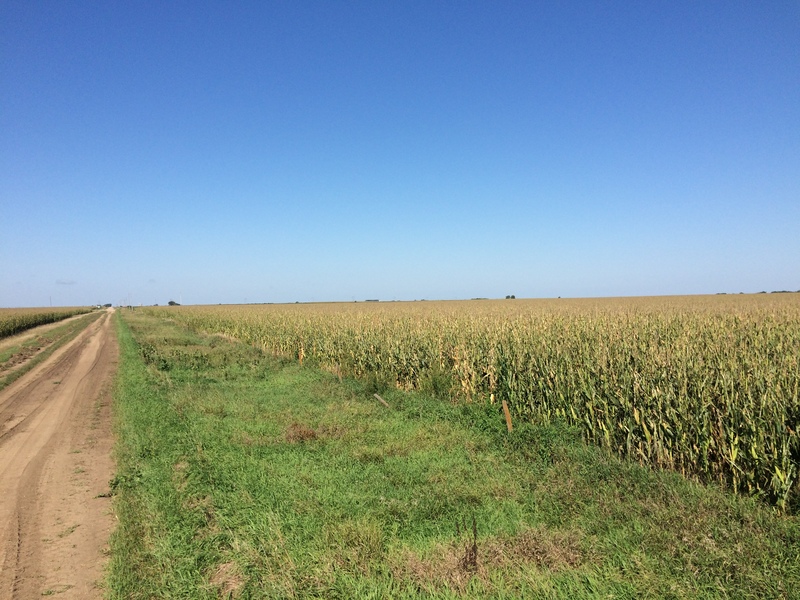 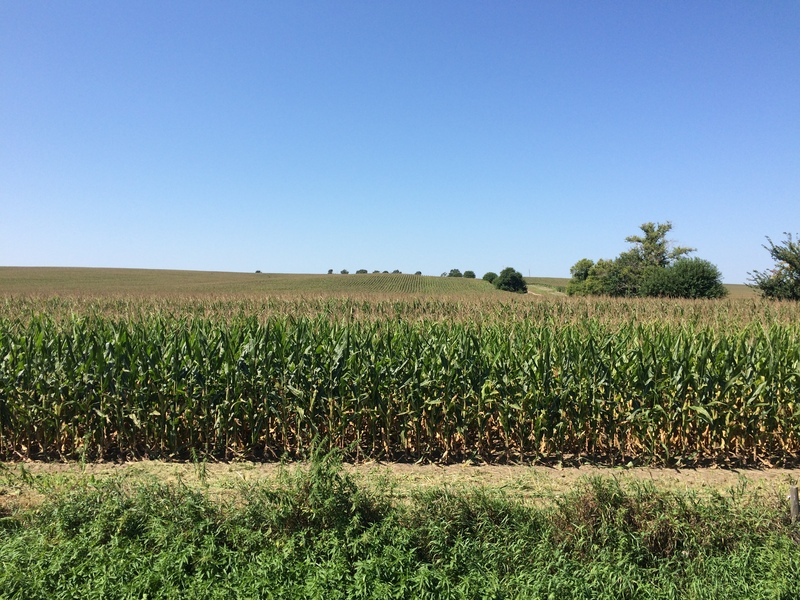 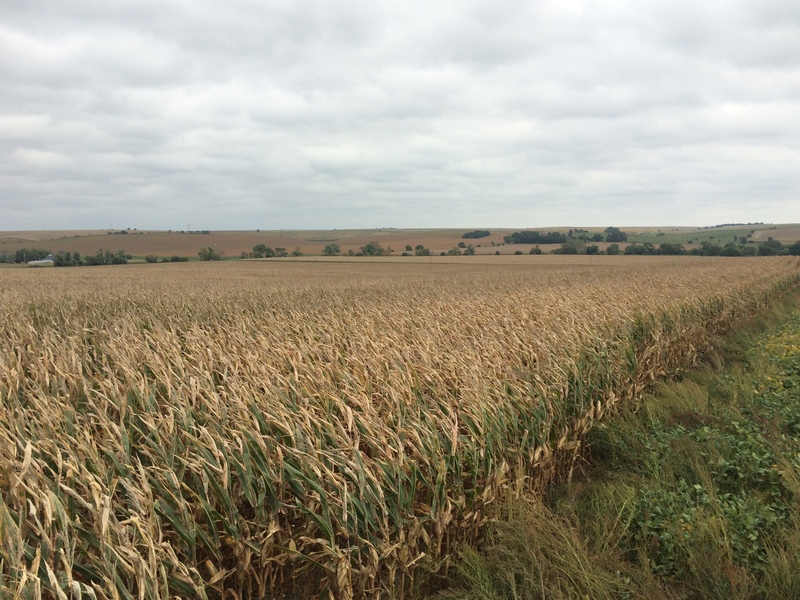 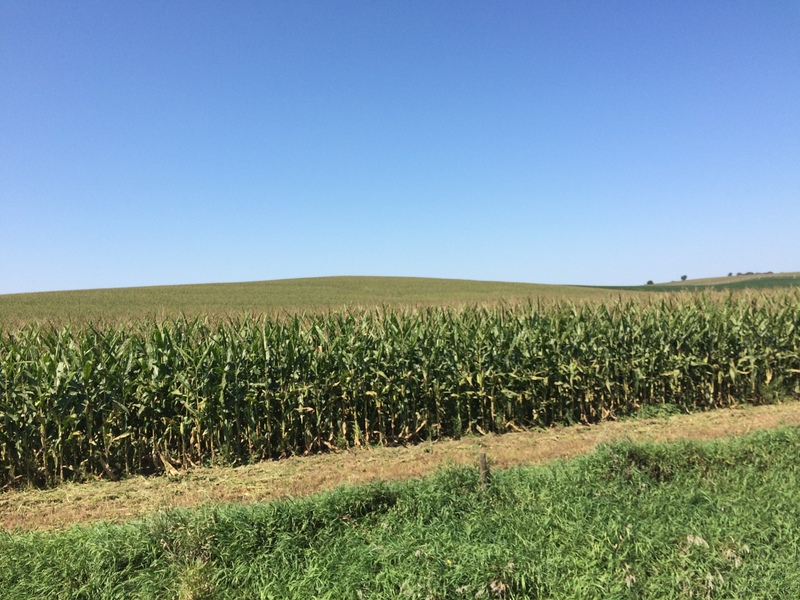 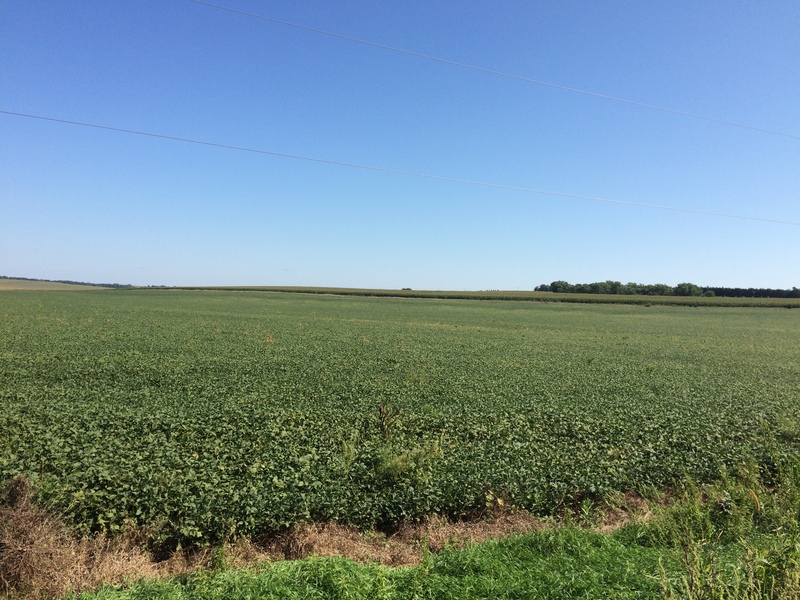 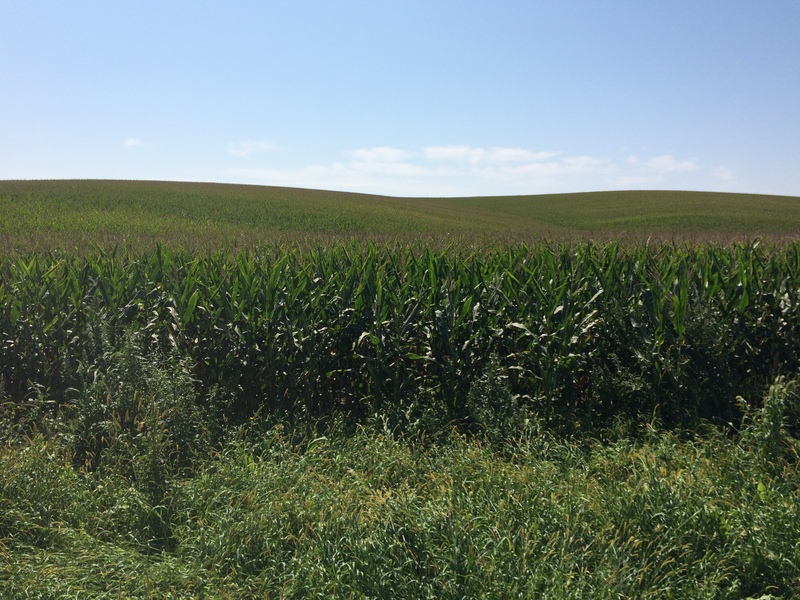 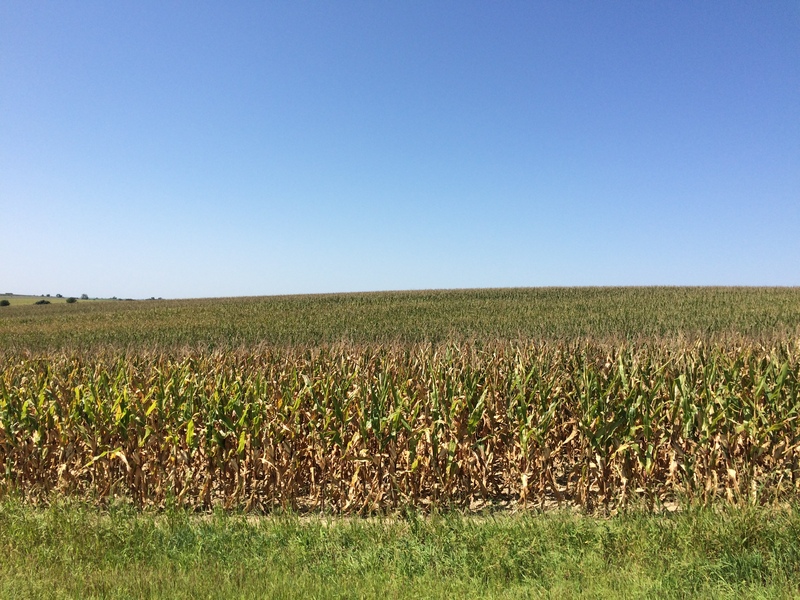 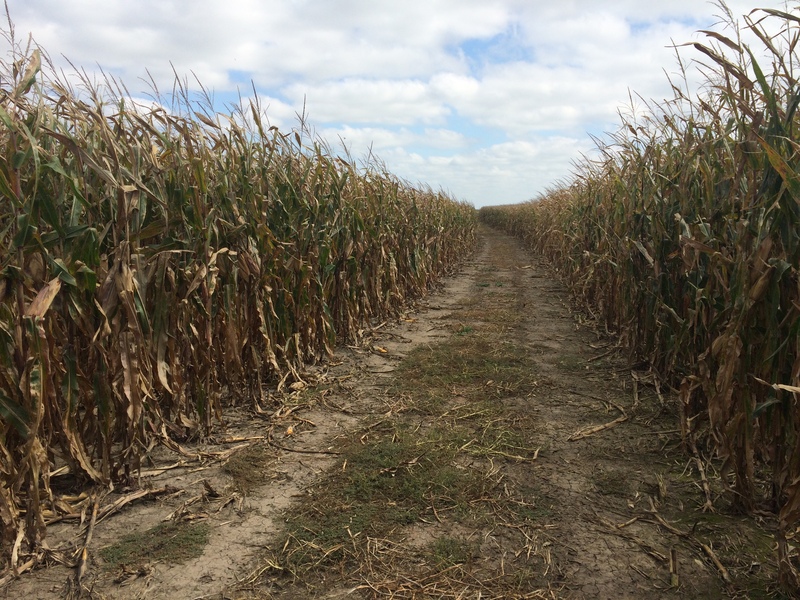 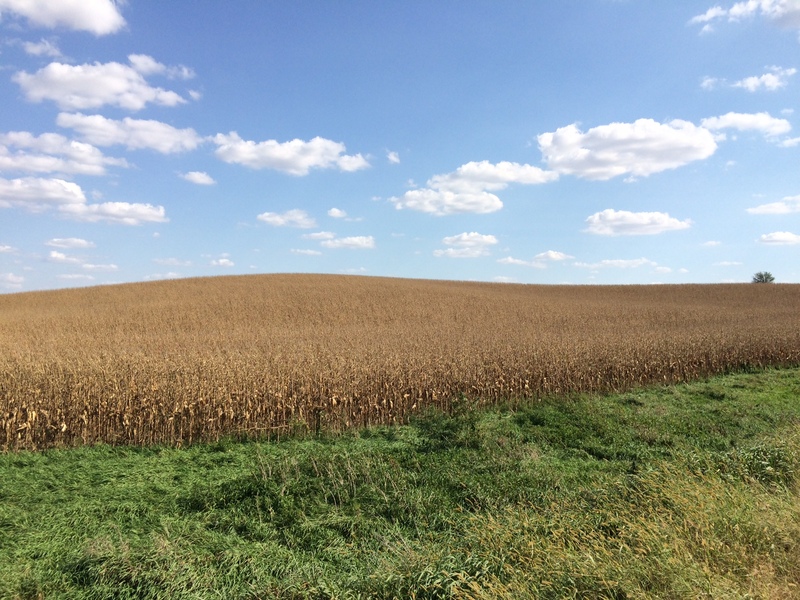 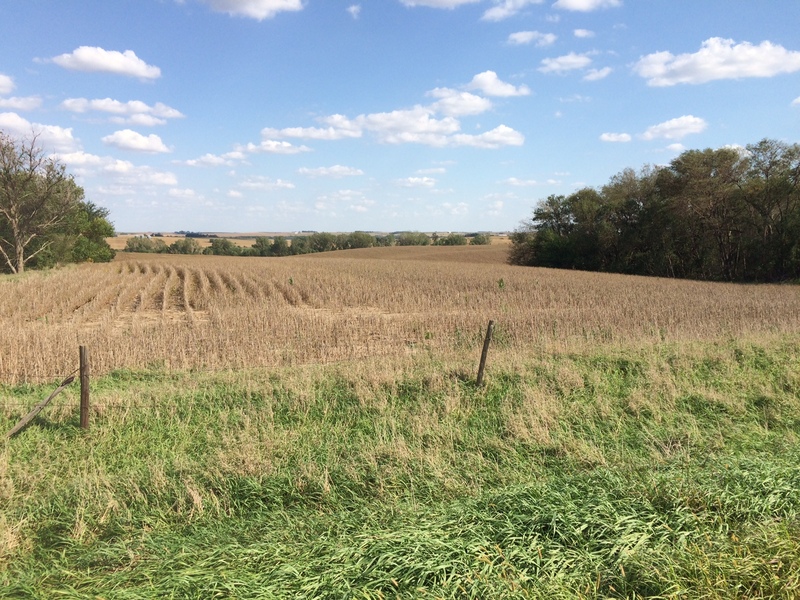 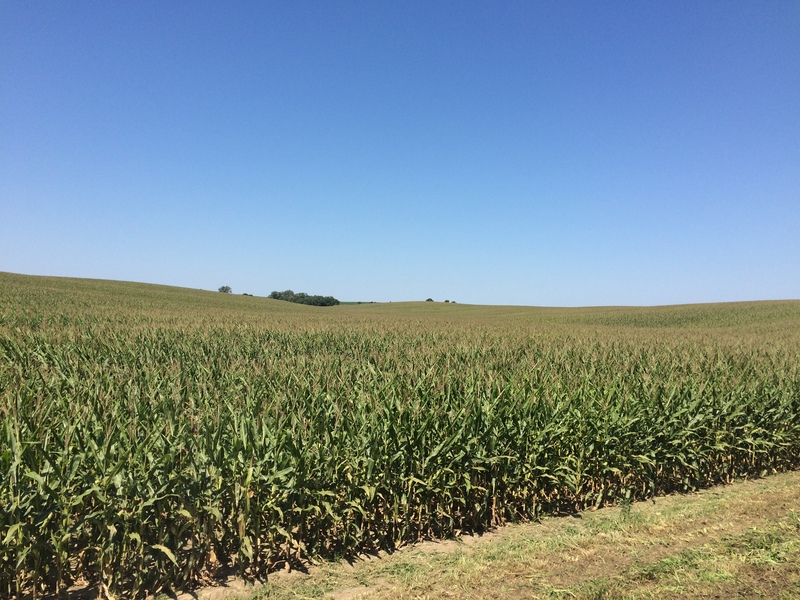 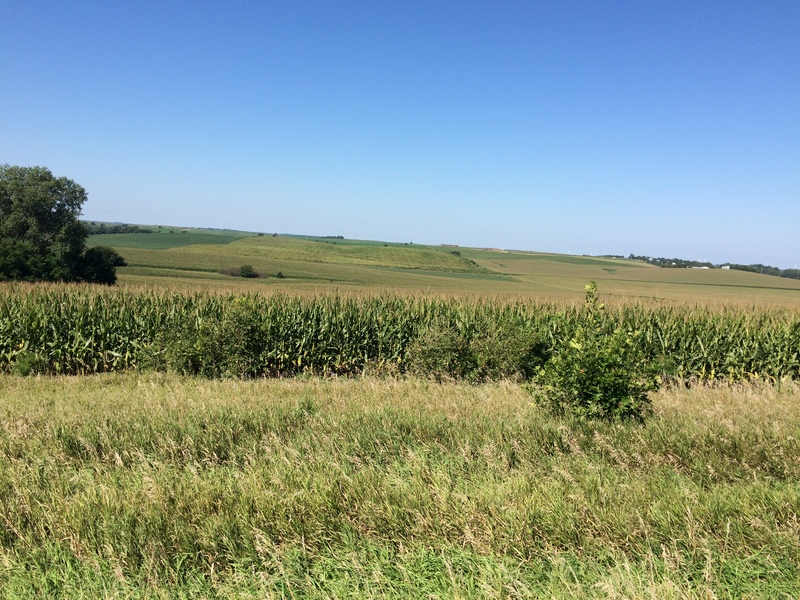 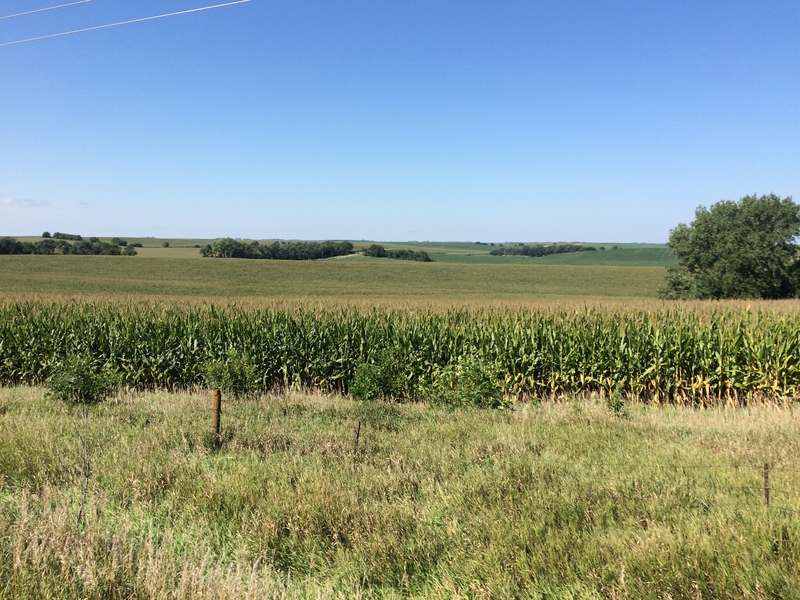 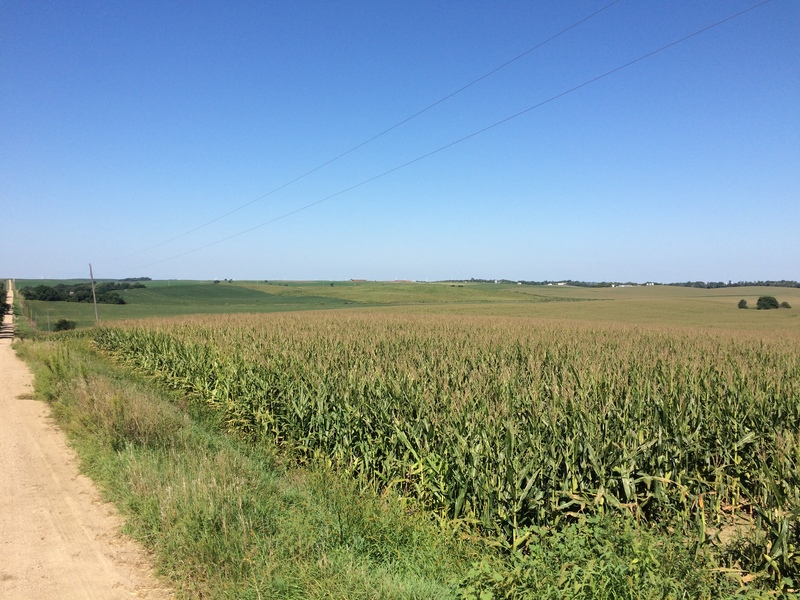 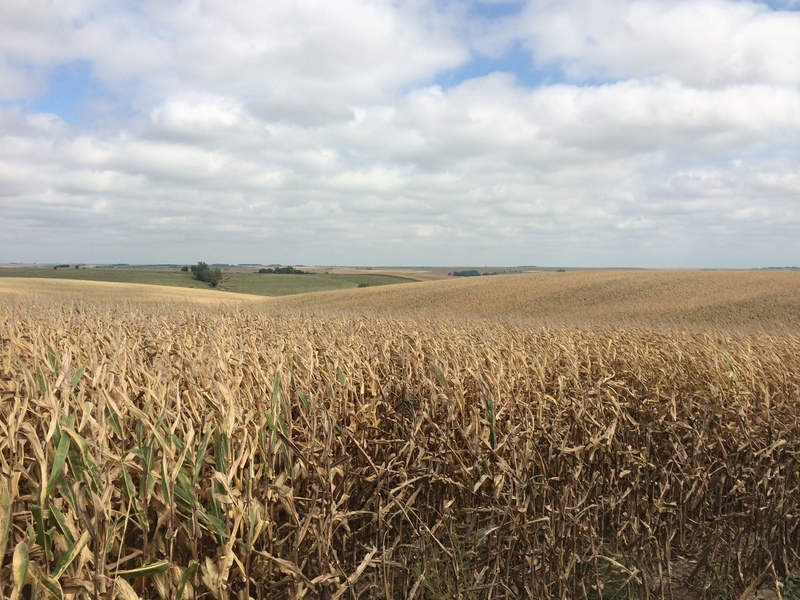 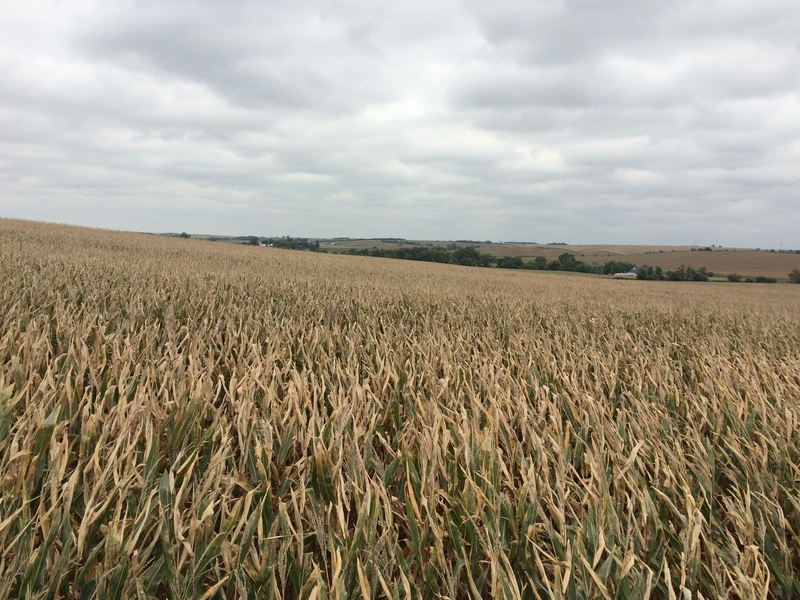 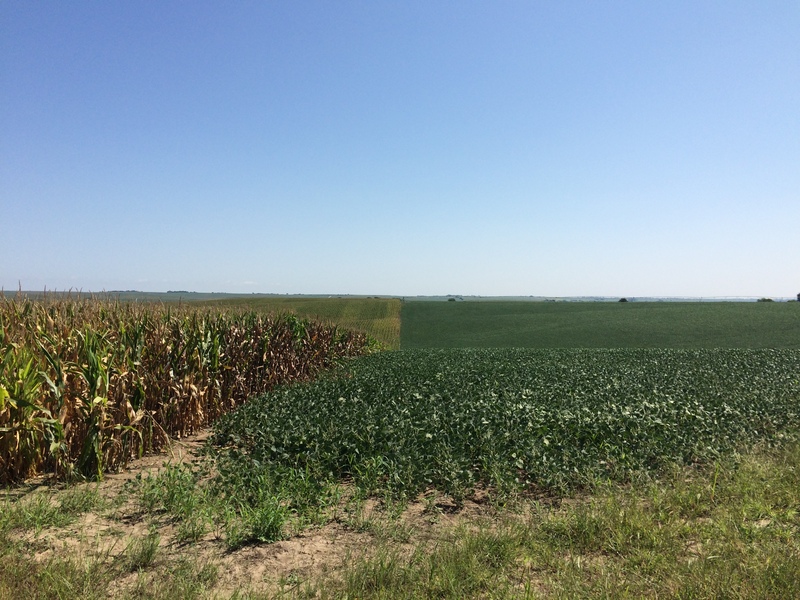 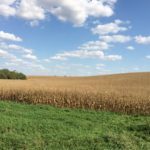 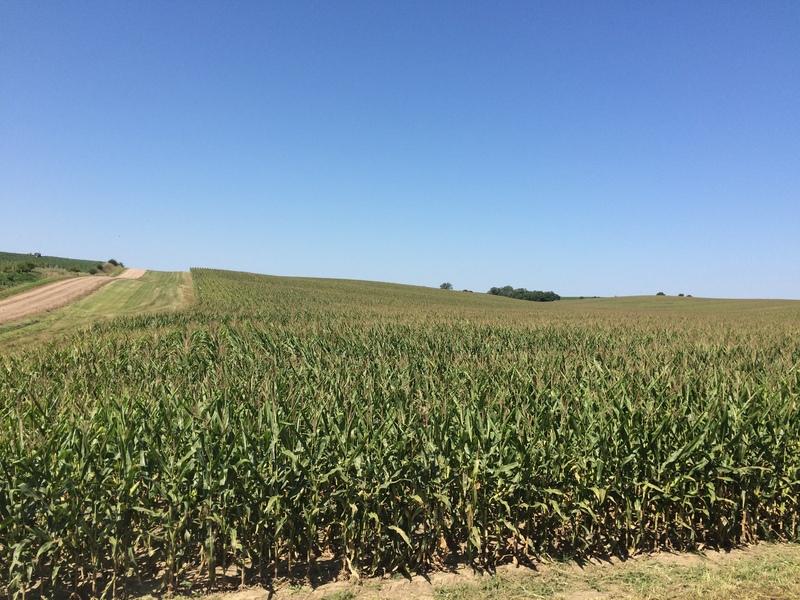 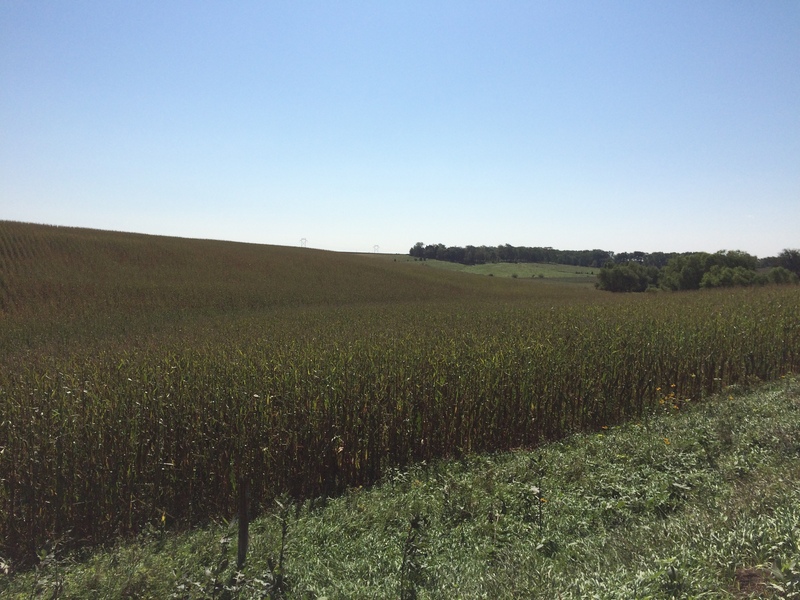 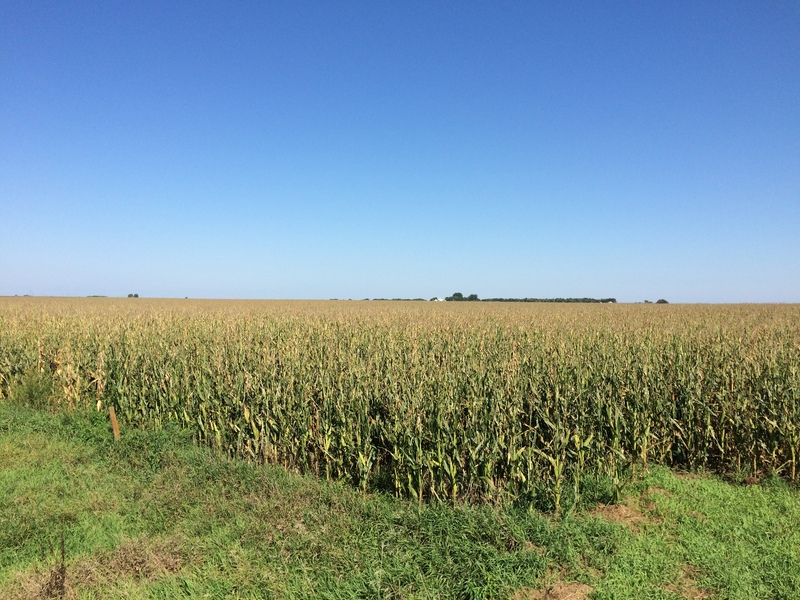 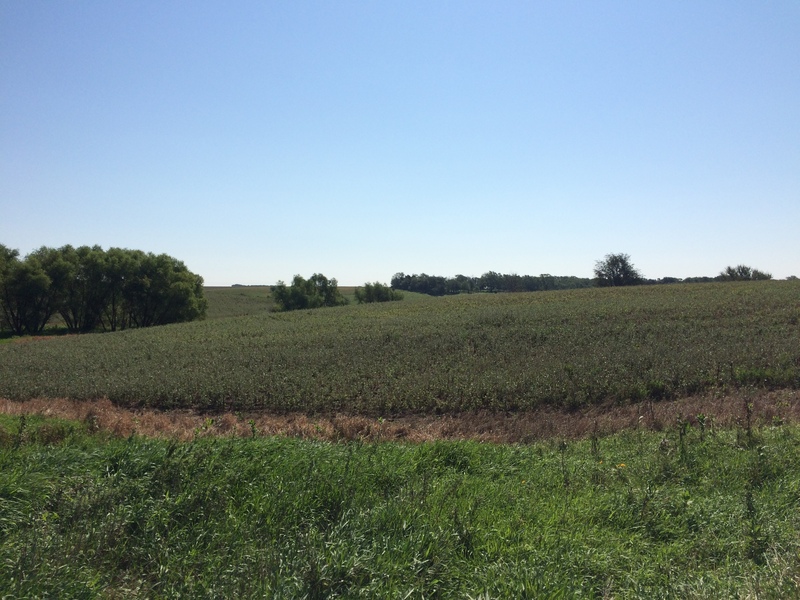 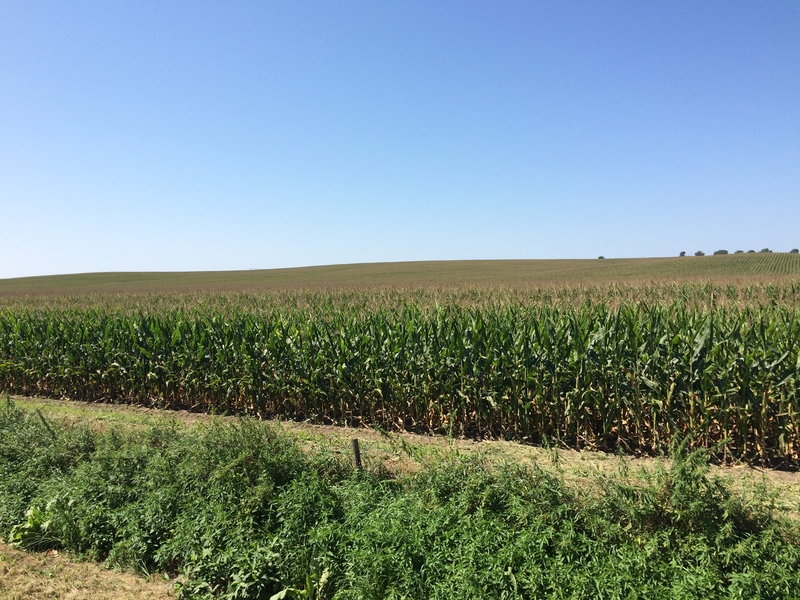 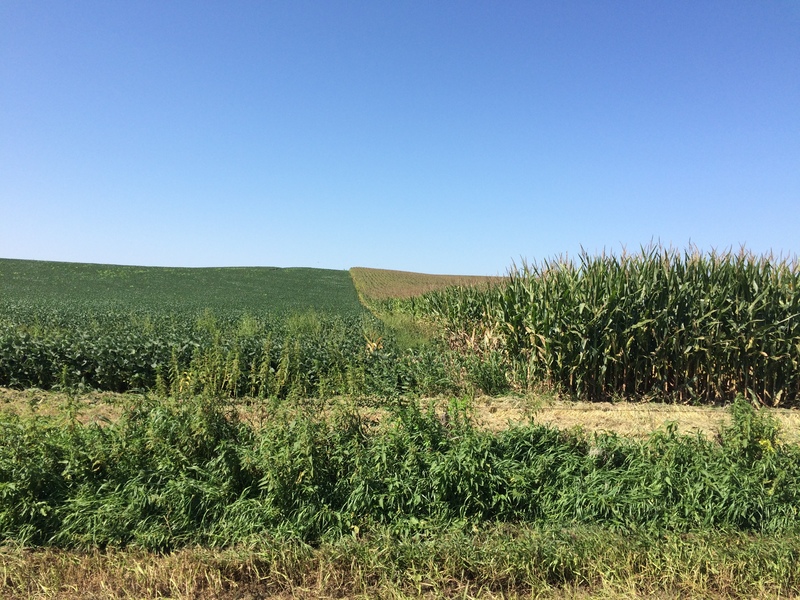 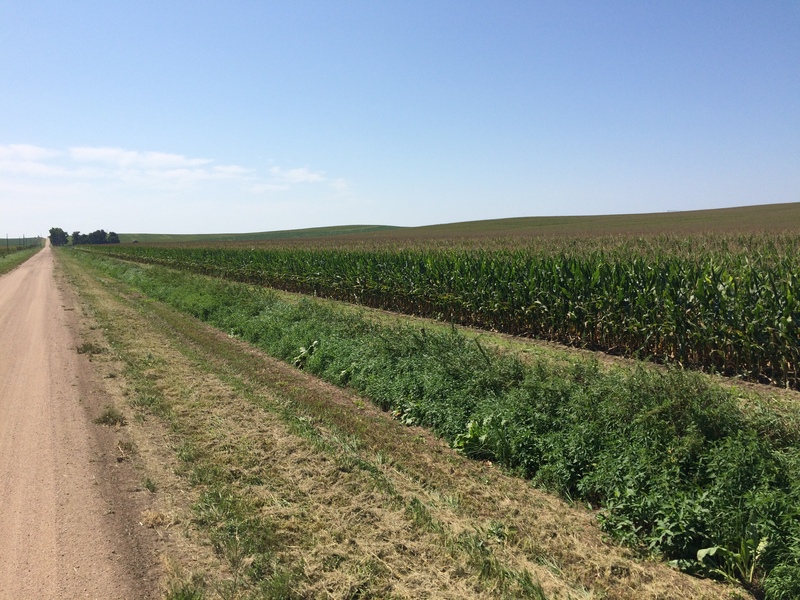 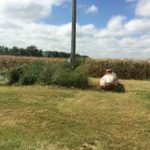 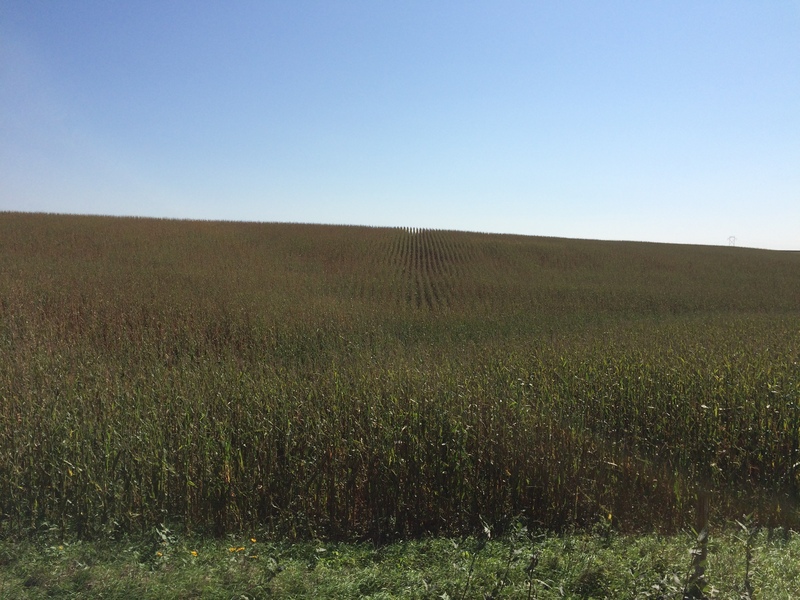 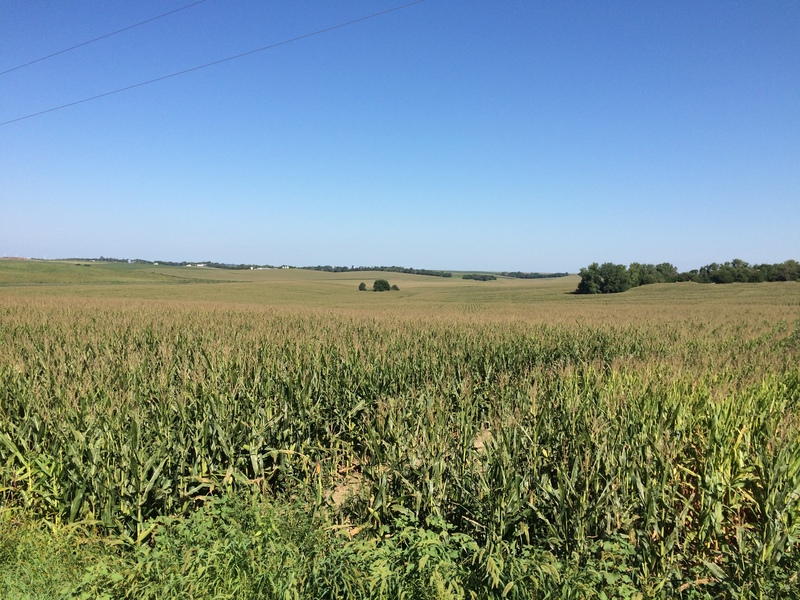 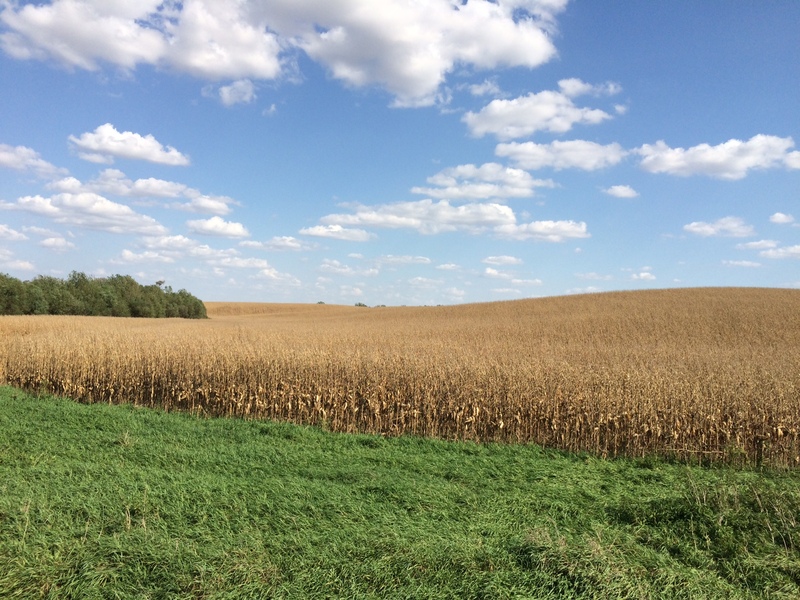 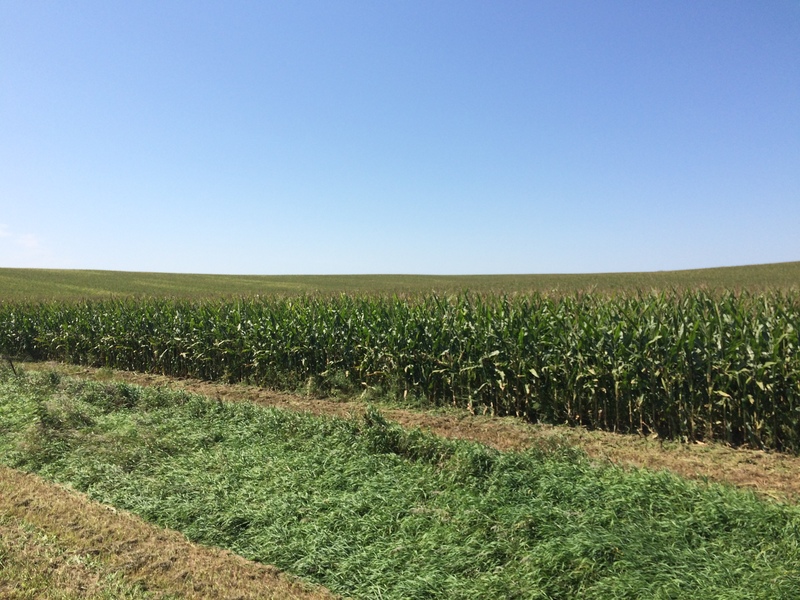 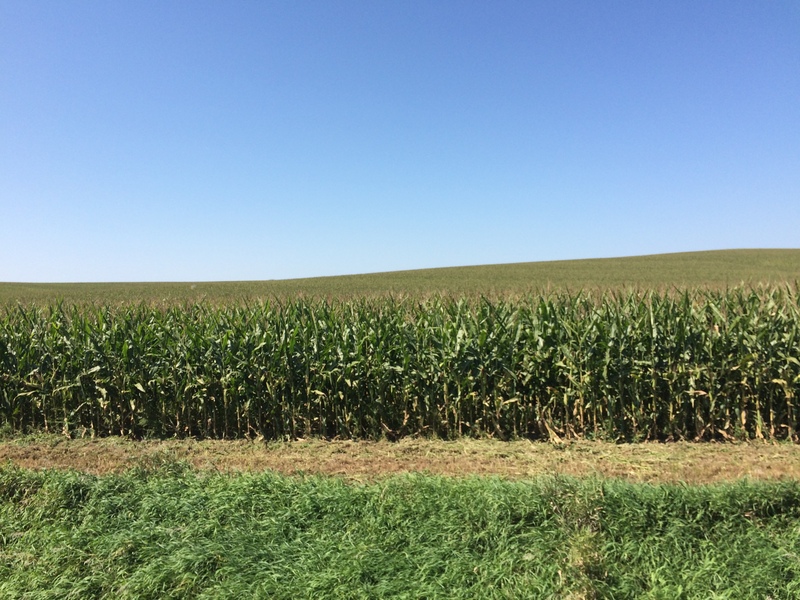 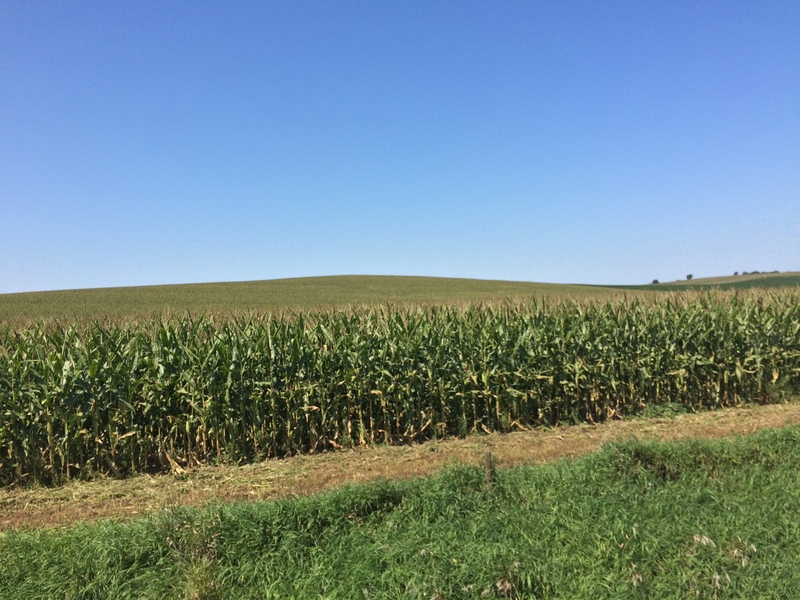 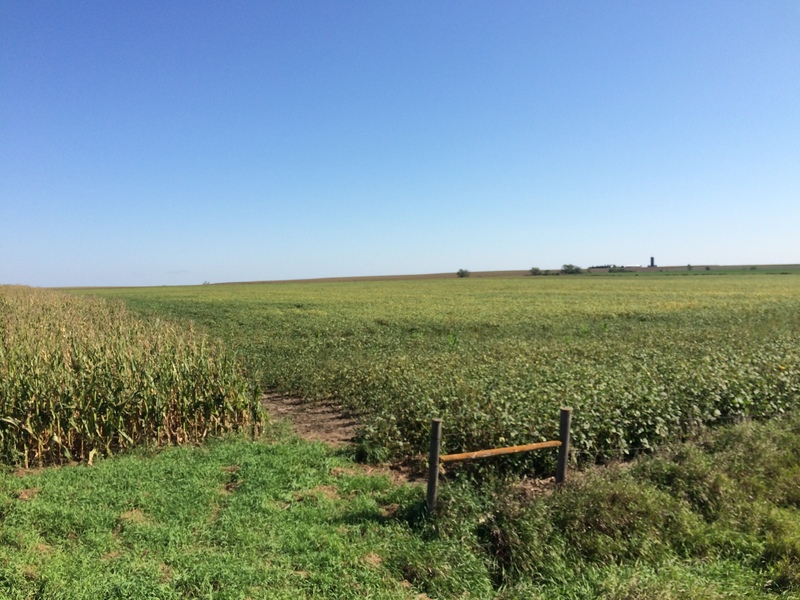 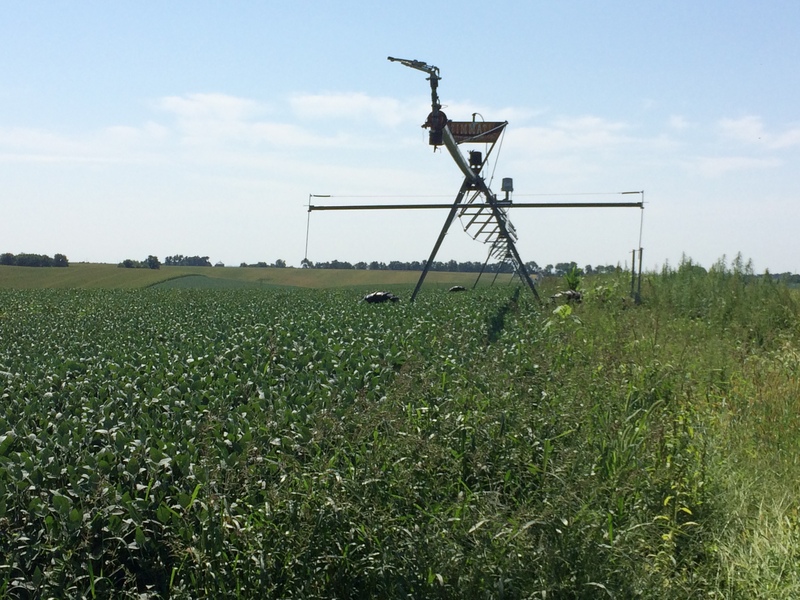 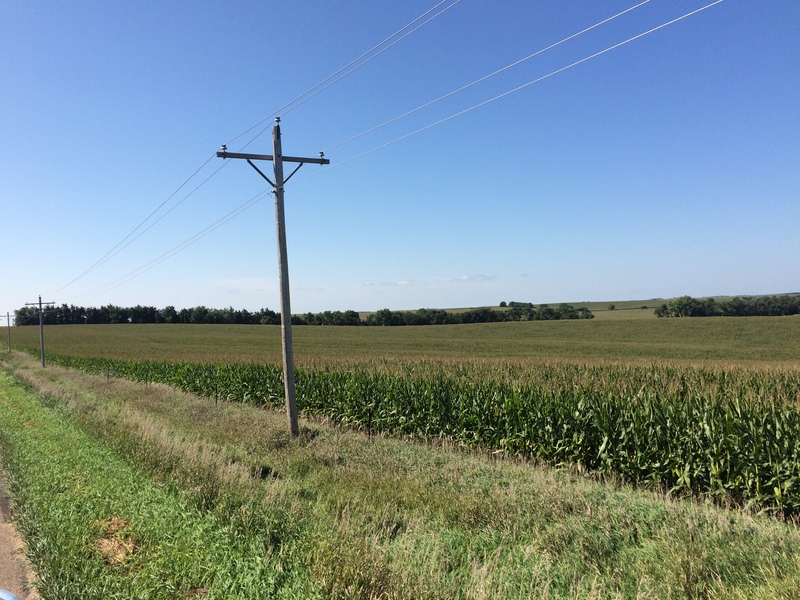 The FSA has 144.79+/- crop acres with the balance in grass and a vacant farmstead. 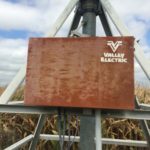 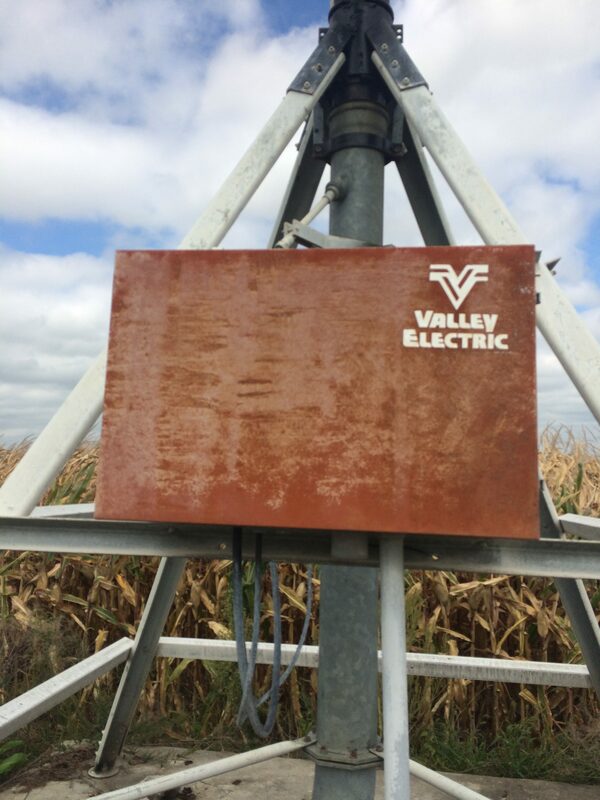 The 9-tower Valley pivot and generator are included in the sale. 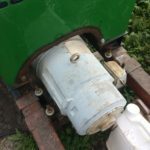 The power unit and fuel tank belong to the tenant. 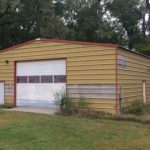 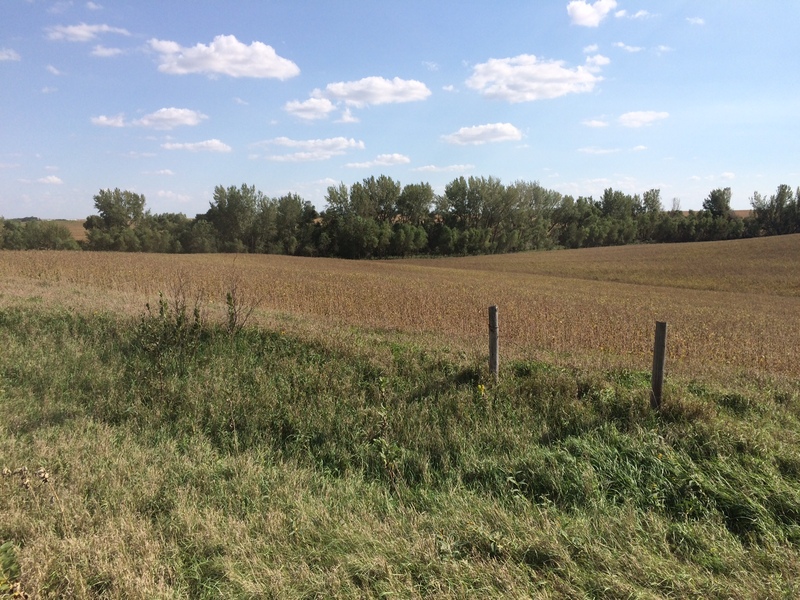 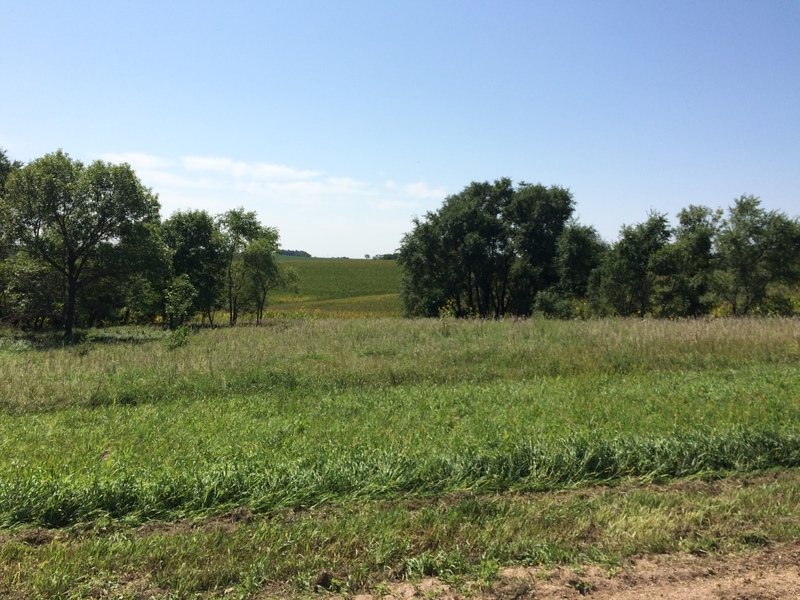 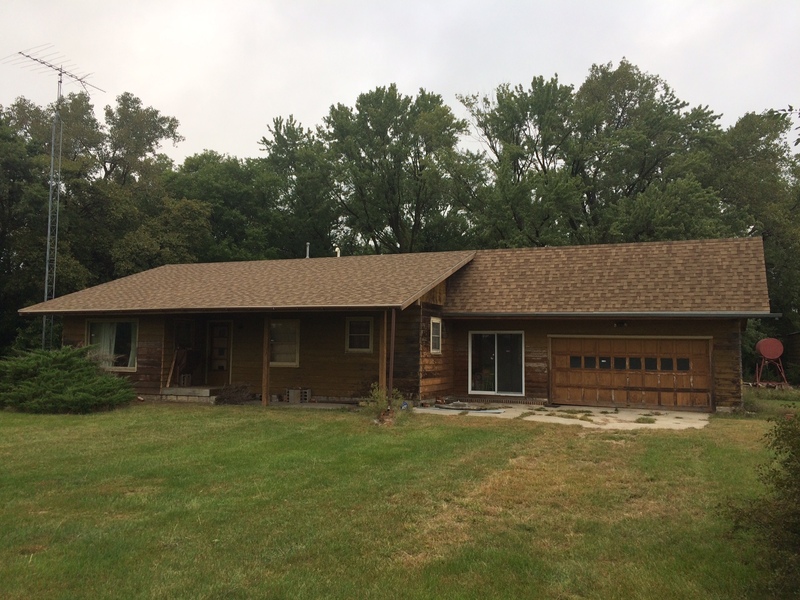 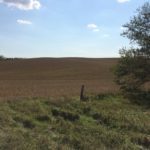 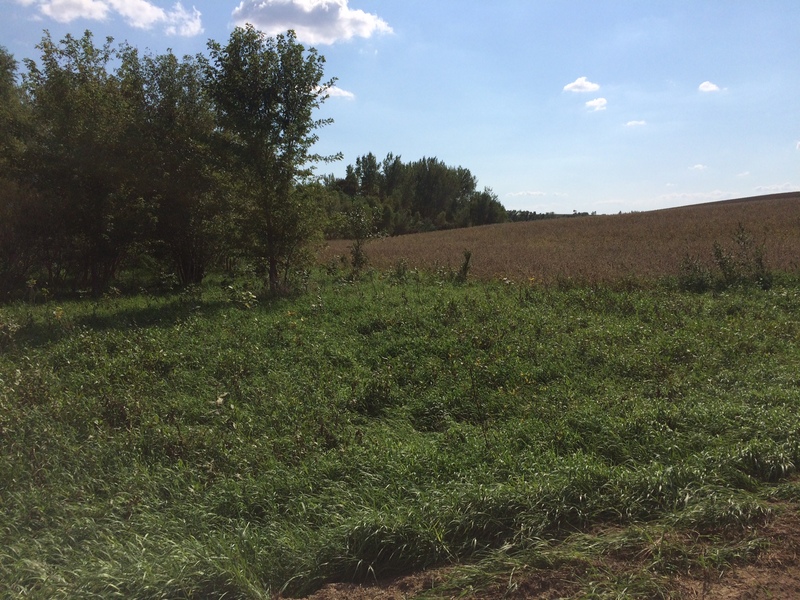 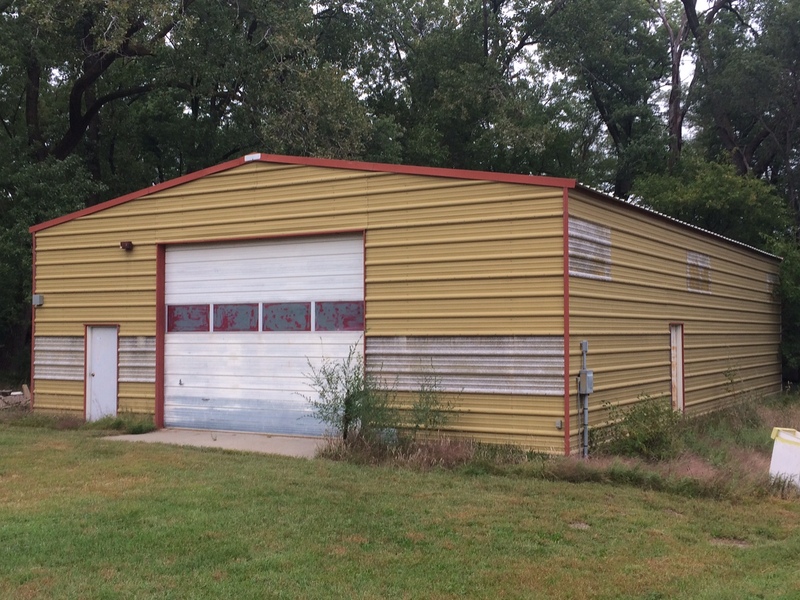 Land Location: From the Hwy 52 & 370th Street intersection between Belgrade and Cedar Rapids, go 3 miles east. 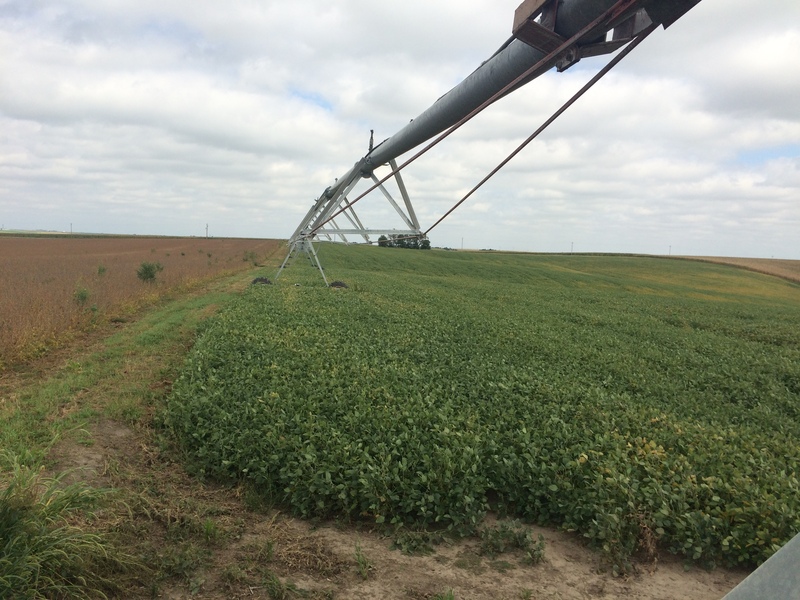 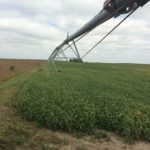 Here’s a pivot irrigated 240 acre tract that has it all! Great access being just 3 miles to Hwy 56, Hwy 52 and Hwy 14. 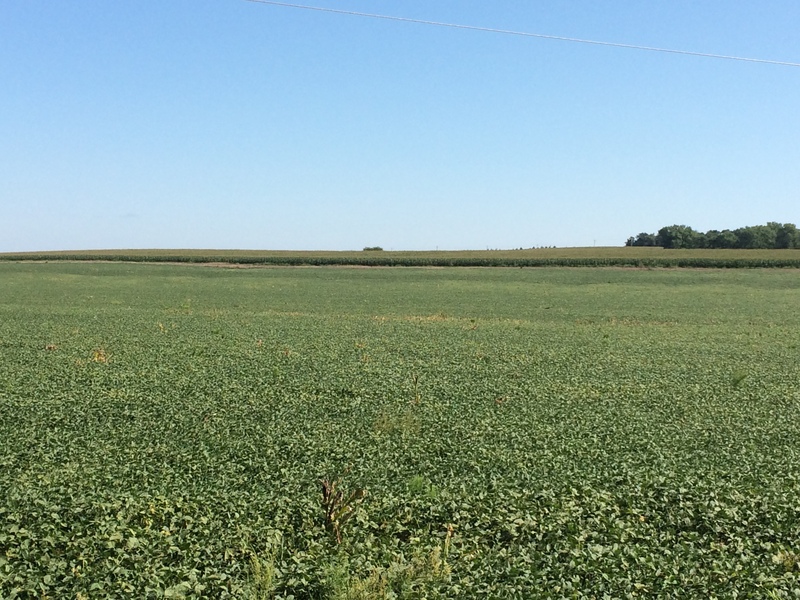 According to the FSA, there are 233.13+/- crop acres. 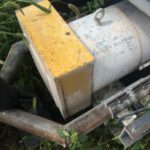 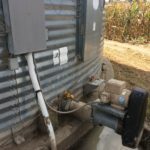 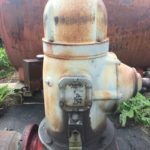 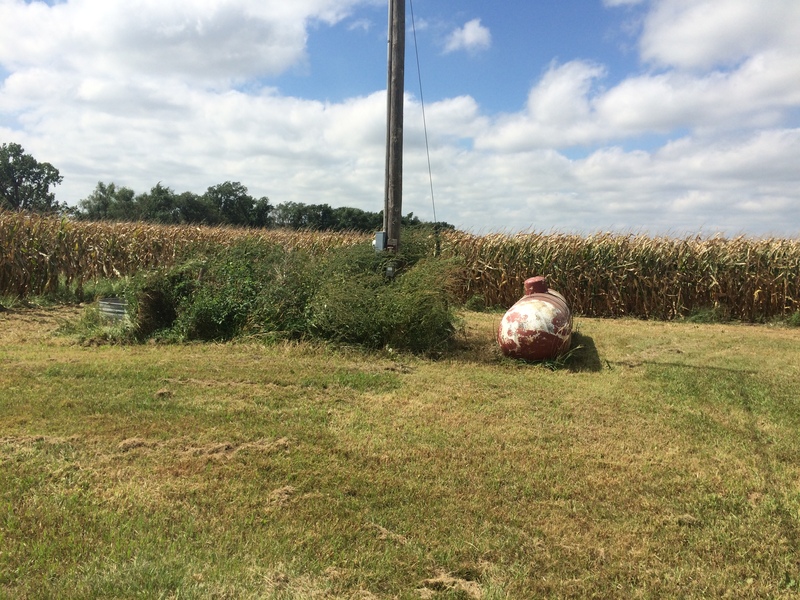 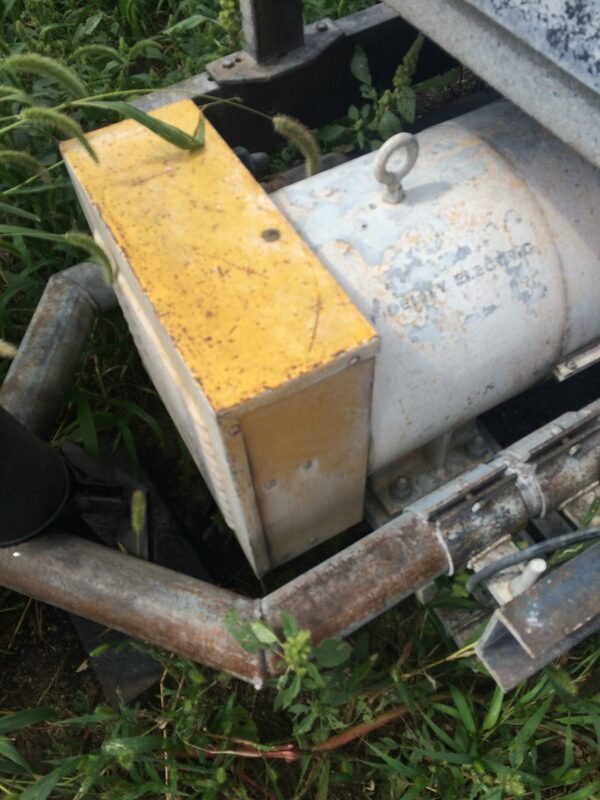 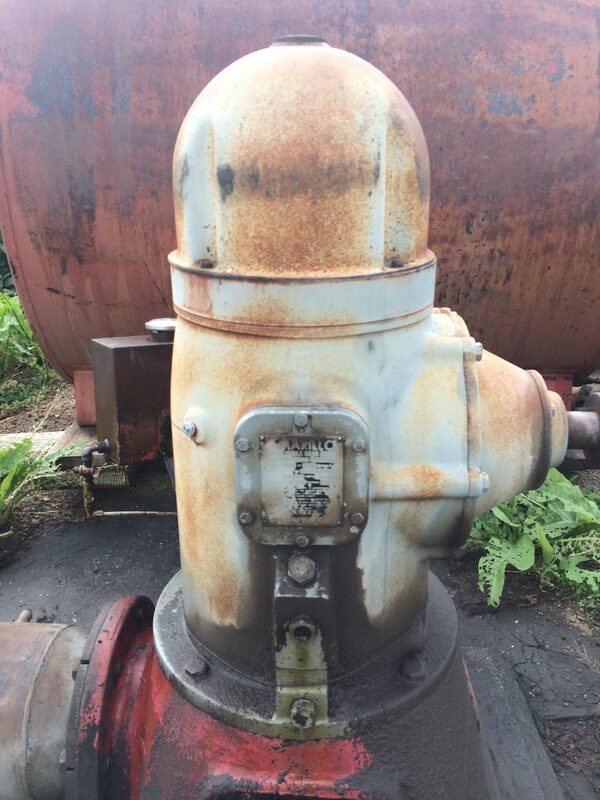 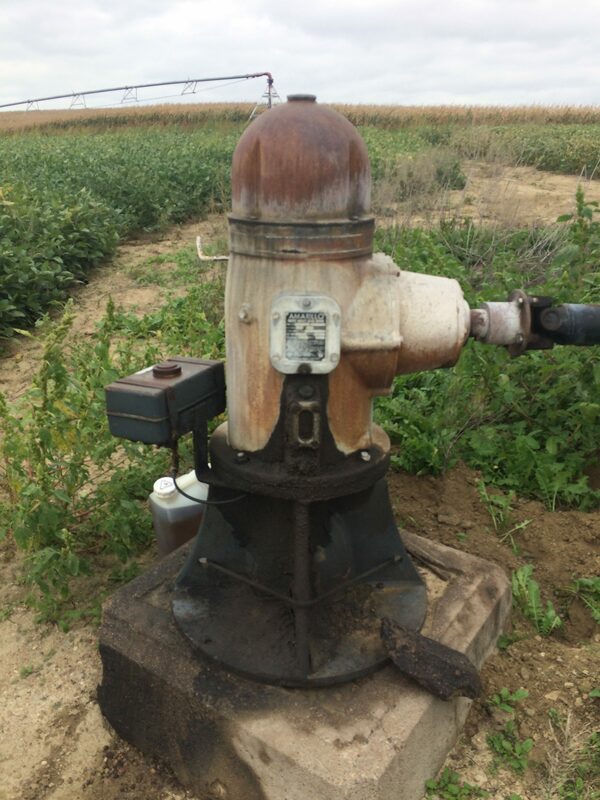 Included in the sale are two 10-tower Zimmatic pivots, a generator, and a submersible well. 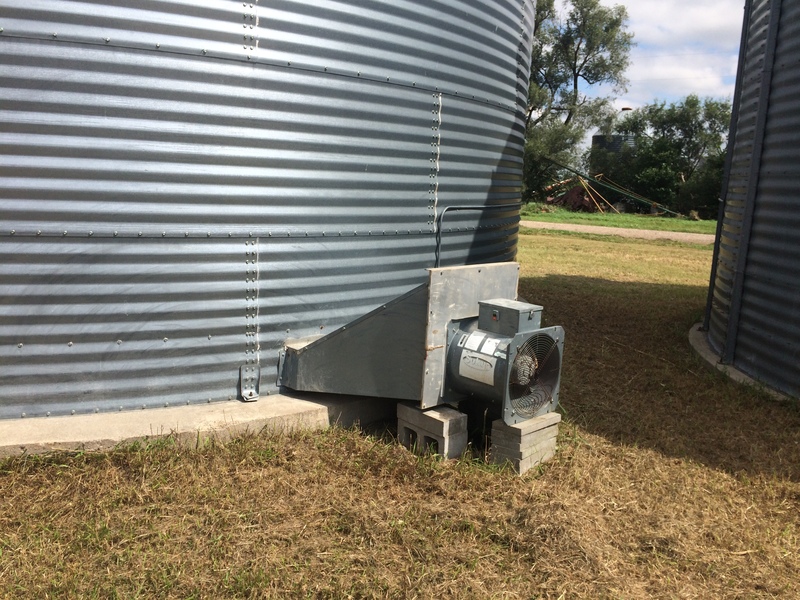 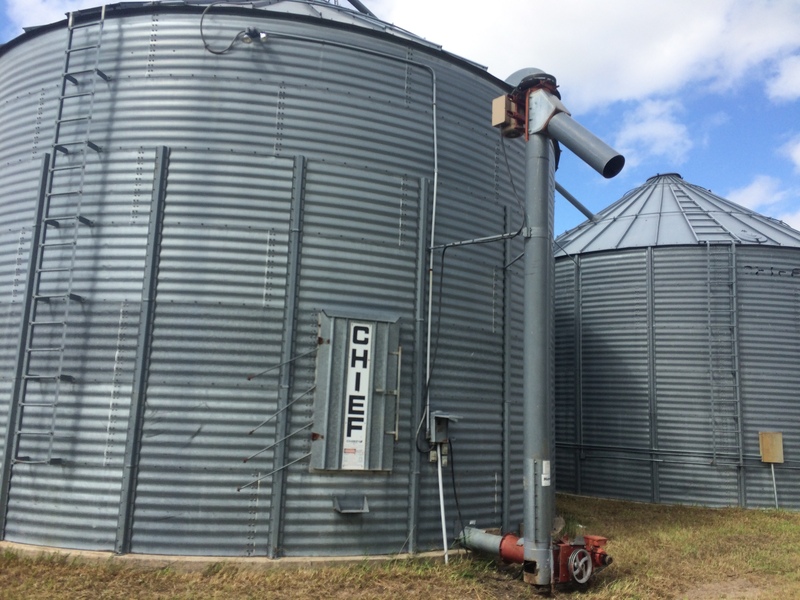 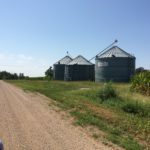 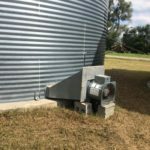 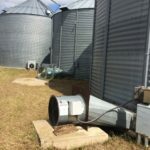 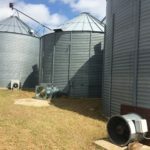 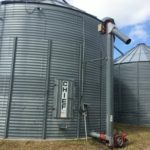 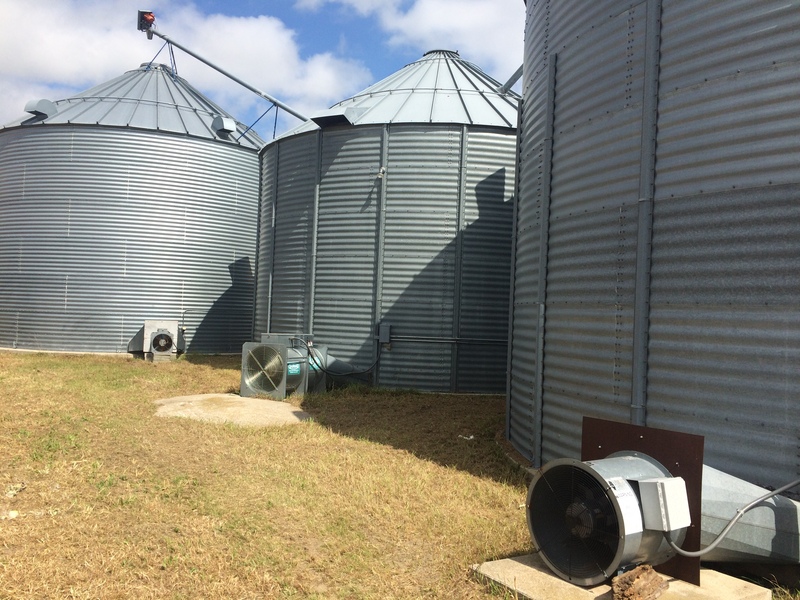 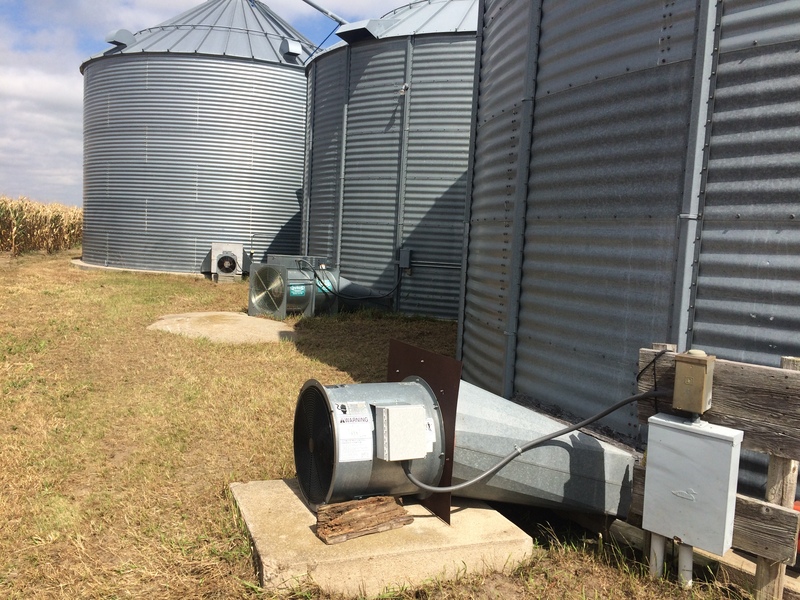 You will also have grain storage with 2-12,000bu bins and a 9,000 bu bin, all located on the southeast corner of the farm. 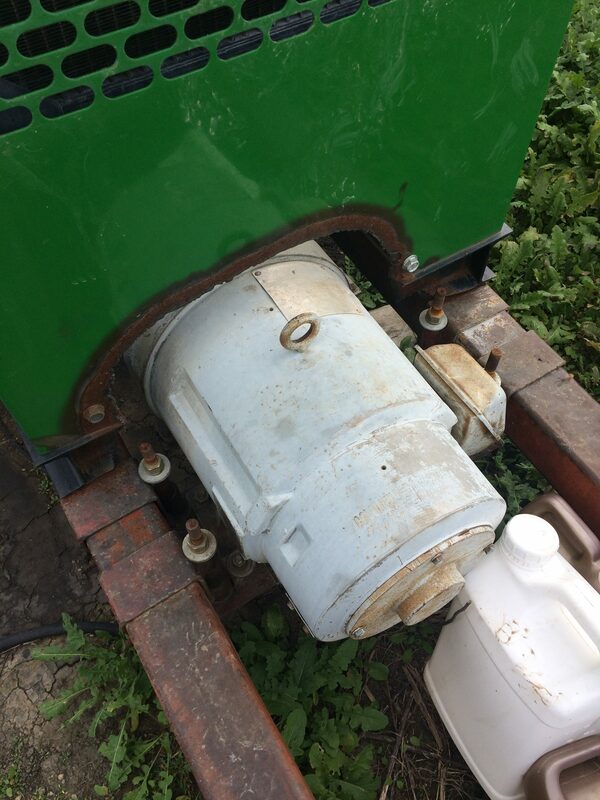 The power unit and fuel tank belong to the tenant. 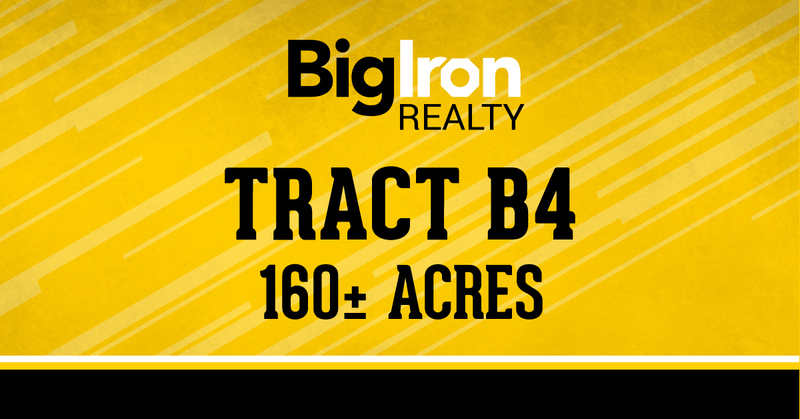 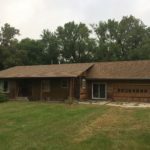 Terms: The successful buyer will be required to enter into a written purchase agreement immediately after the sale with a $100,000 non-refundable down payment to be payable to BigIron Realty Trust Account. 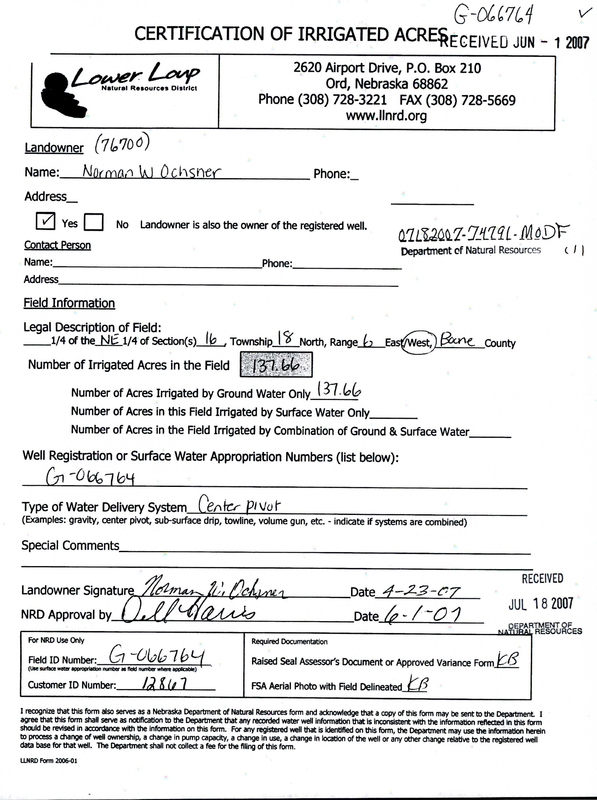 The earnest deposit can be made by a personal check, company check or by wire transfer. 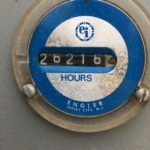 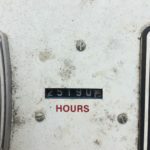 The balance will be due at closing on or before January 30, 2019. 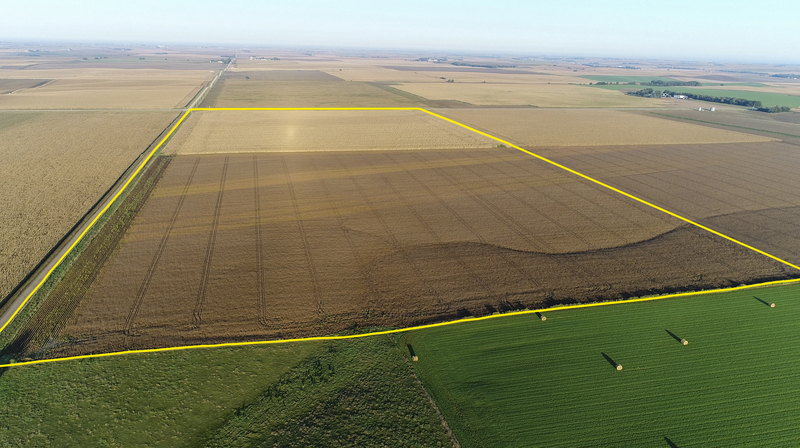 Buyer will receive full possession March 1, 2019. 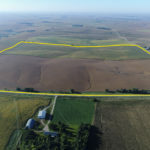 Seller will provide marketable title to the buyer evidenced by Title Insurance; the title insurance and closing costs are split 50/50 between the buyer and seller. 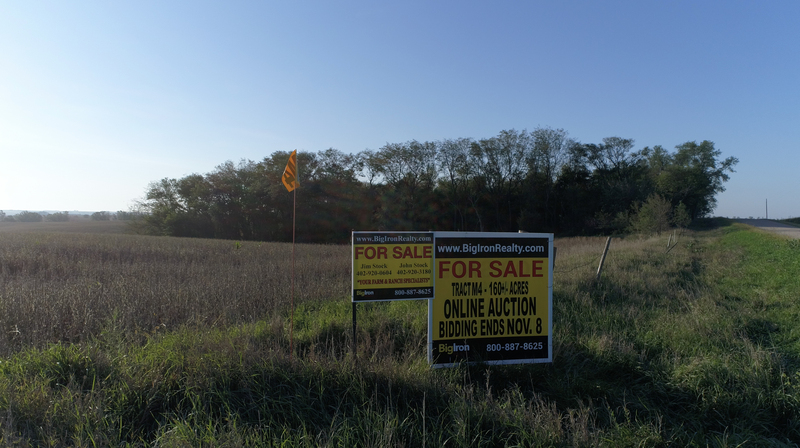 The 2018 real estate taxes will be paid by the Seller, and the 2019 Real Estate Taxes will be paid by the Buyer. 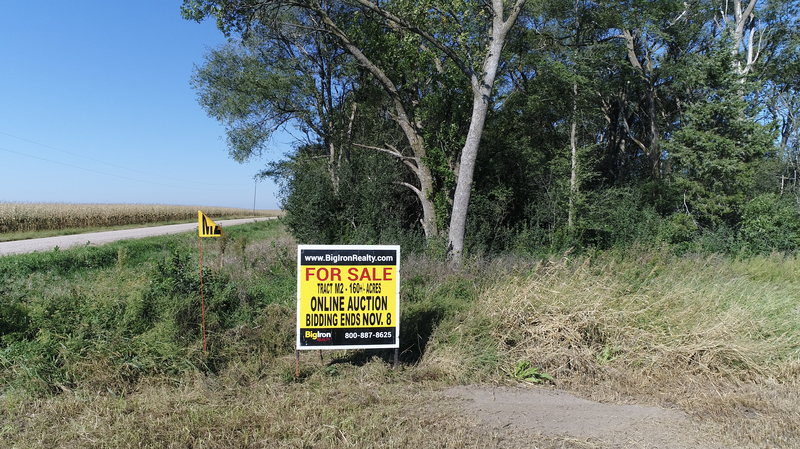 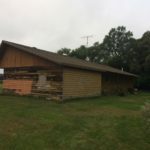 Property will not be sold subject to financing. 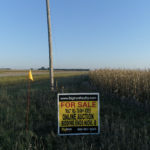 Please have all financial arrangements made prior to the auction. 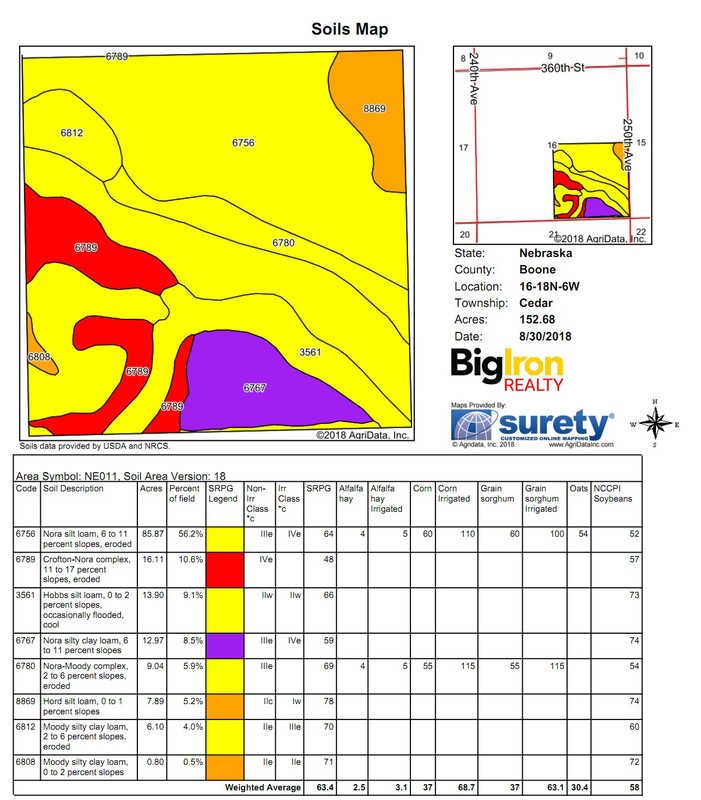 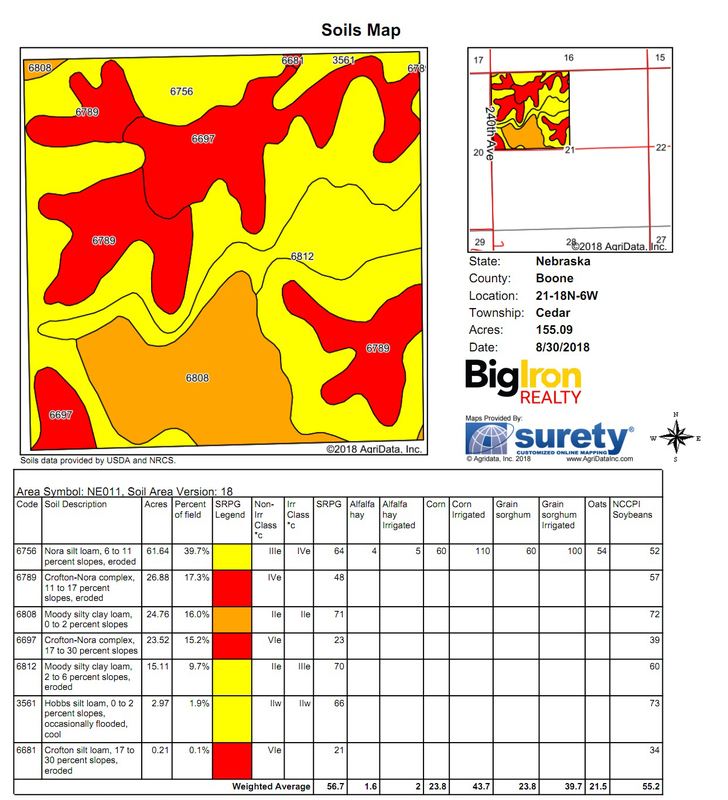 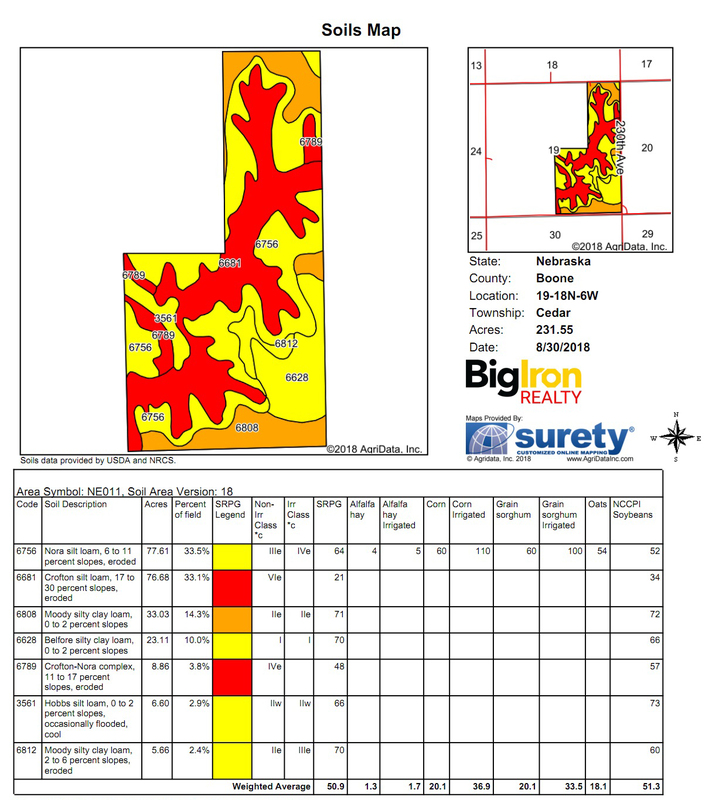 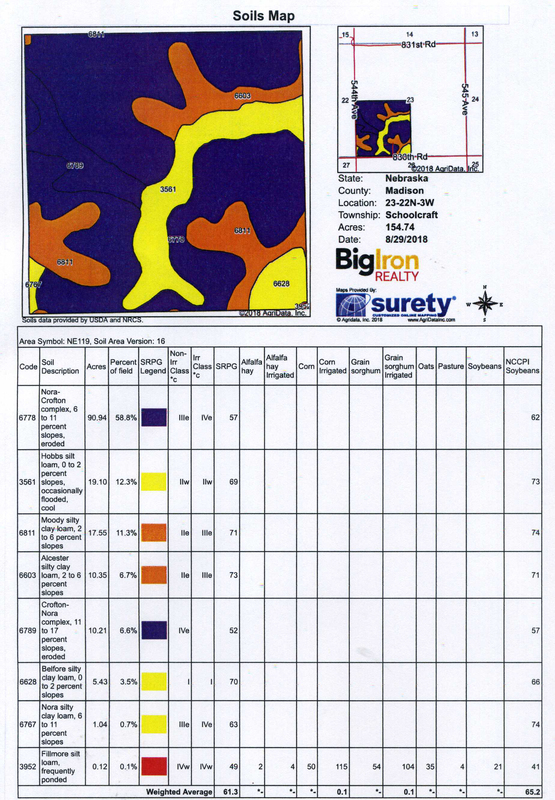 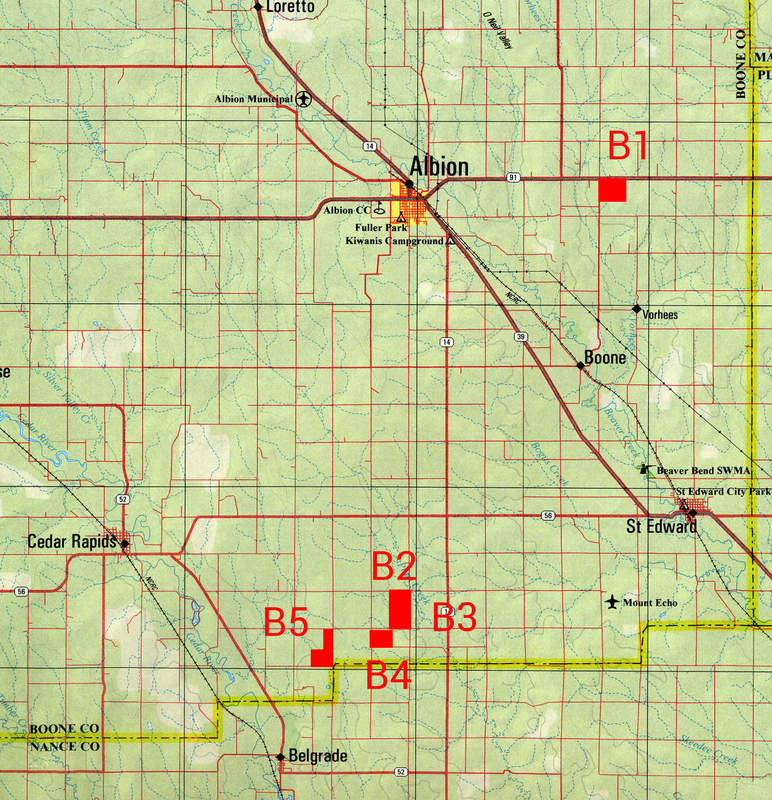 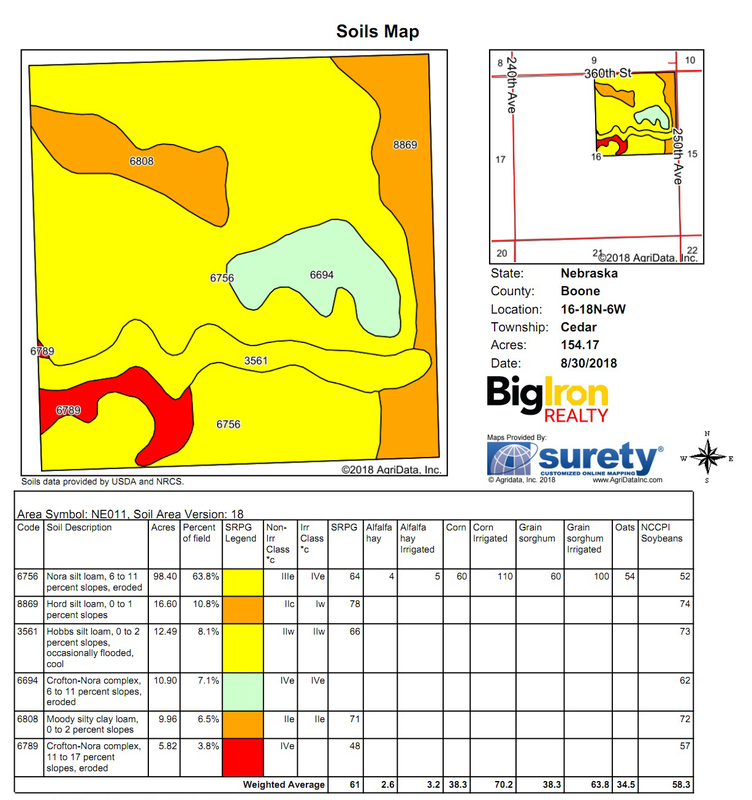 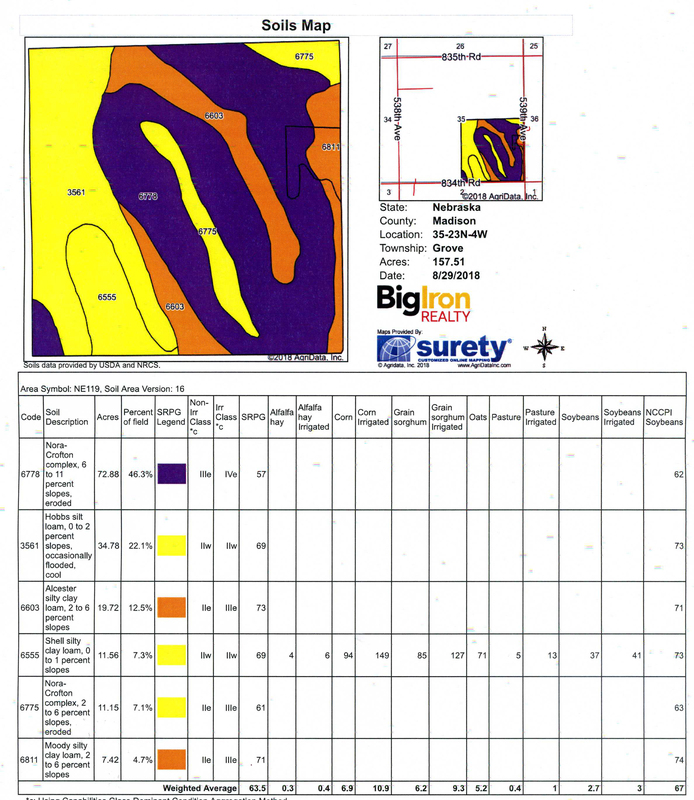 All mineral rights that are owned by the Sellers if any will transfer to the new Buyer. 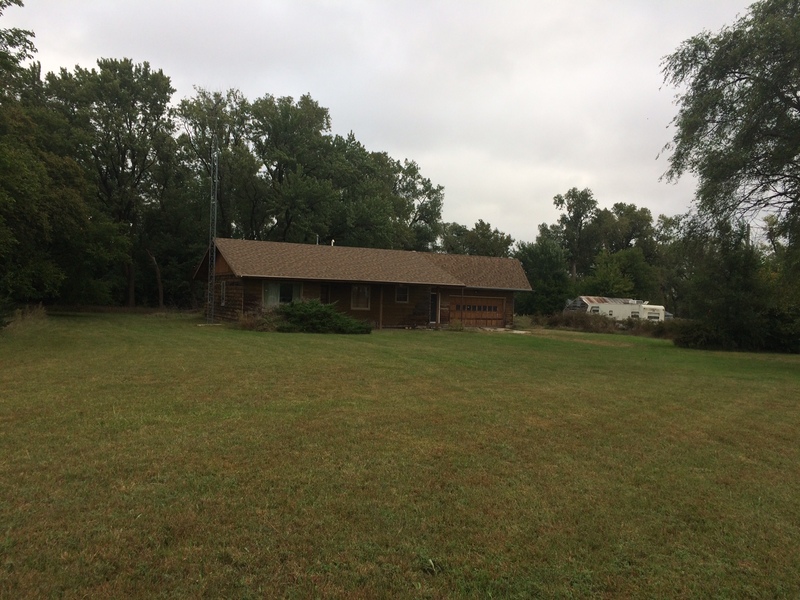 The seller will cooperate with any buyer wanting to complete a 1031 tax deferred exchange. 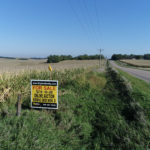 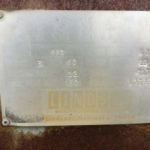 The written purchase agreement, to be signed by the seller and buyer after the auction, is the sole and controlling document of this sale and supersedes any and all other terms whether verbal, written, expressed or implied, and shall be the sole and controlling document for this real estate transaction. 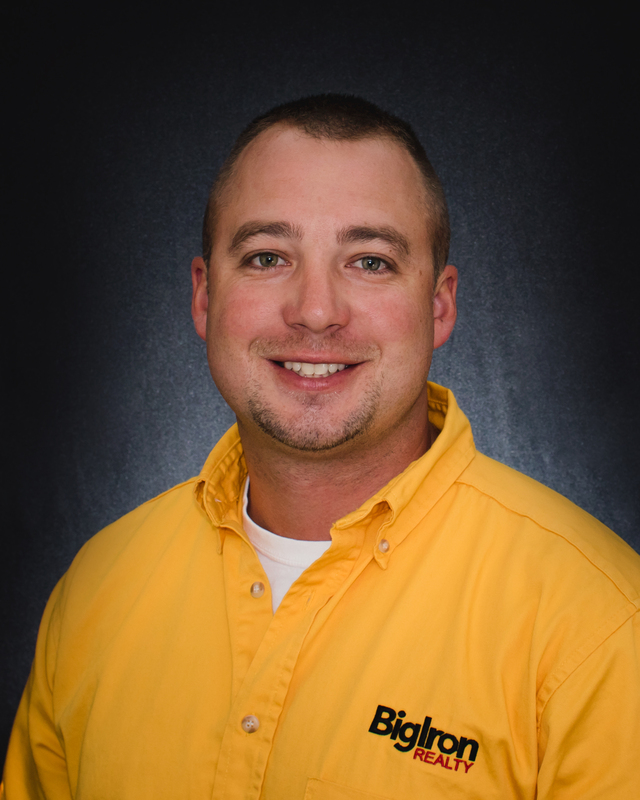 BigIron Realty is working for the seller.